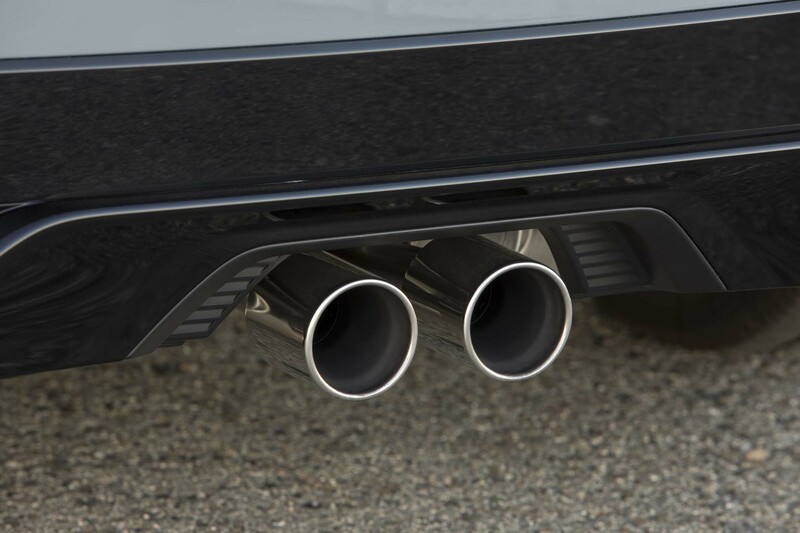 In a few short months it’ll finally kick in, yo. 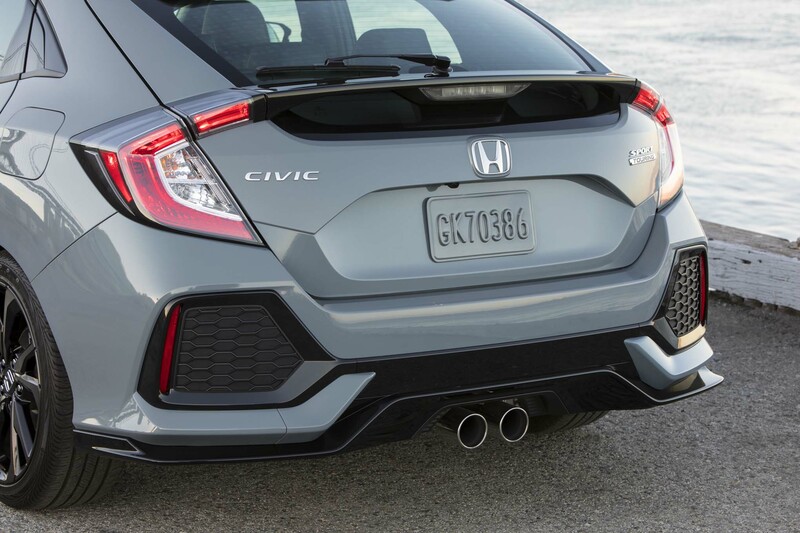 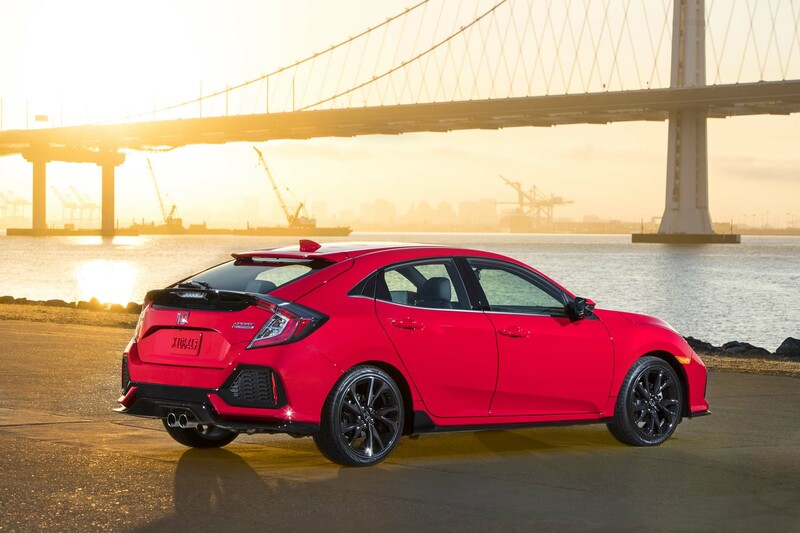 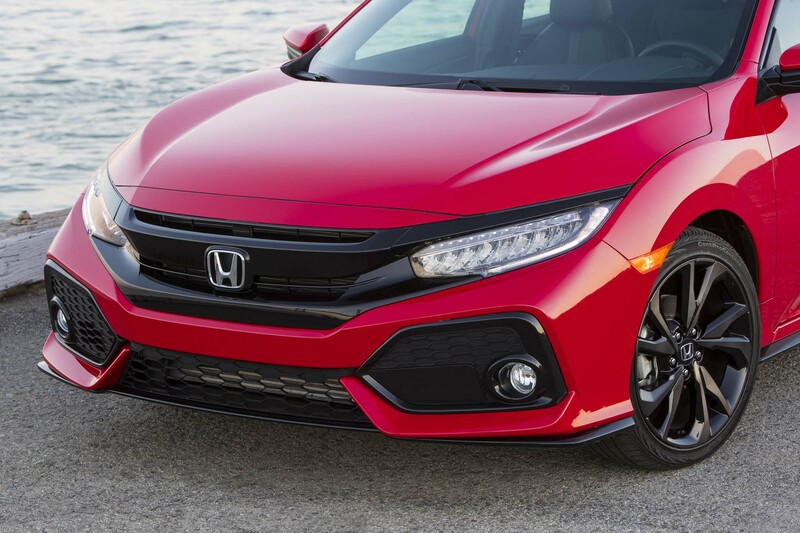 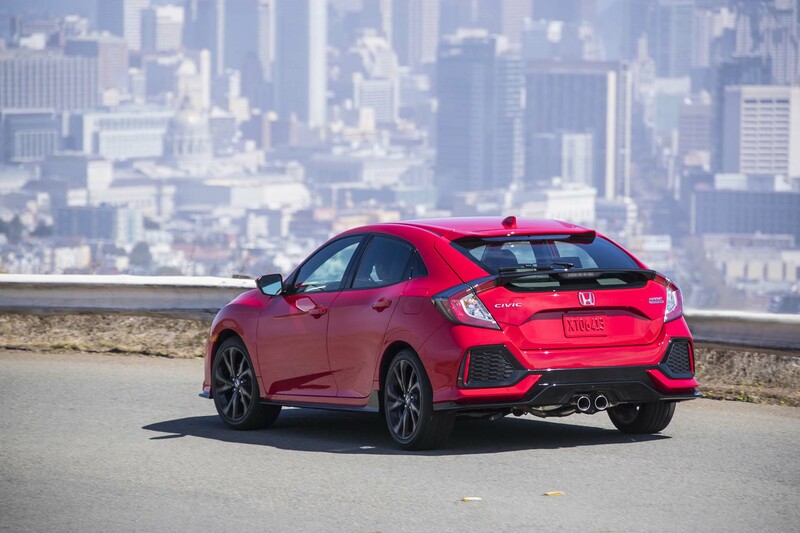 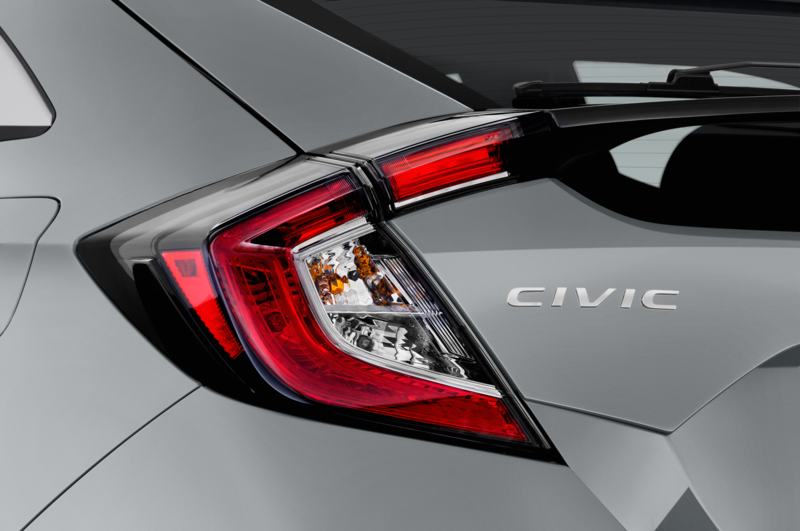 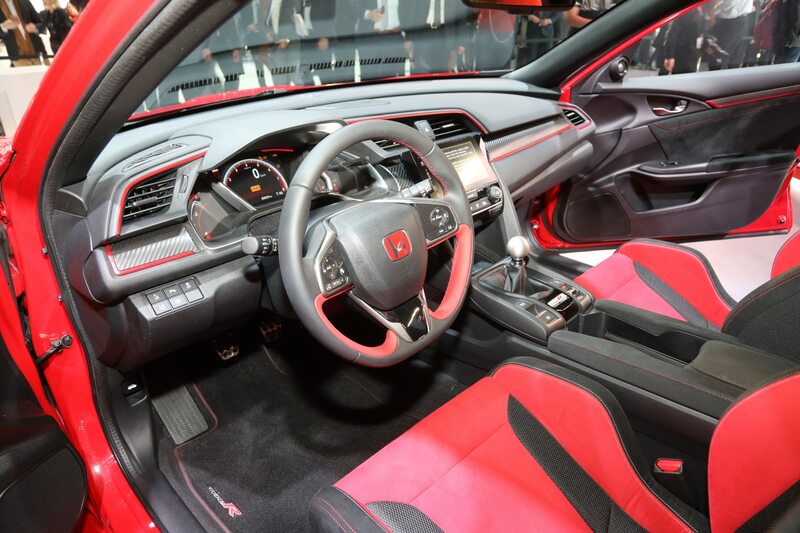 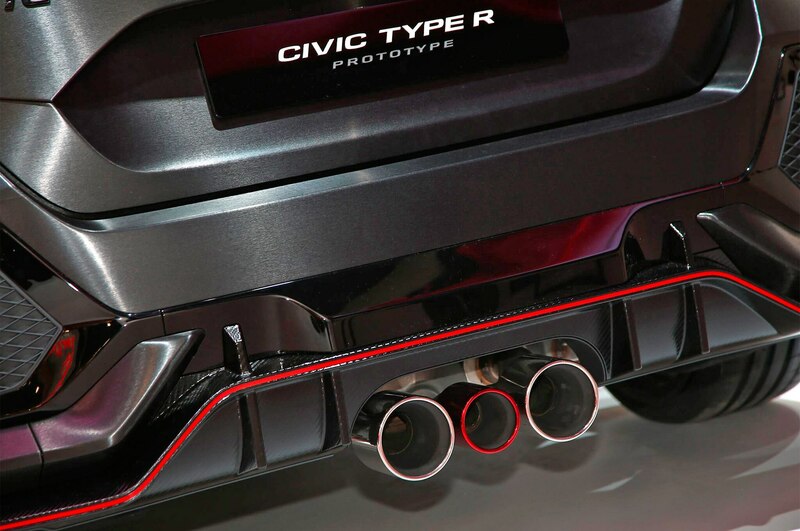 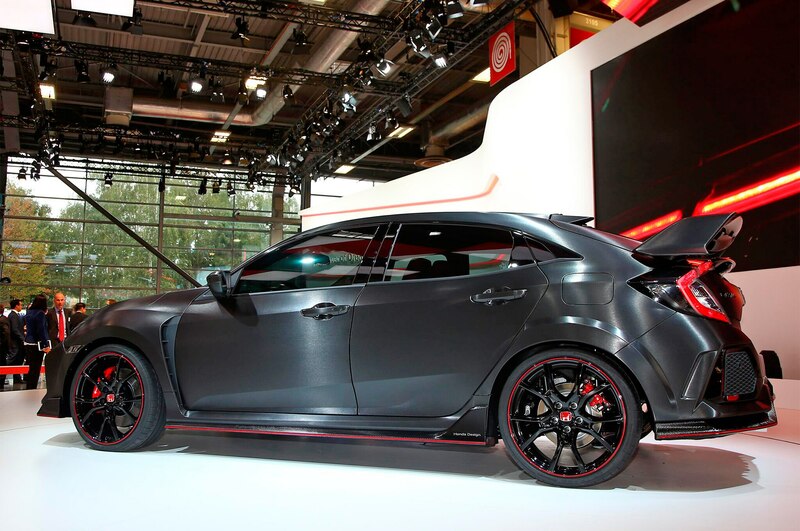 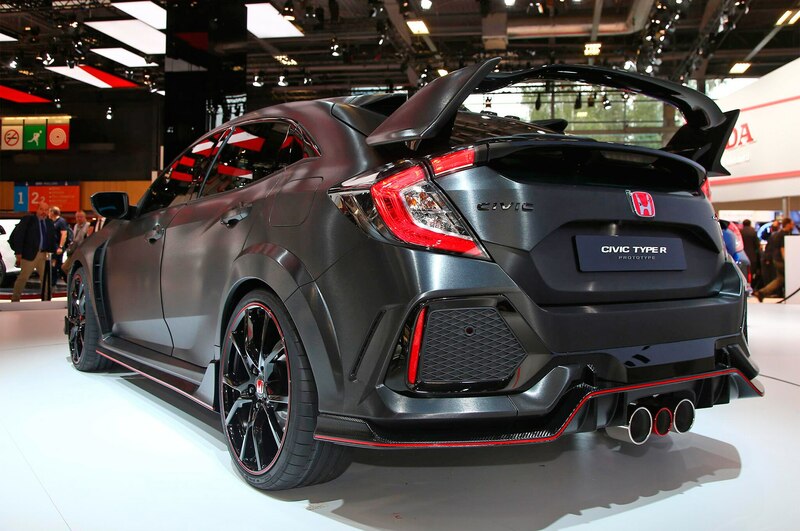 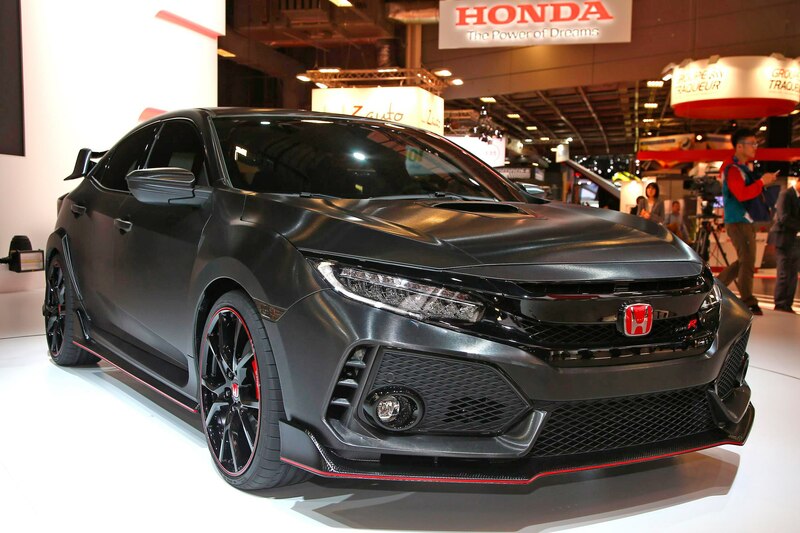 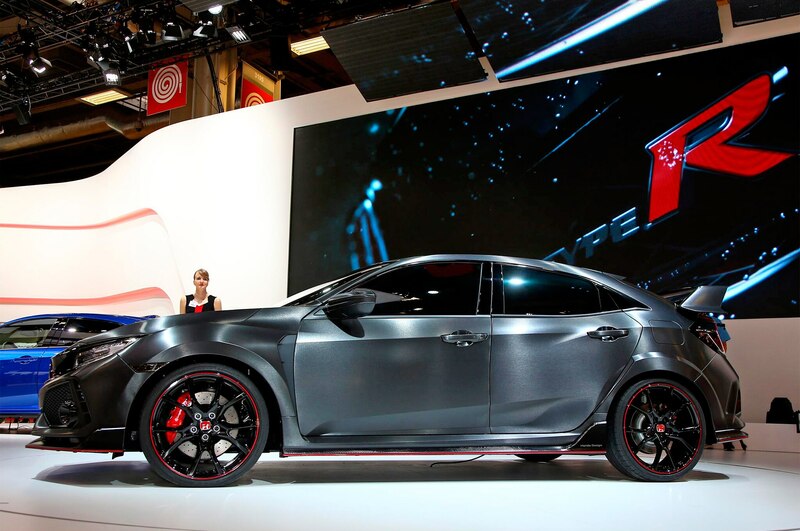 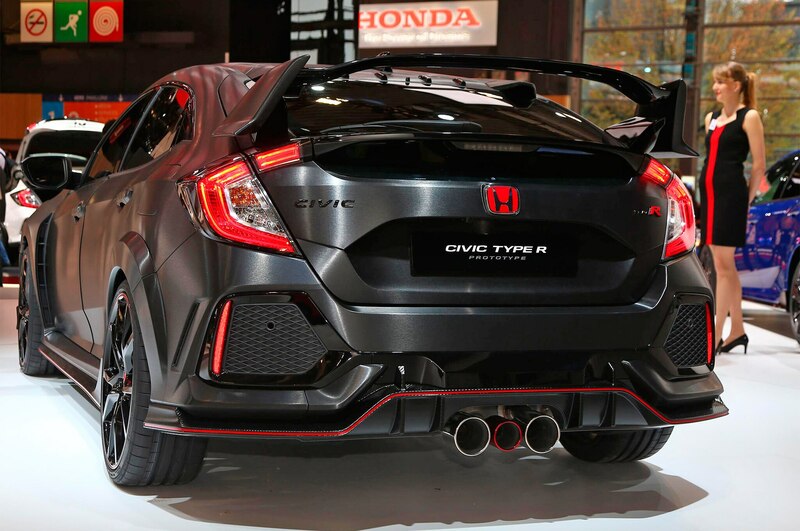 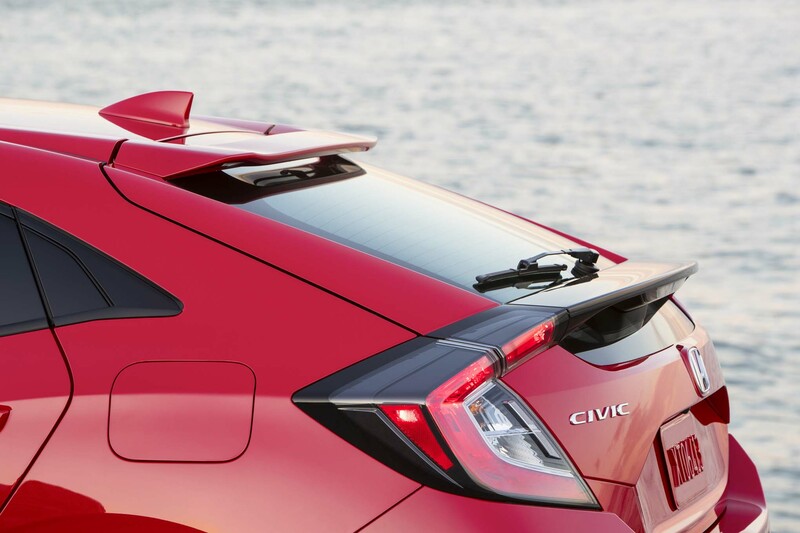 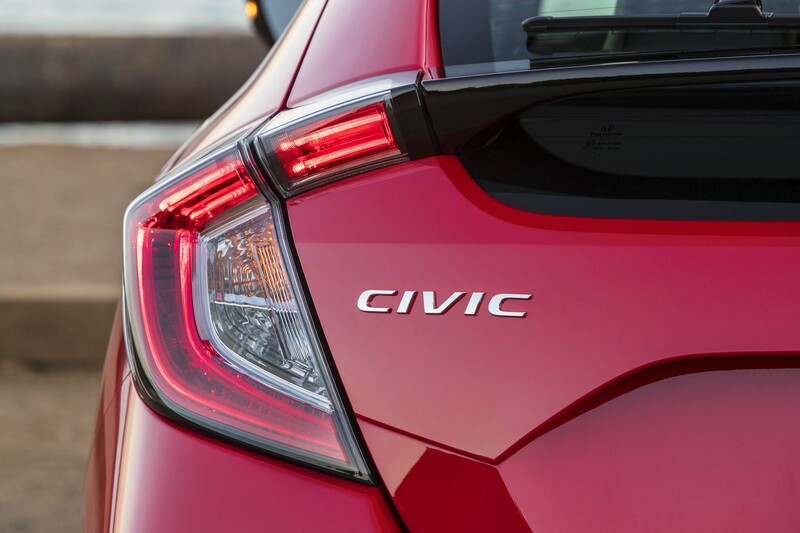 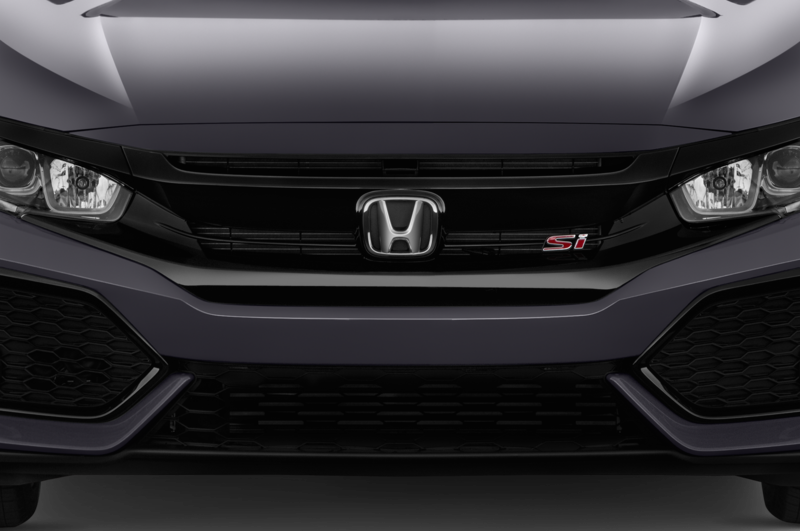 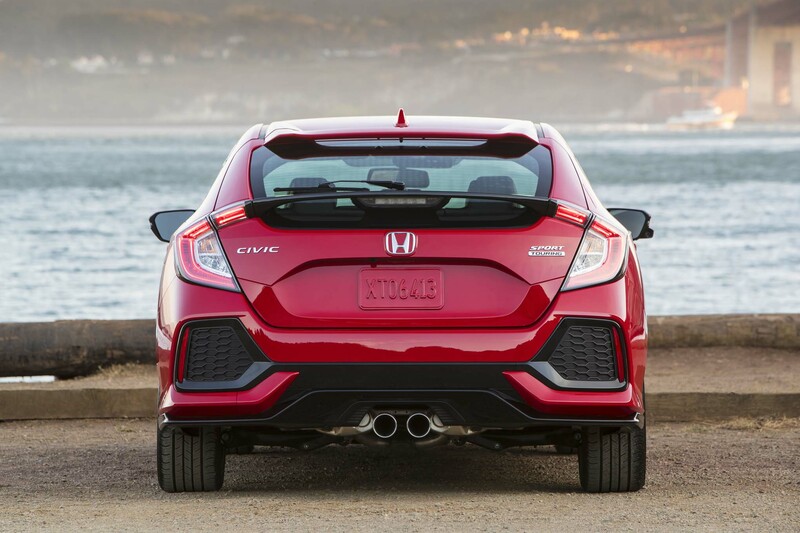 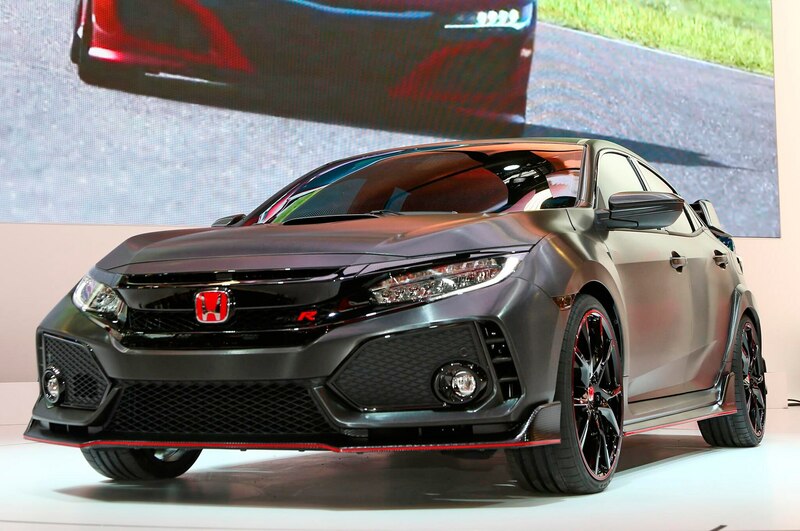 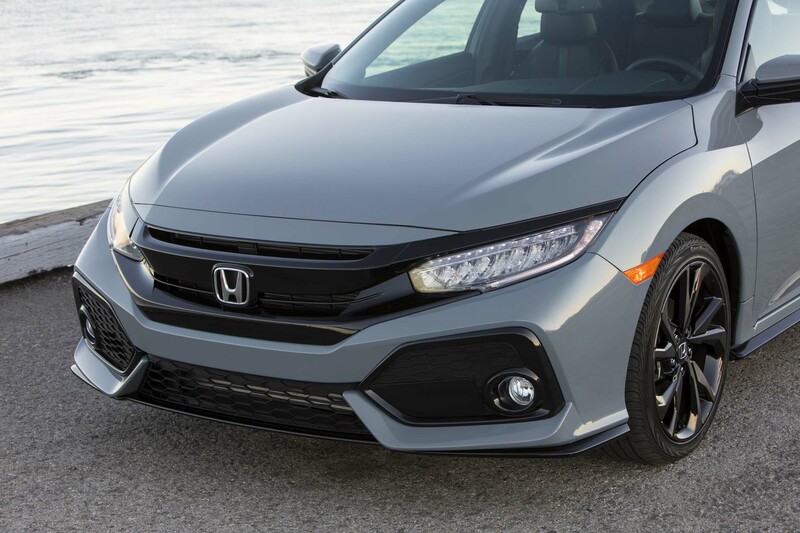 After years of wing envy, the Honda Civic Type R is actually coming to the United States. 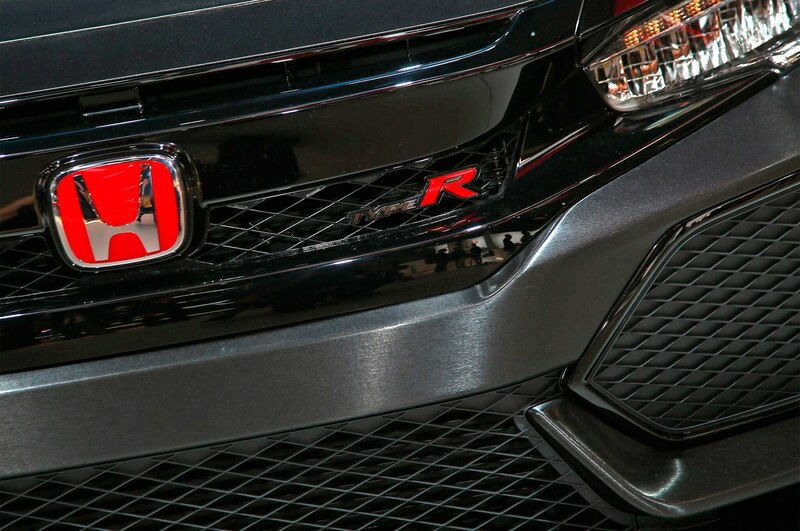 It’s the first Type R since the Integra to be sold in the U.S. and the first ever to do so while wearing a Honda badge. 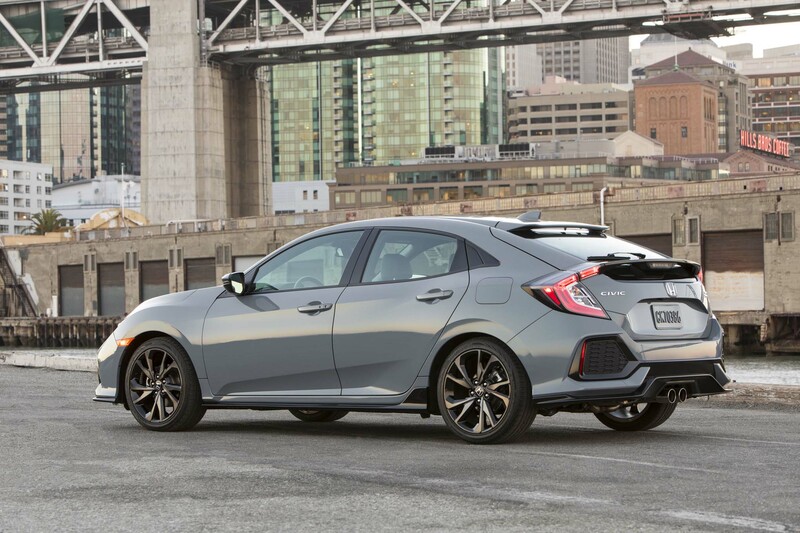 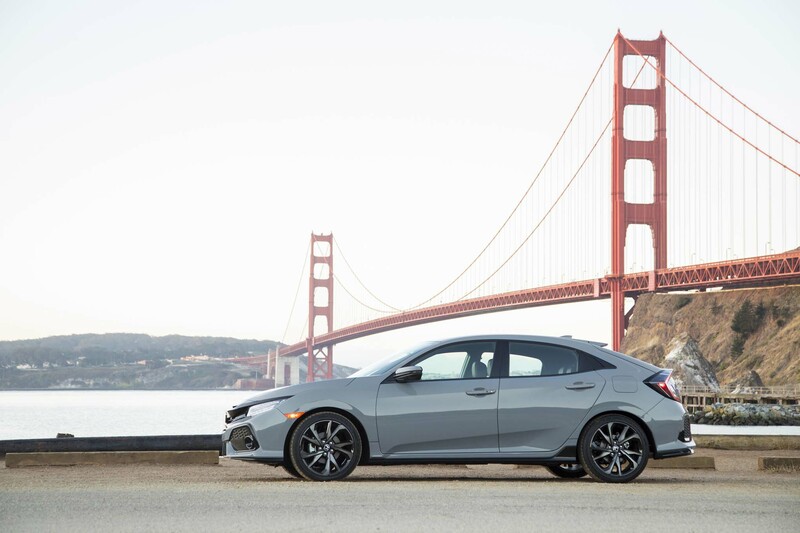 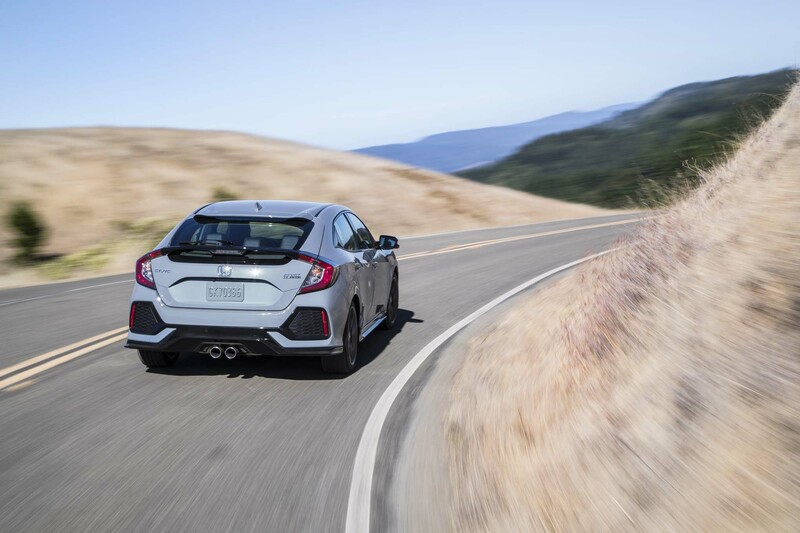 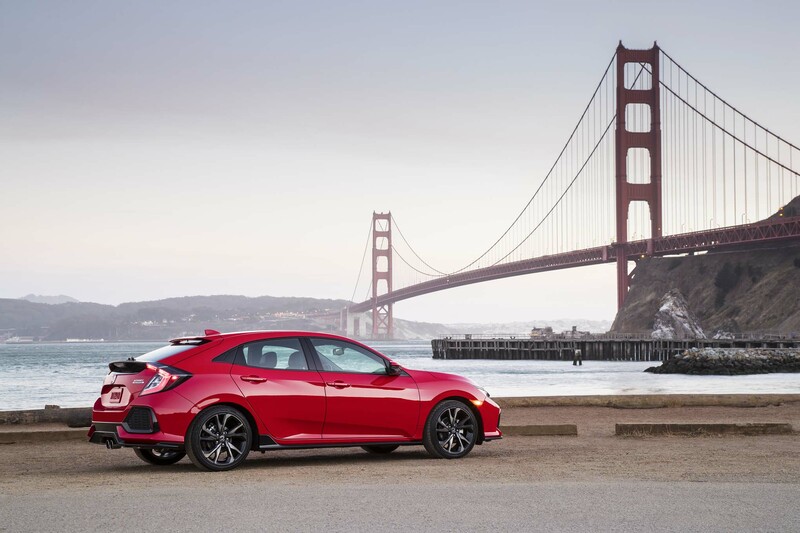 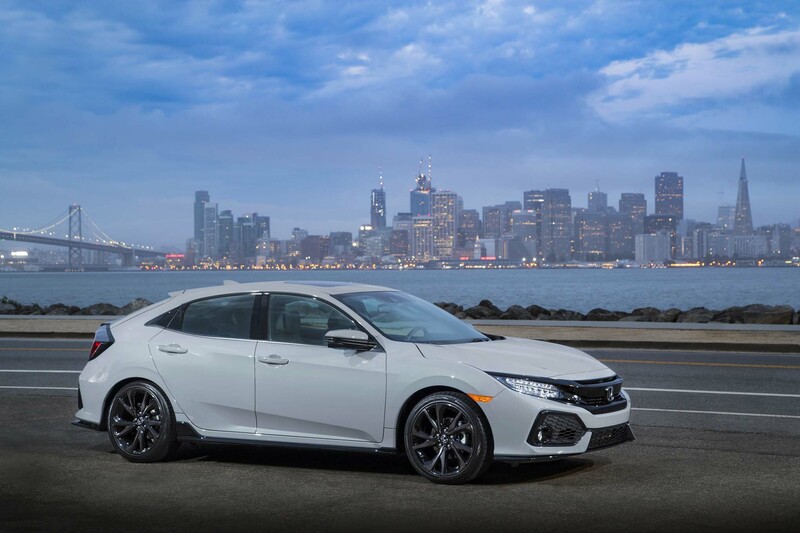 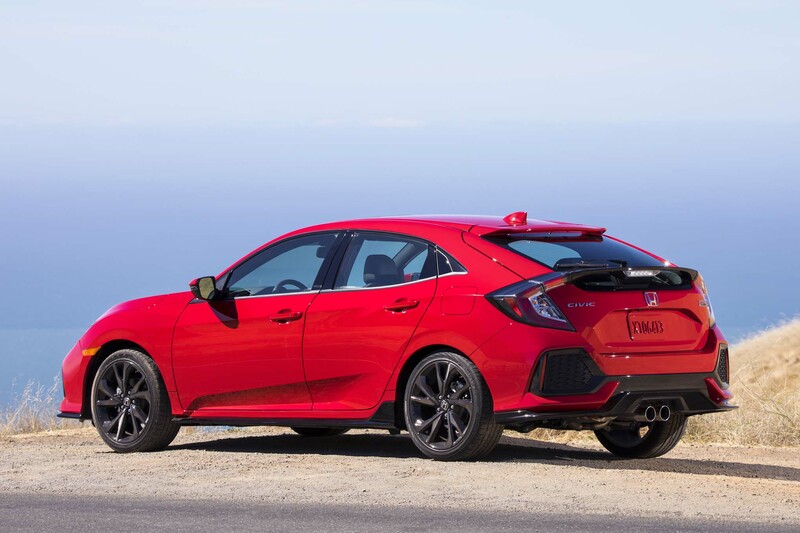 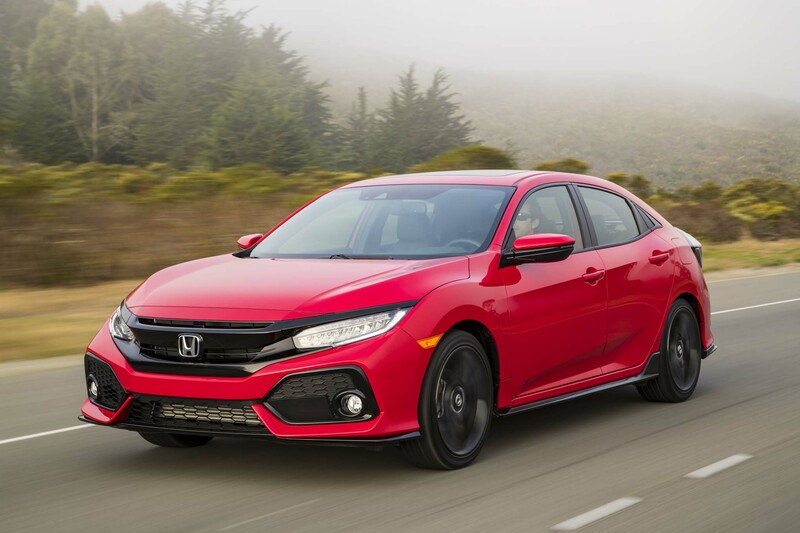 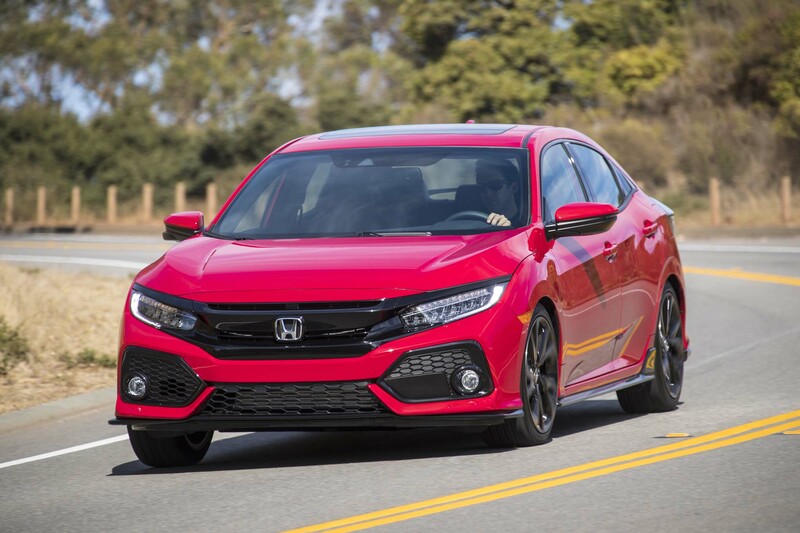 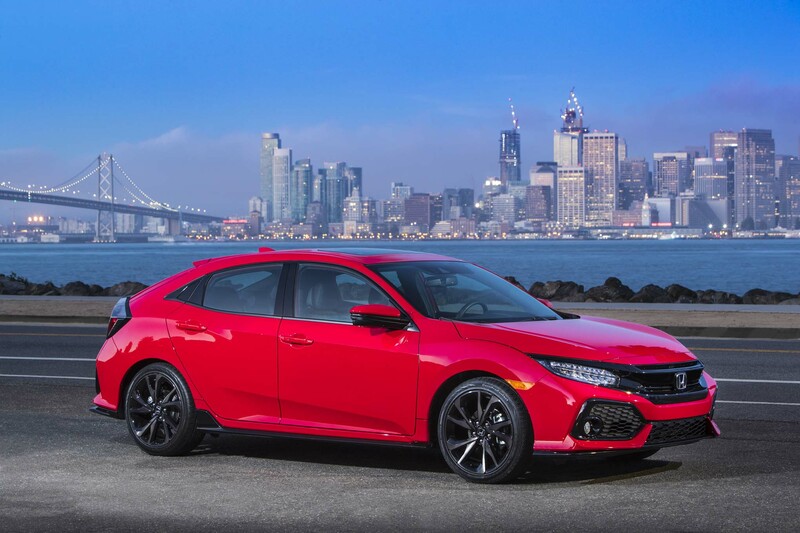 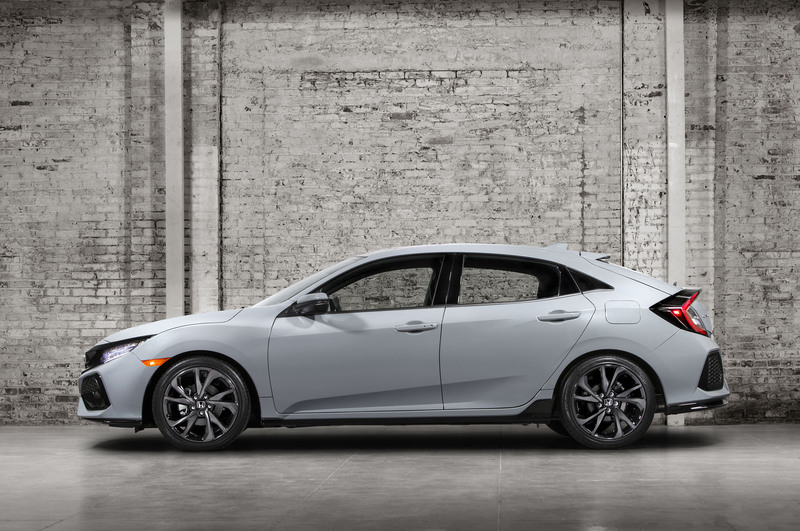 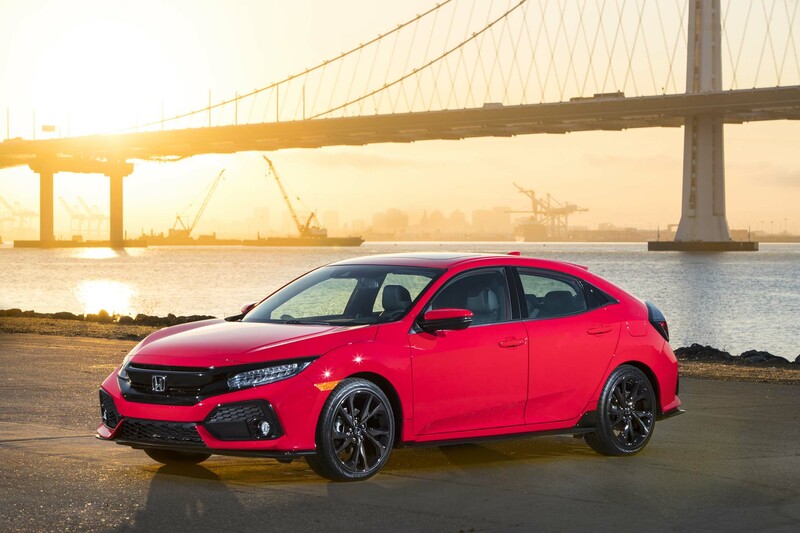 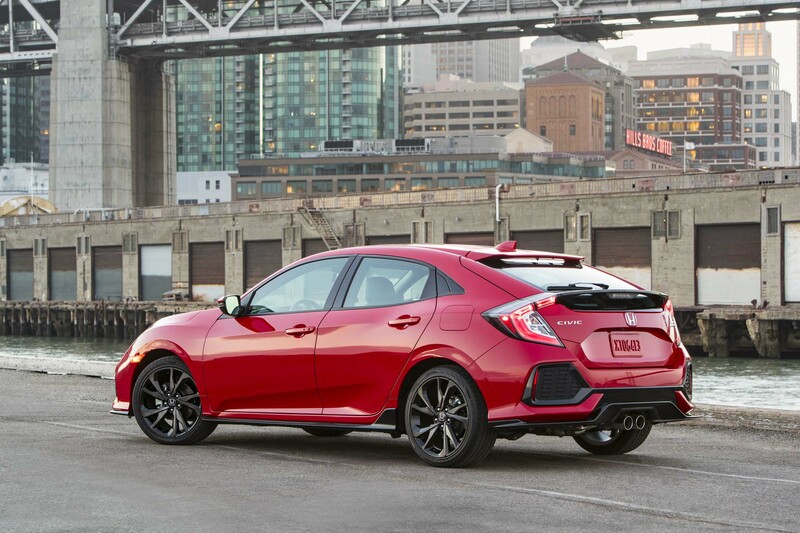 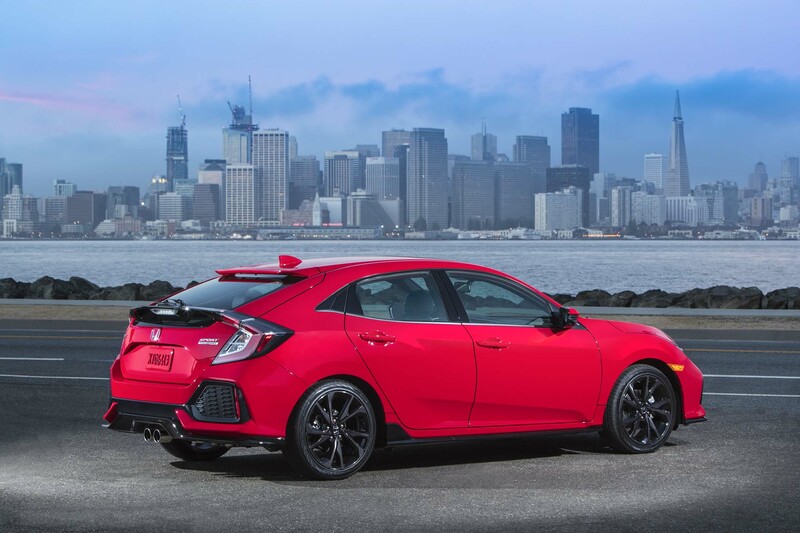 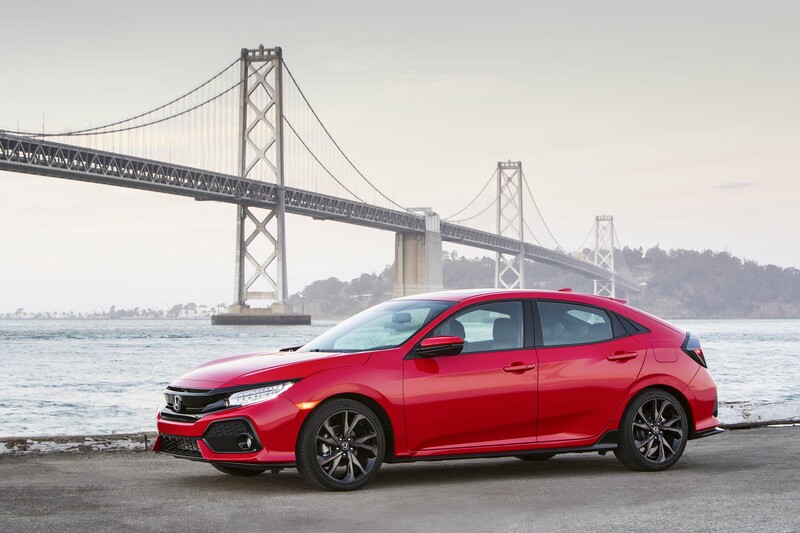 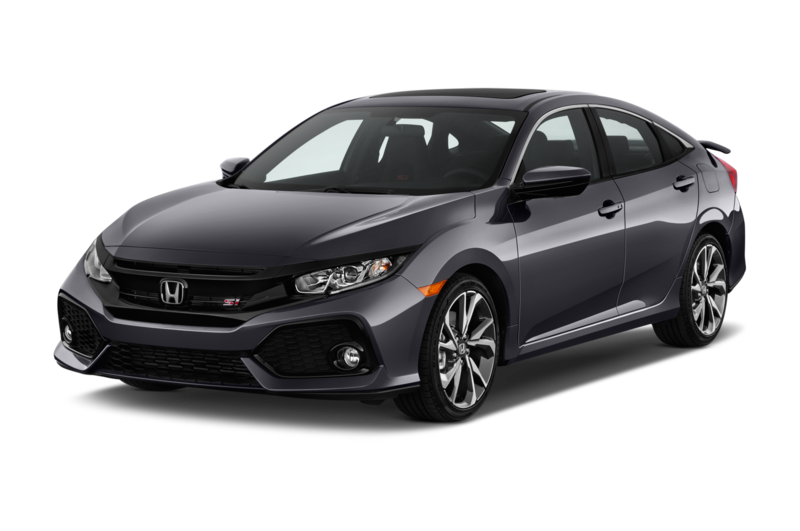 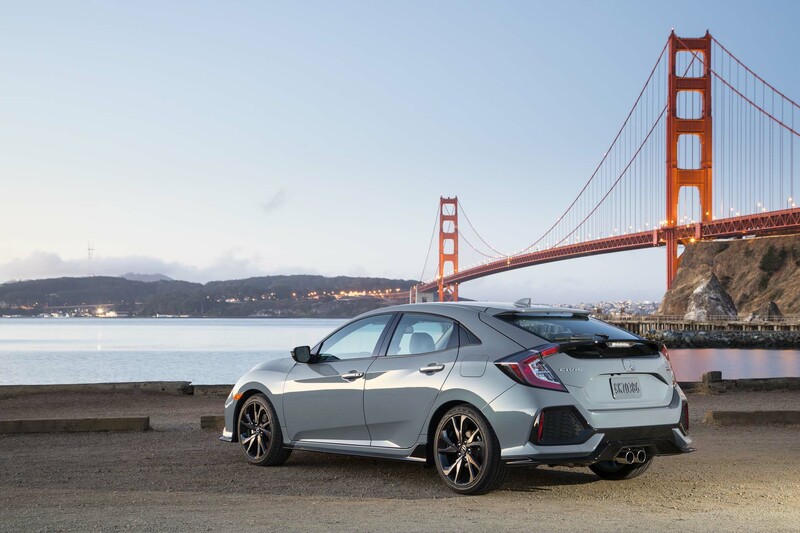 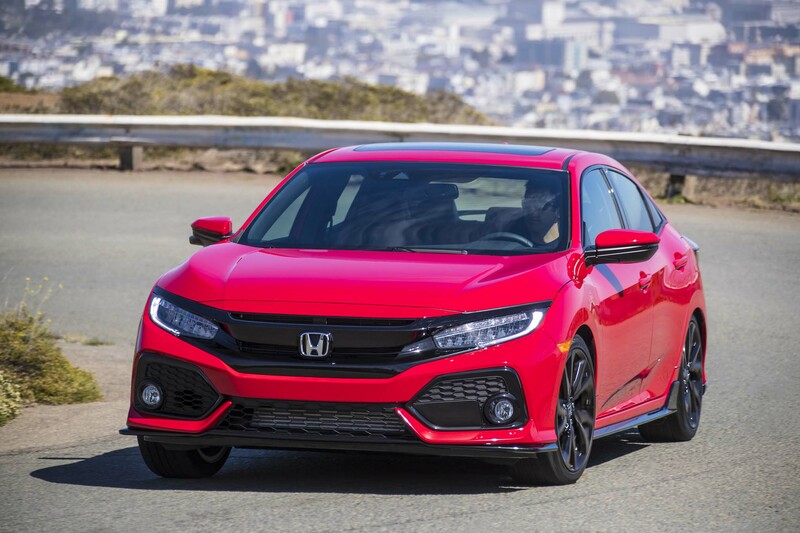 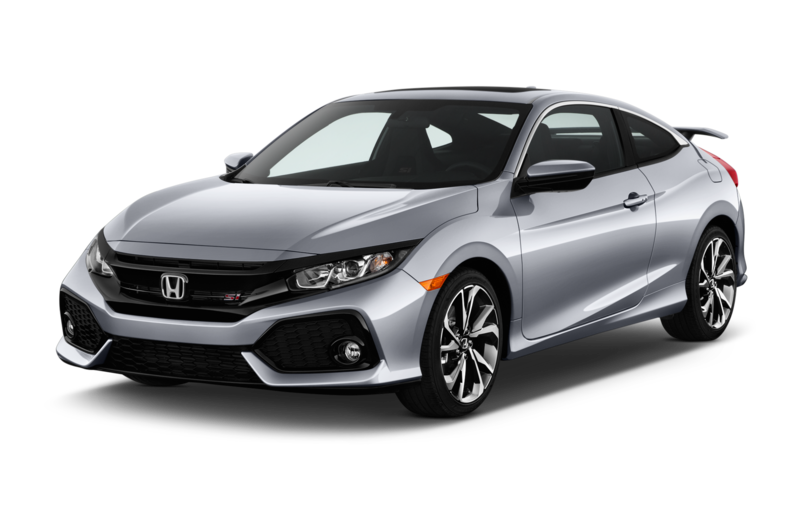 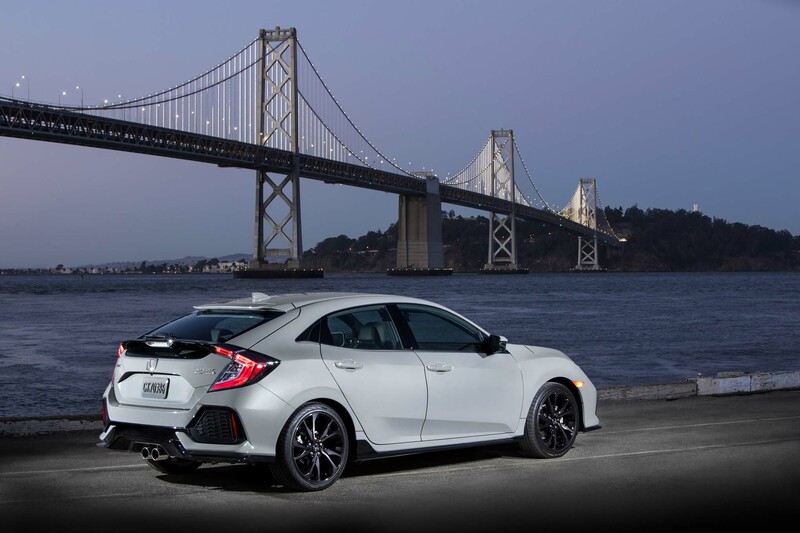 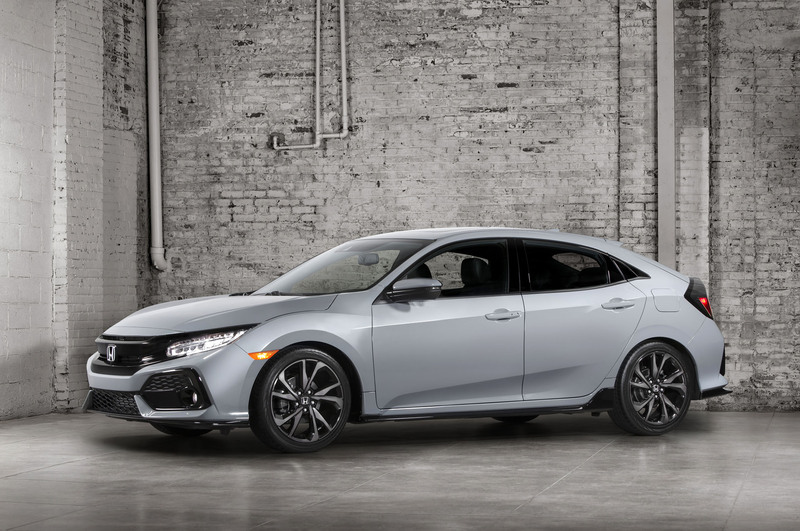 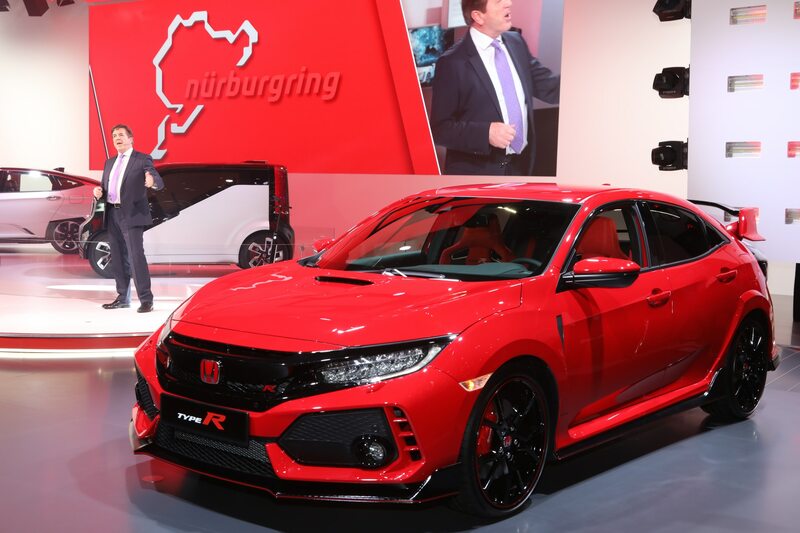 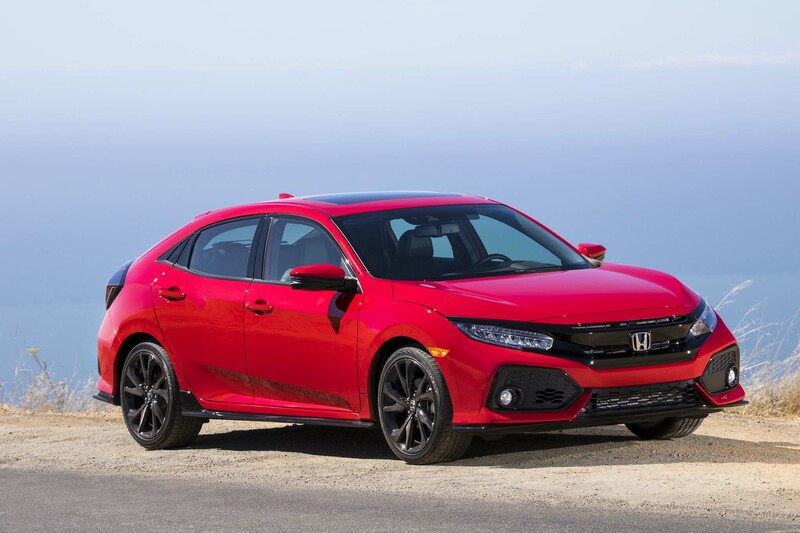 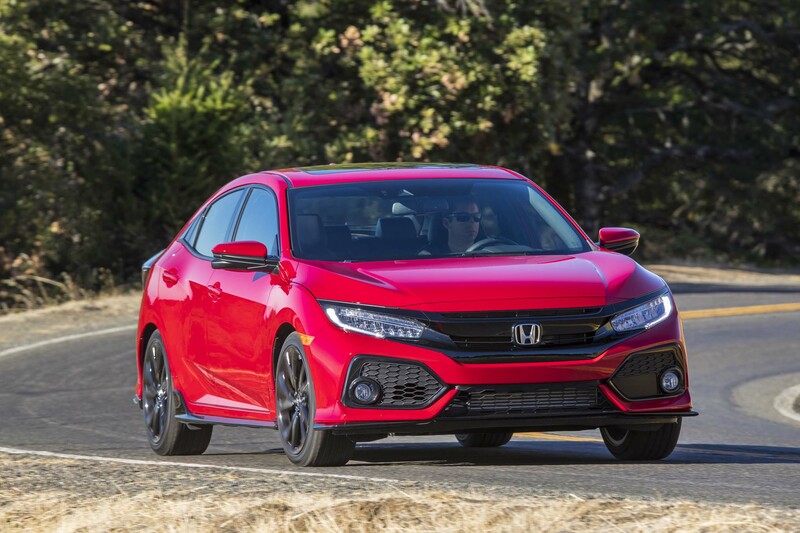 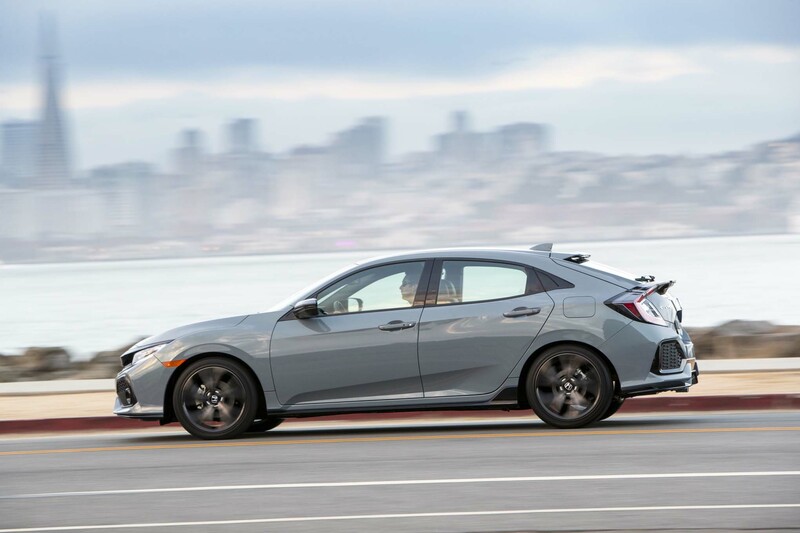 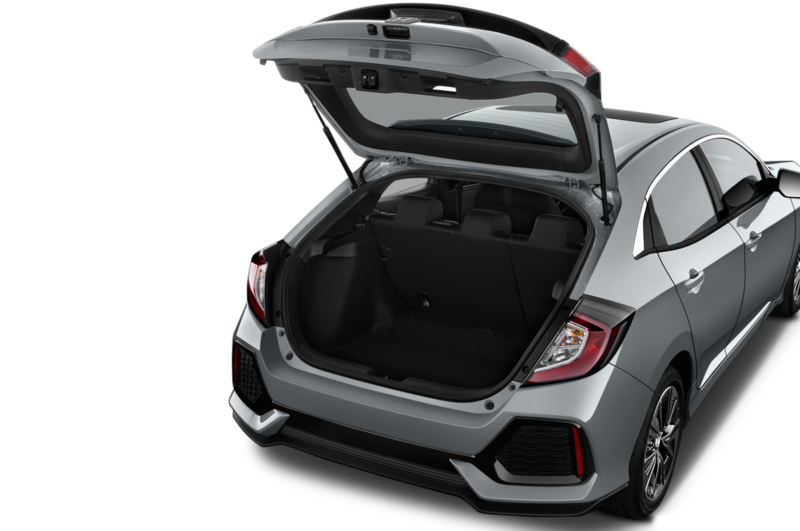 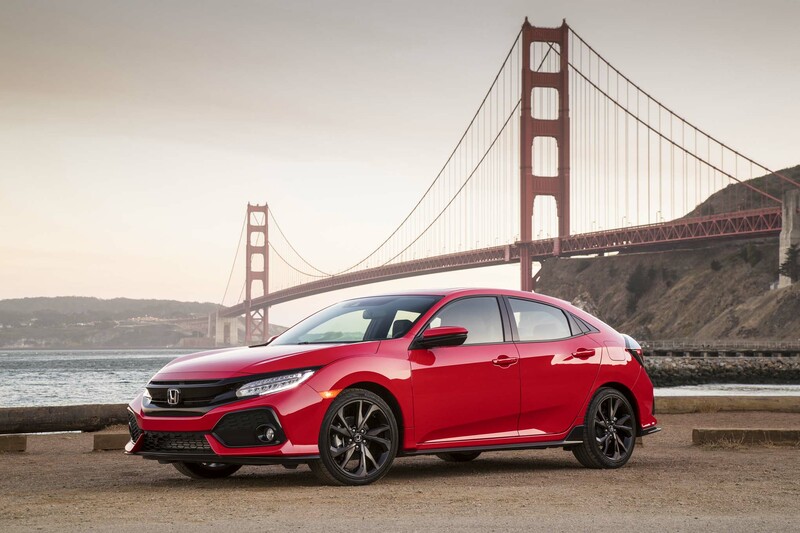 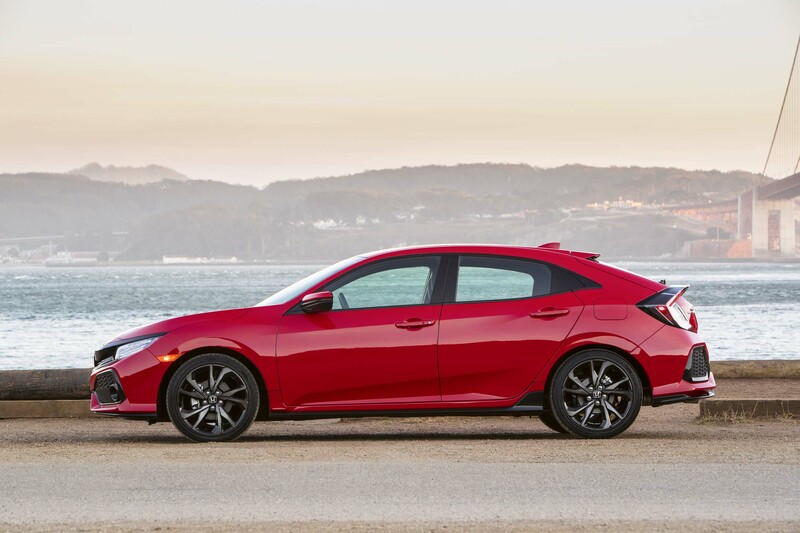 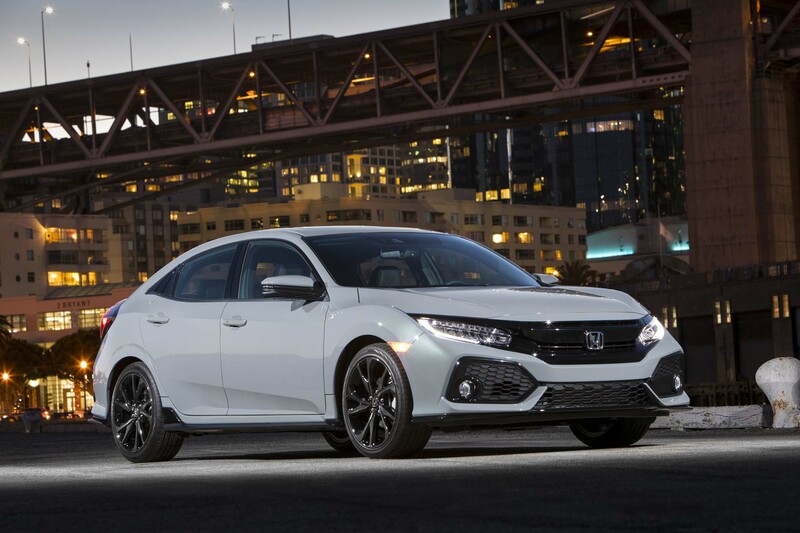 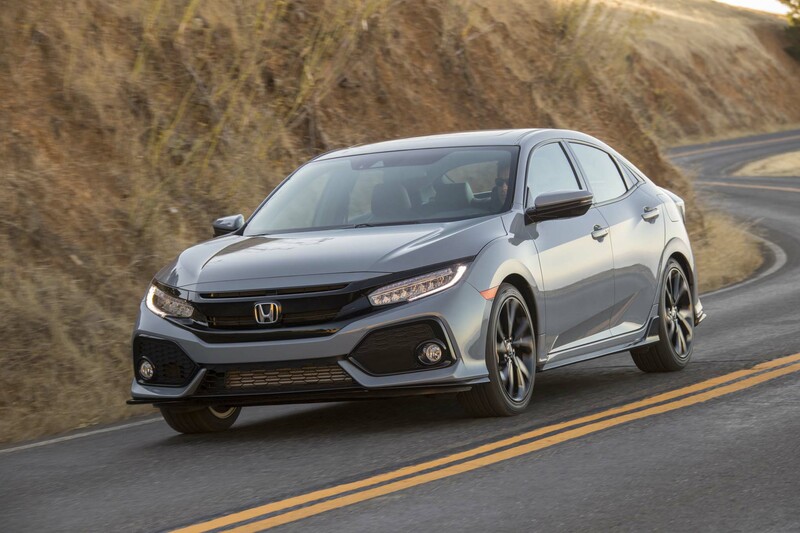 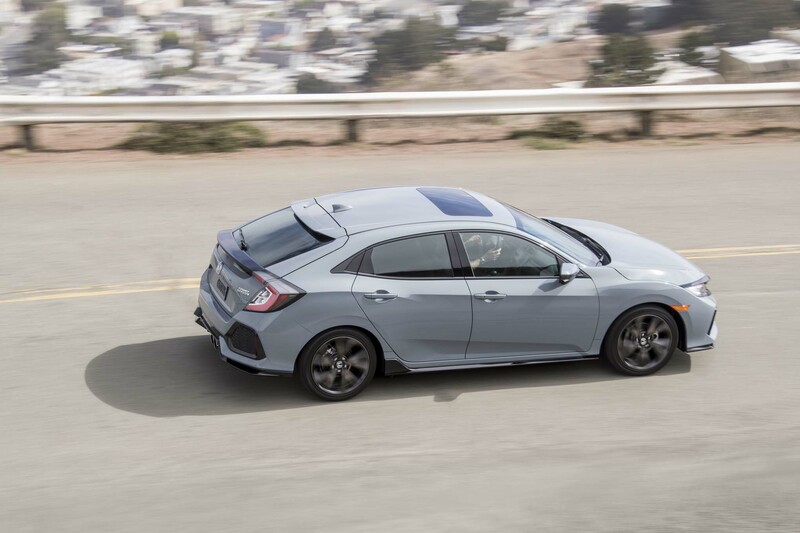 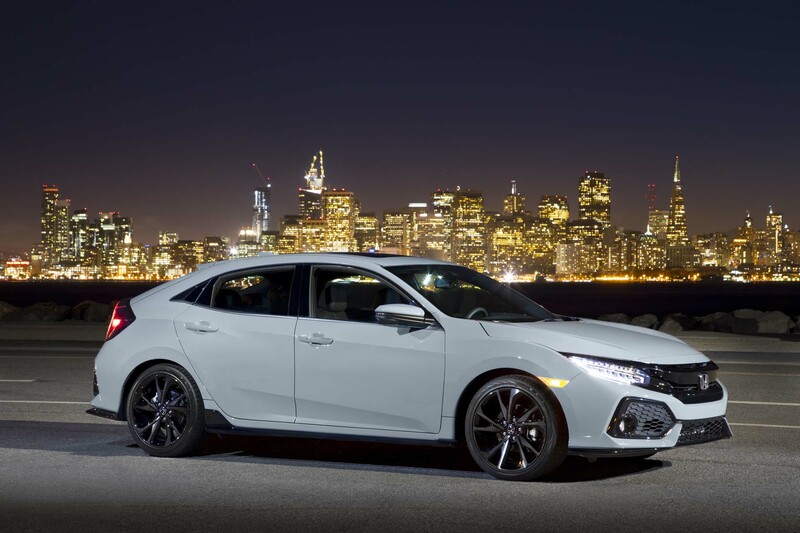 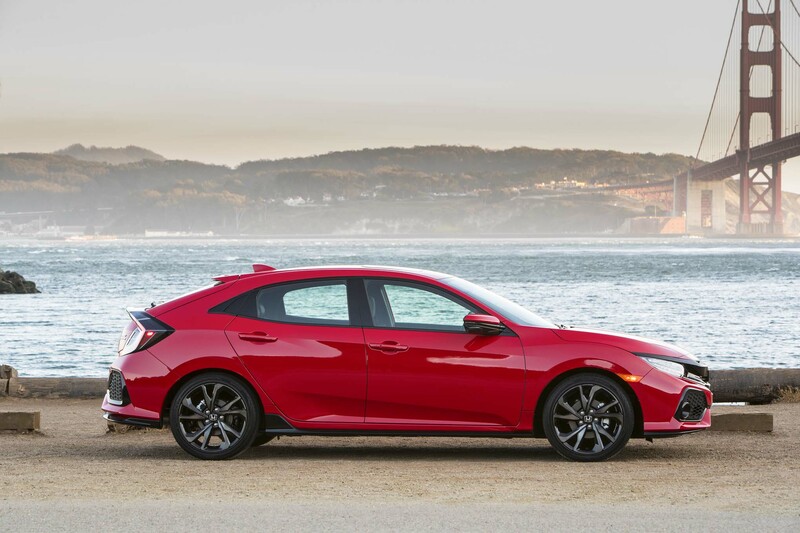 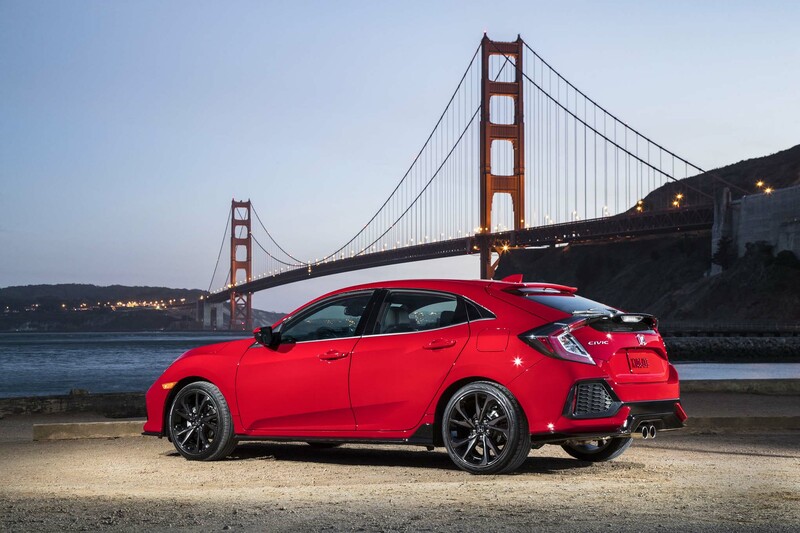 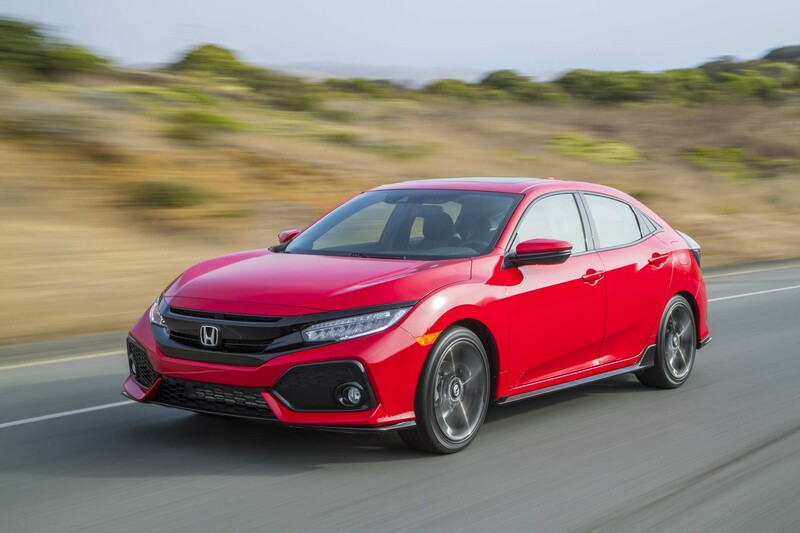 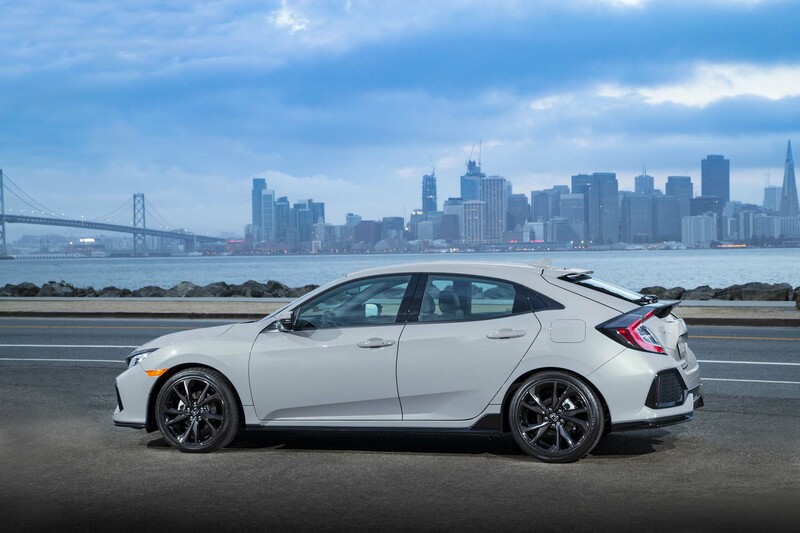 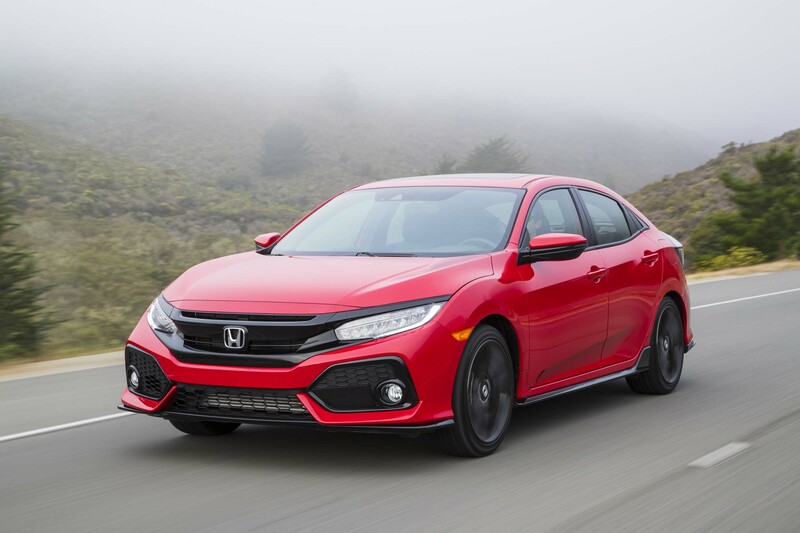 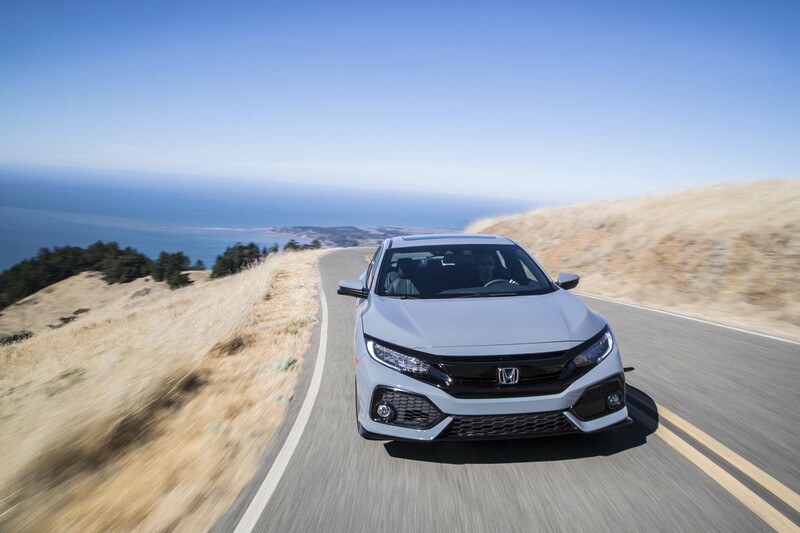 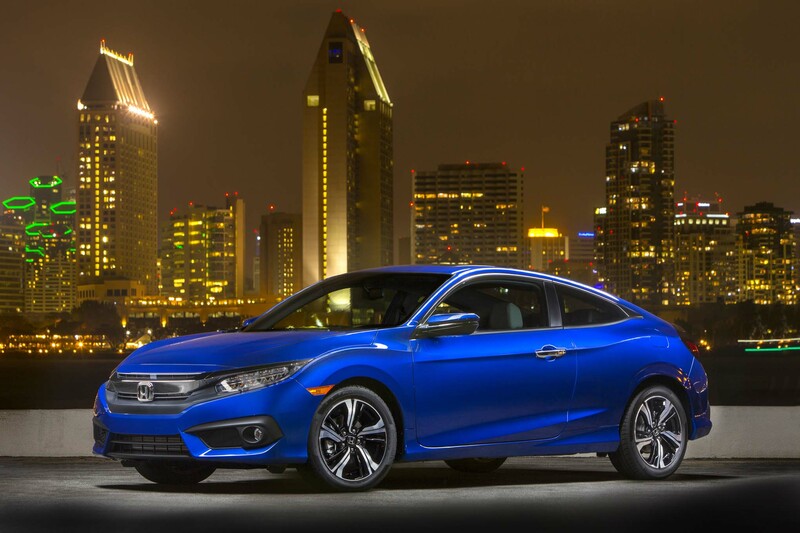 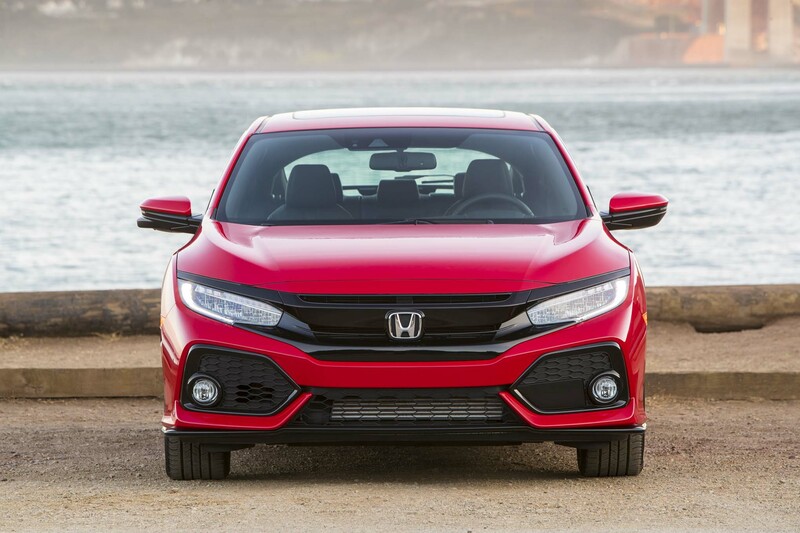 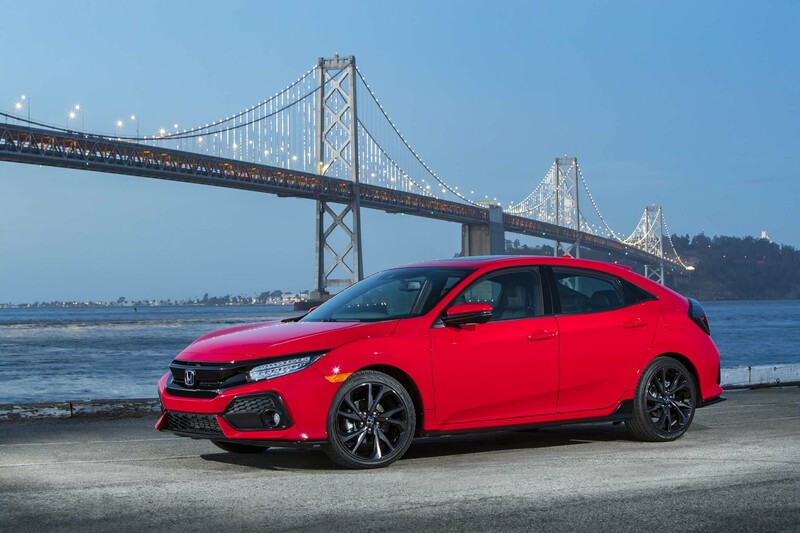 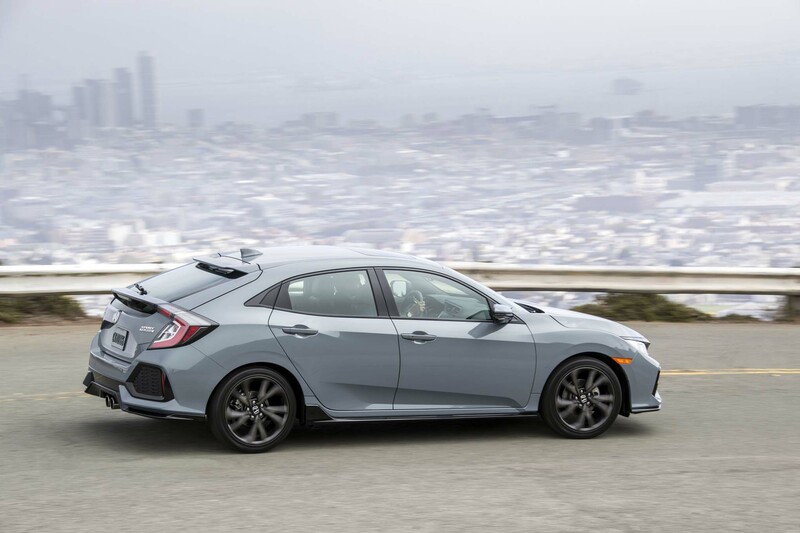 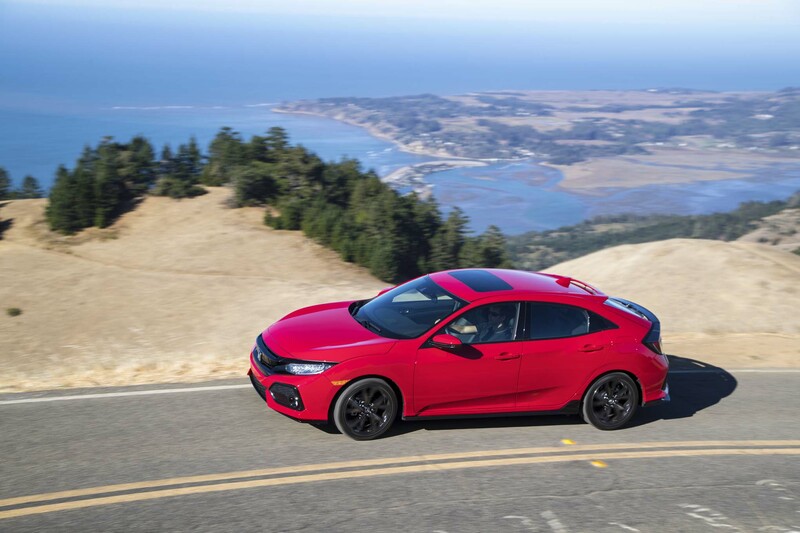 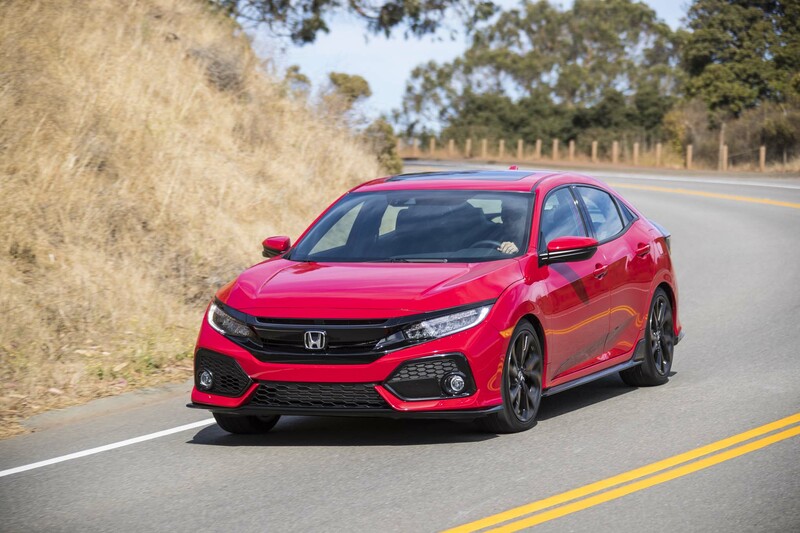 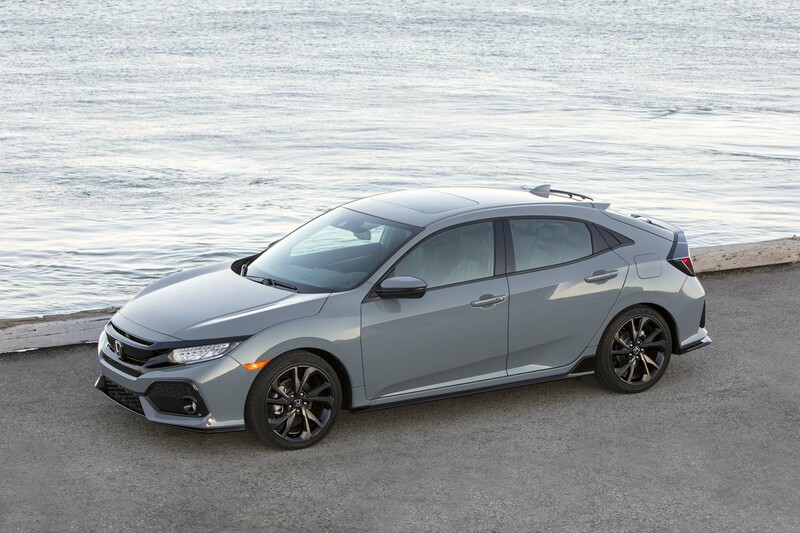 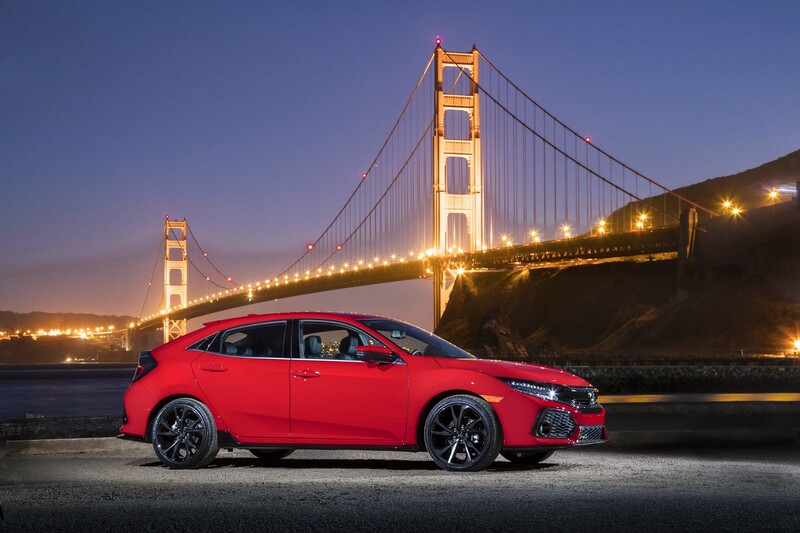 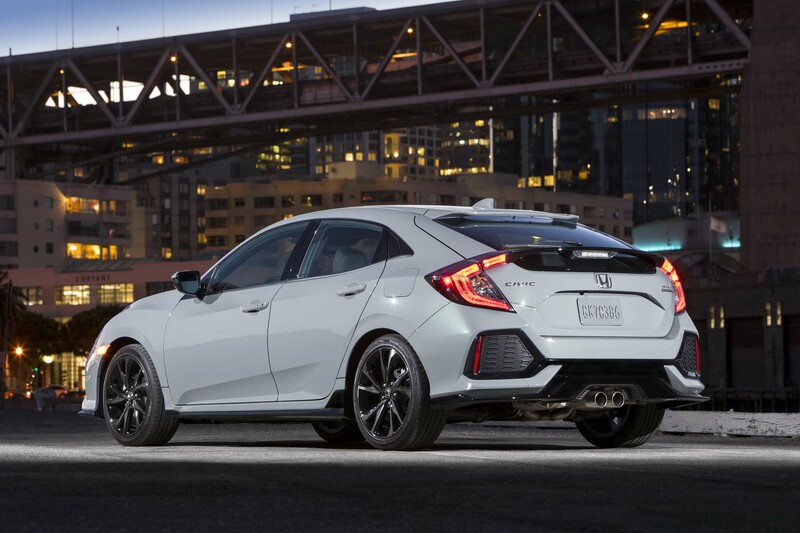 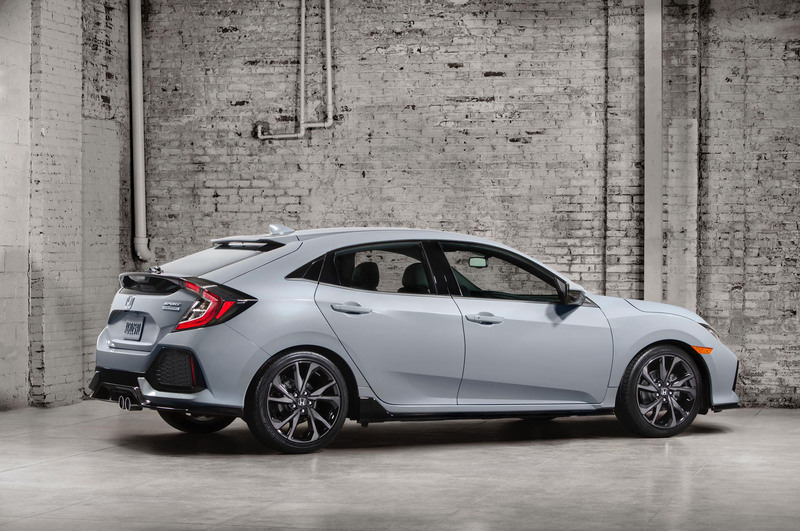 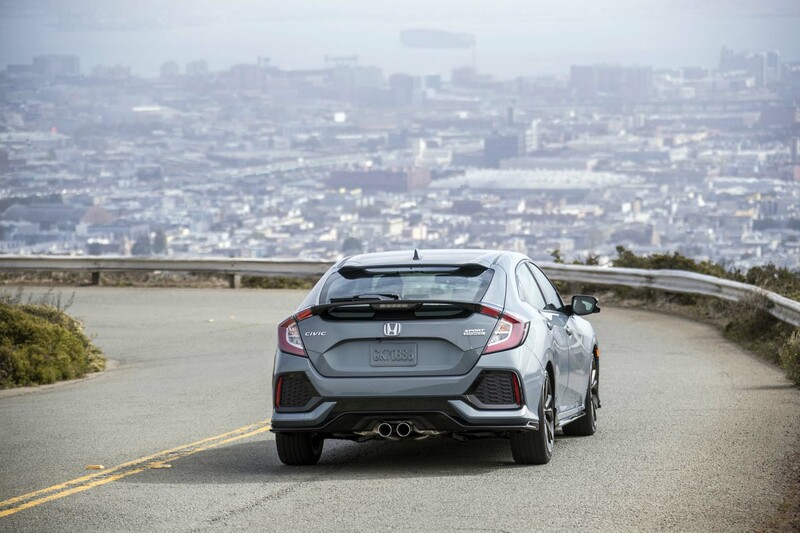 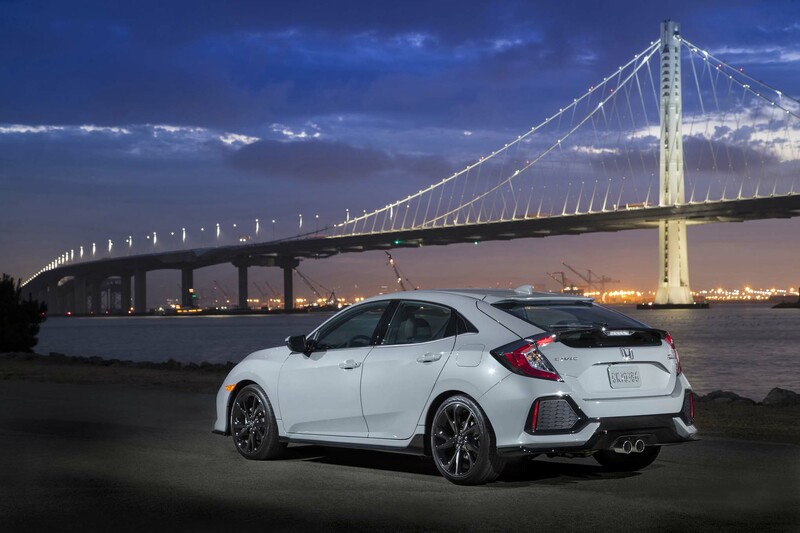 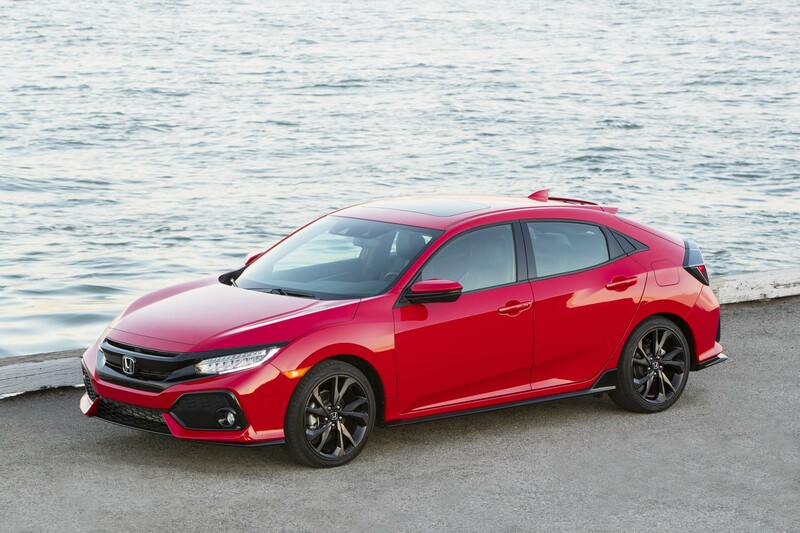 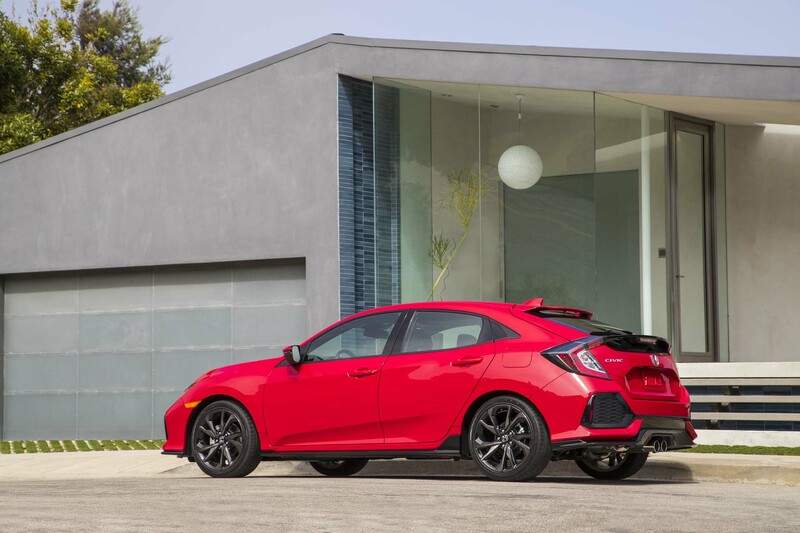 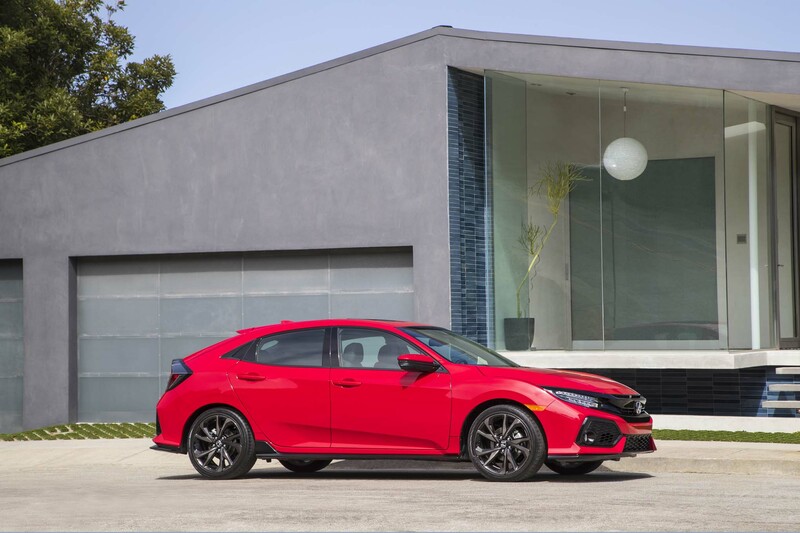 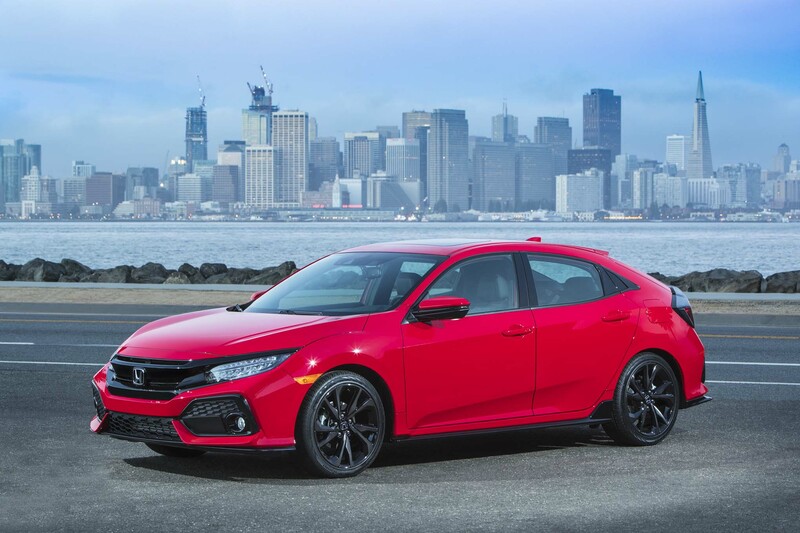 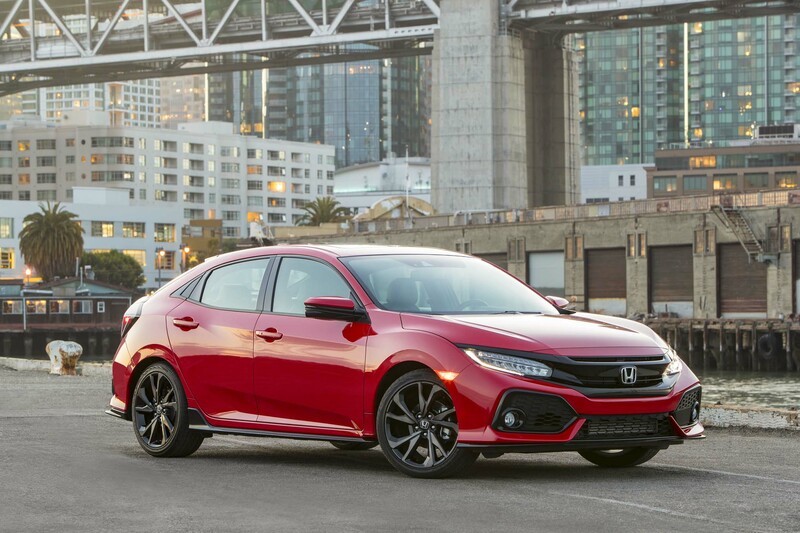 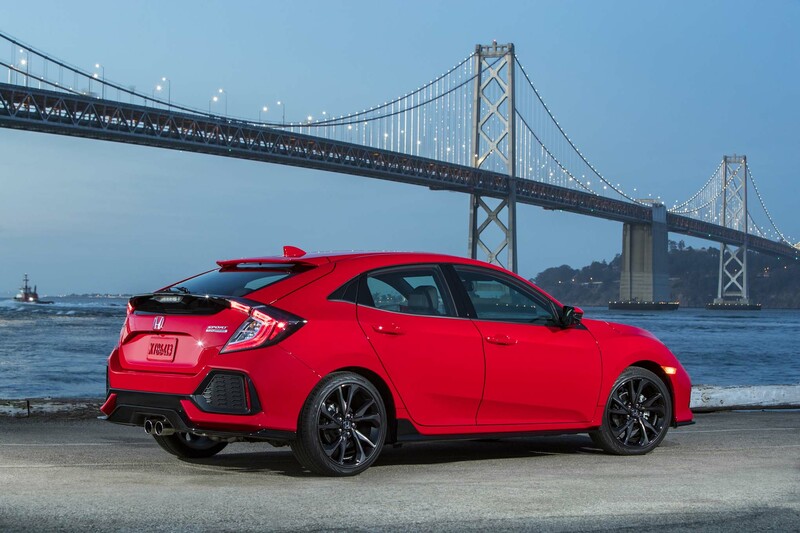 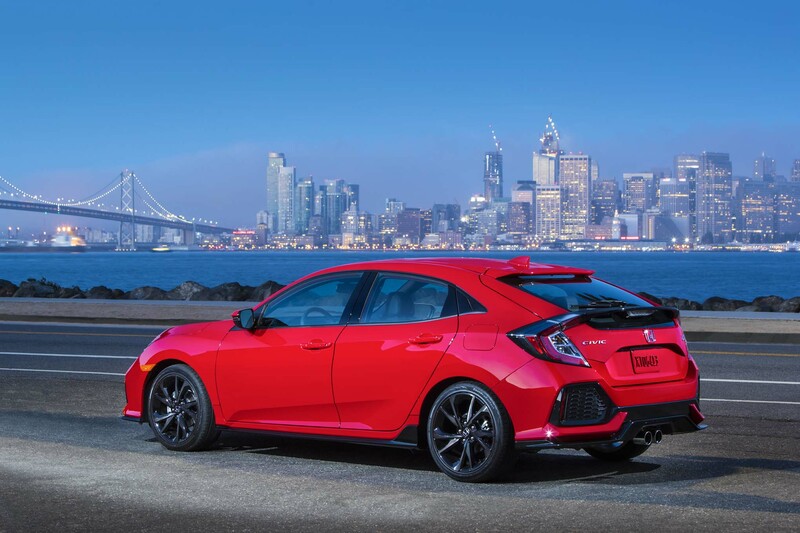 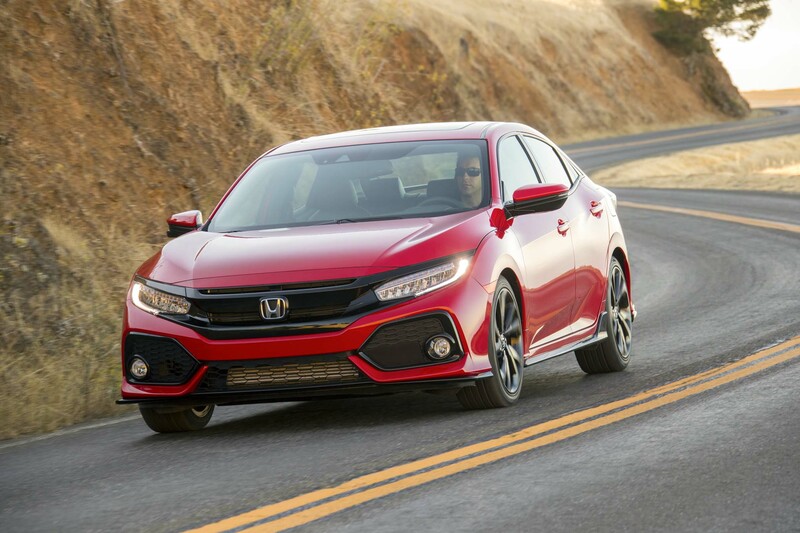 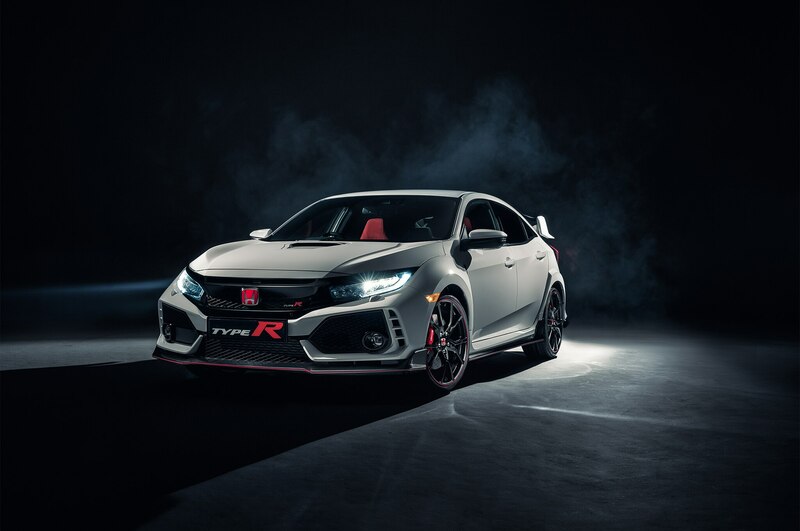 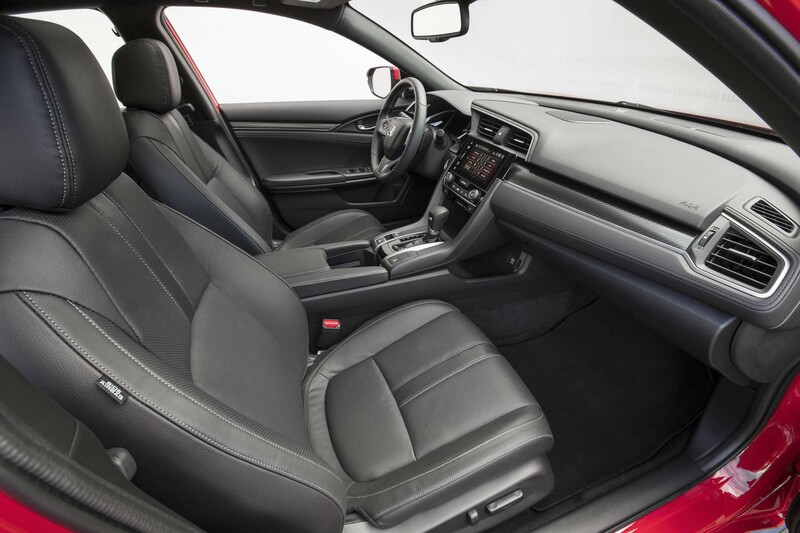 Rightfully so, the 2017 Type R will arrive on our shores on a wave of very high expectations, and Honda has to deliver the goods if it wants to edge out the fresh-faced Ford Focus RS as well as veterans like the Volkswagen Golf R and Subaru WRX STI. 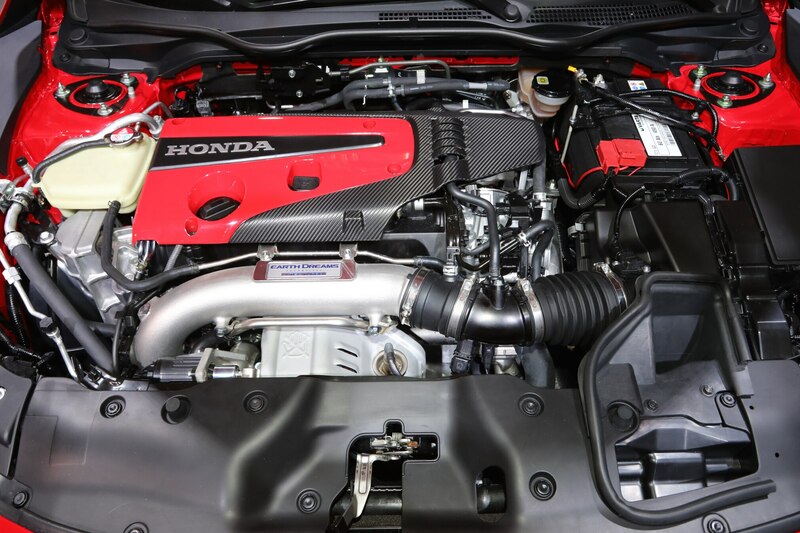 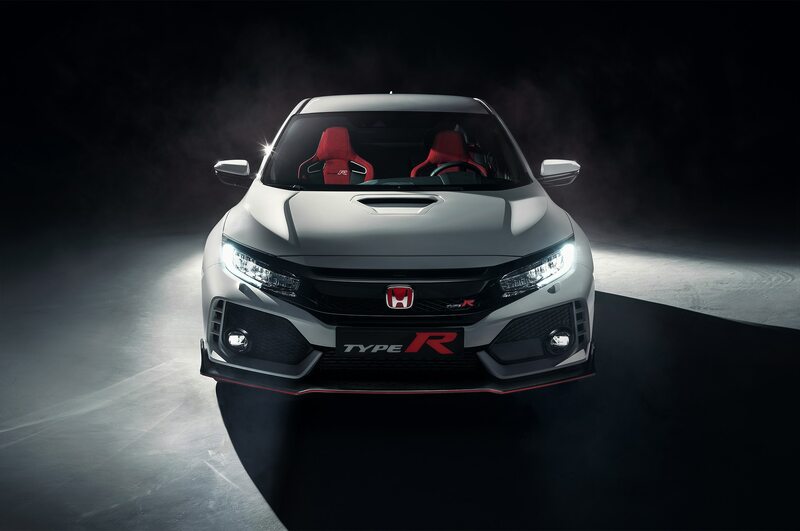 To find out what tricks the Type R has up its wild sleeve, we spoke with lead project engineer Hideki Kakinuma. 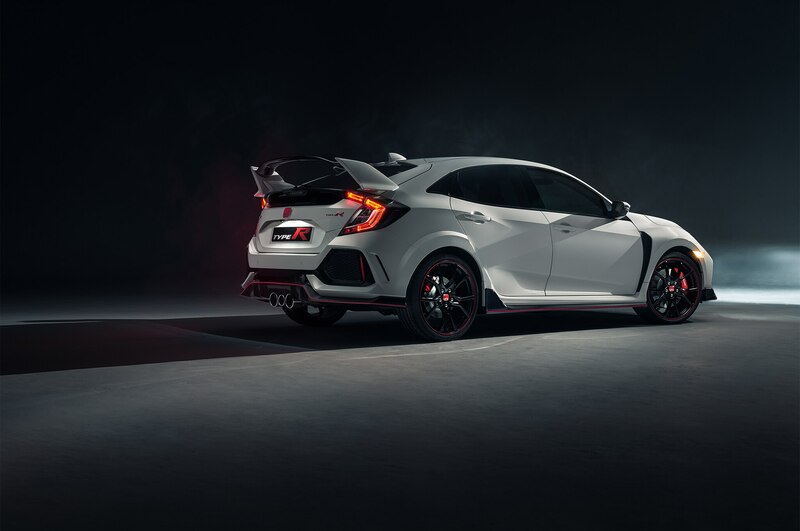 Aerodynamics are a huge component to making the Type R a fiendish little thing on the track, meaning all of those ridiculous scoops and vents actually have a purpose. 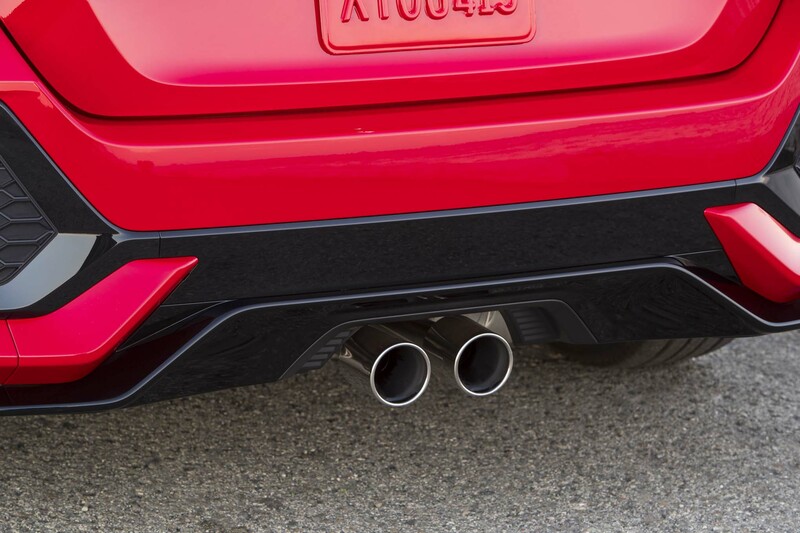 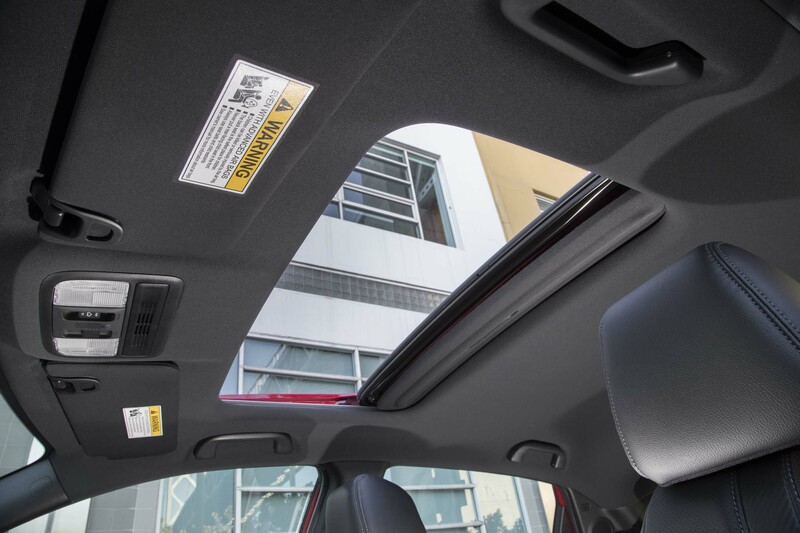 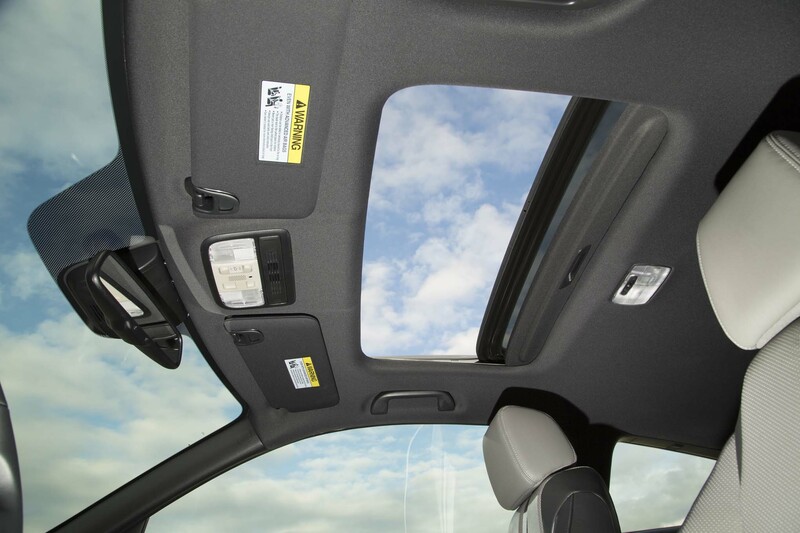 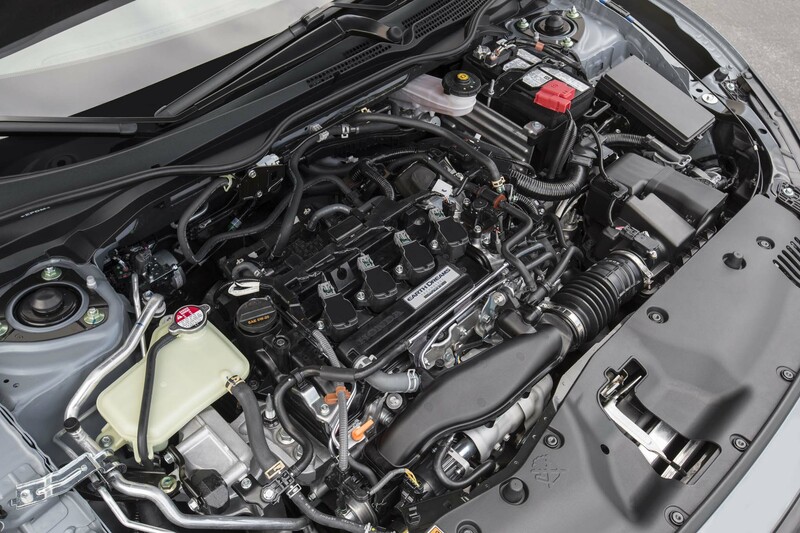 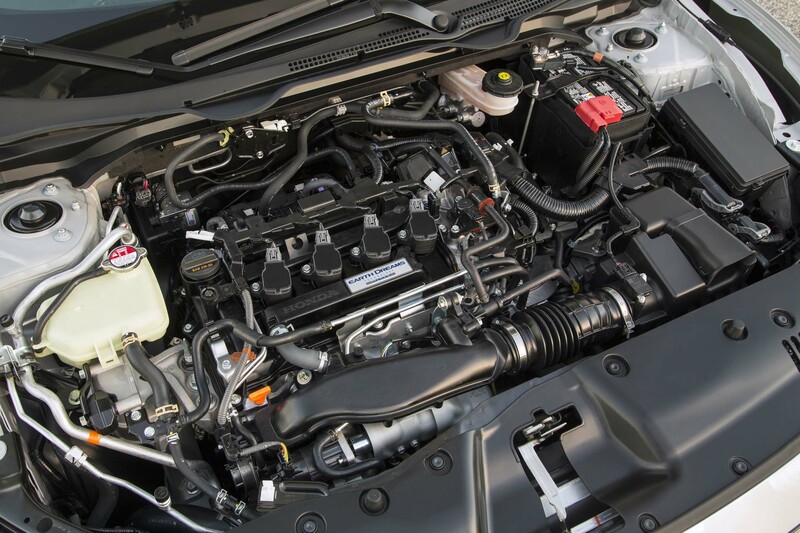 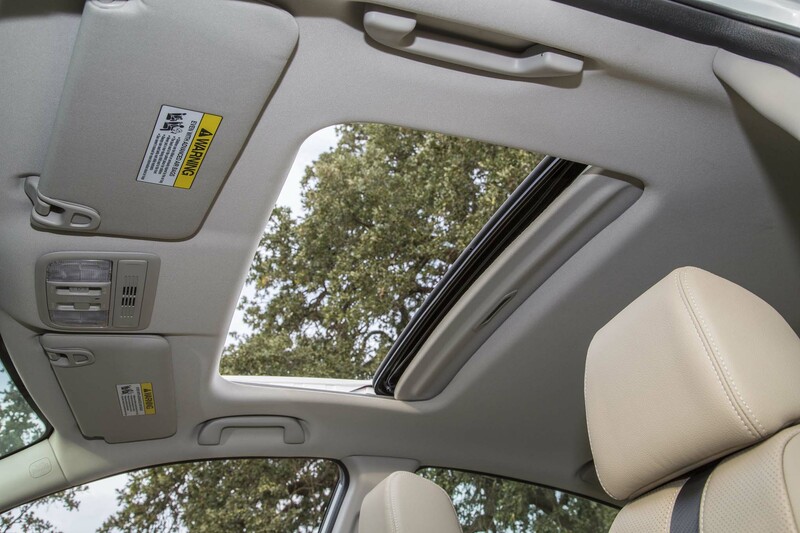 Up front, the four-hole air ducts on the edges of the foglight housings create a curtain of air that passes the intercooler and exits behind the wheel. 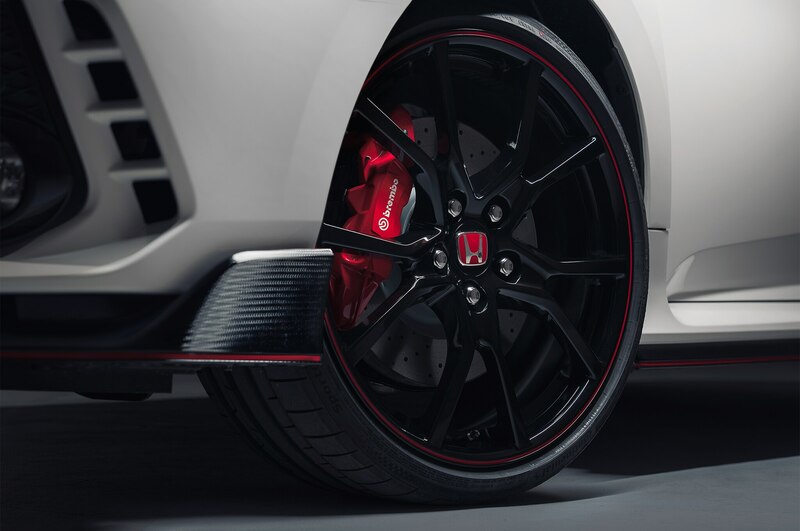 The little winglets on each side of the front diffuser is something Kakinuma calls an “airflick,” which helps create downforce on the front axle, while similar pieces at the rear do the same. 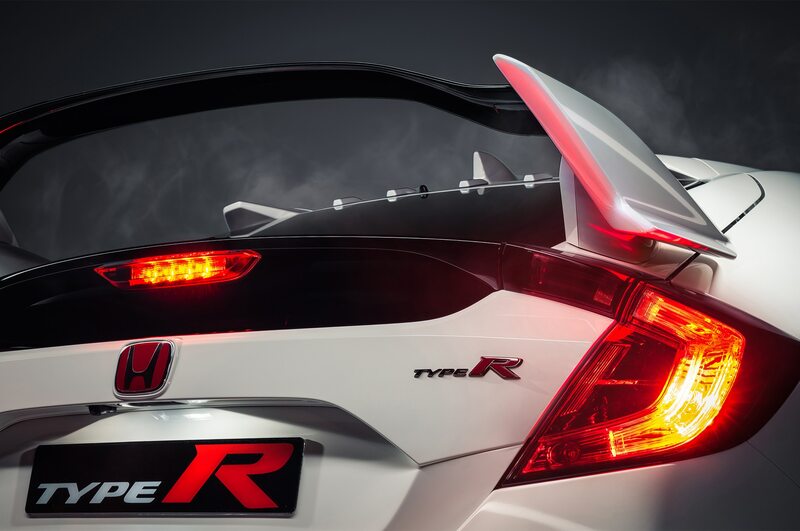 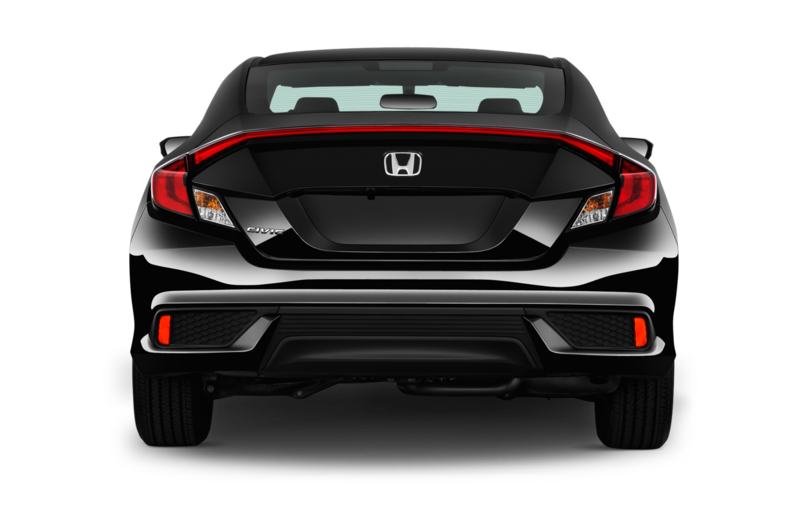 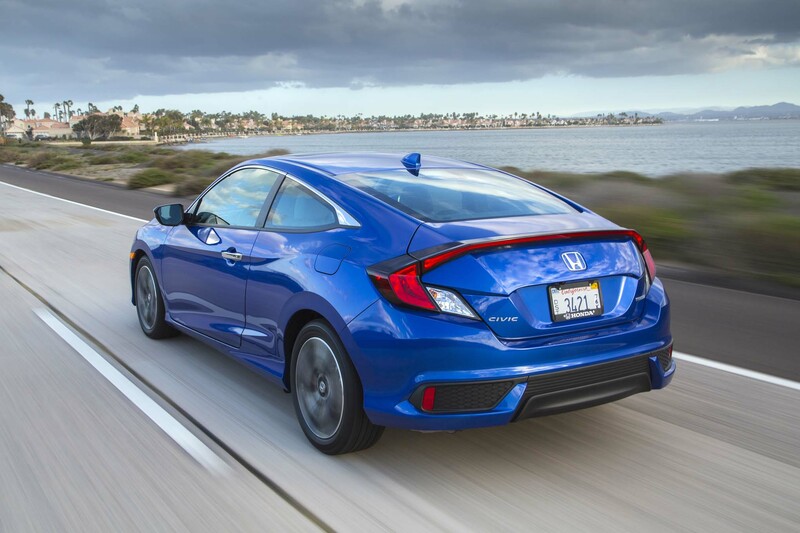 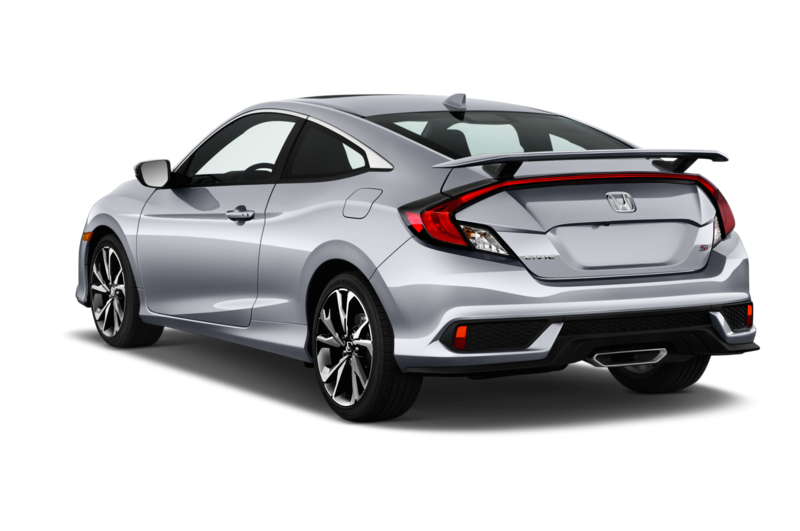 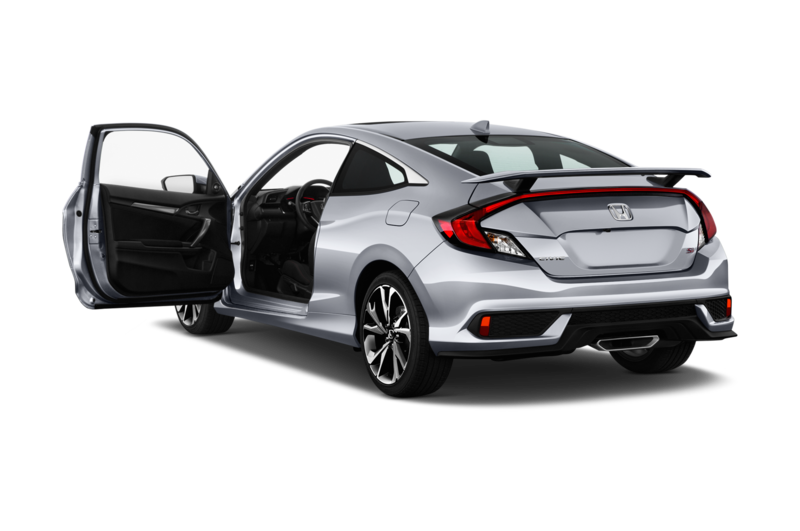 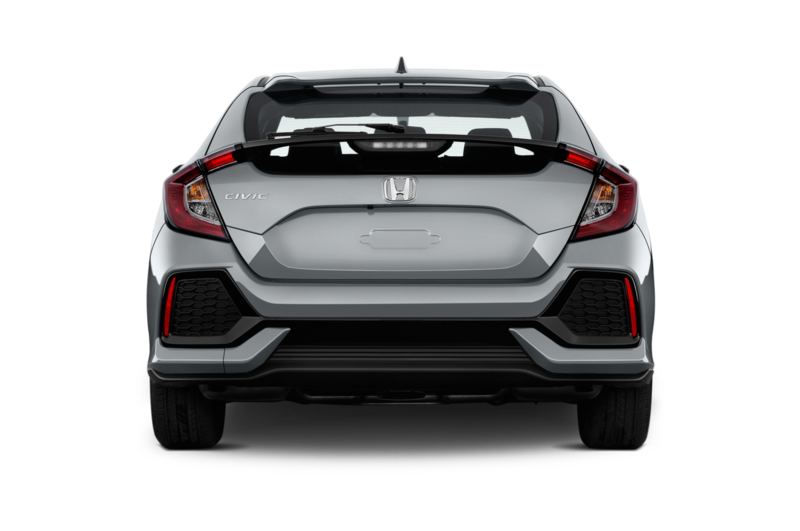 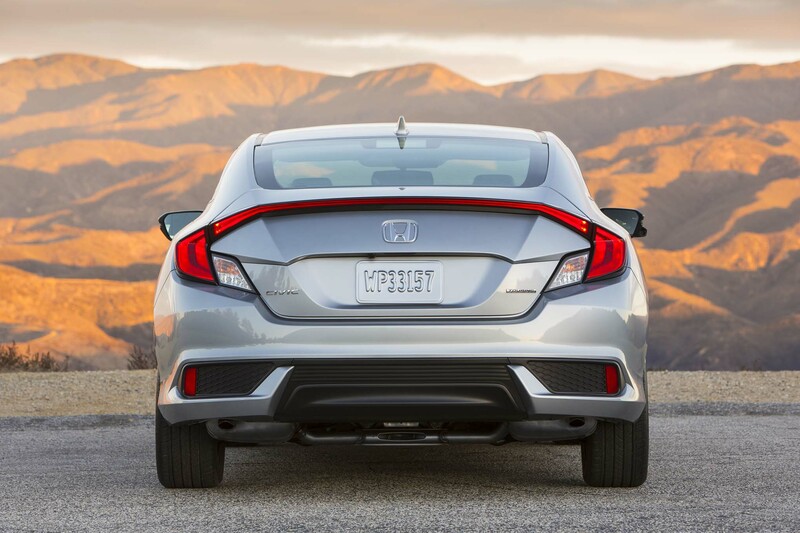 The enormous wing is also meant to increase downforce by creating a pressure differential, but Honda used a new production method to make it extra thin, reducing drag. 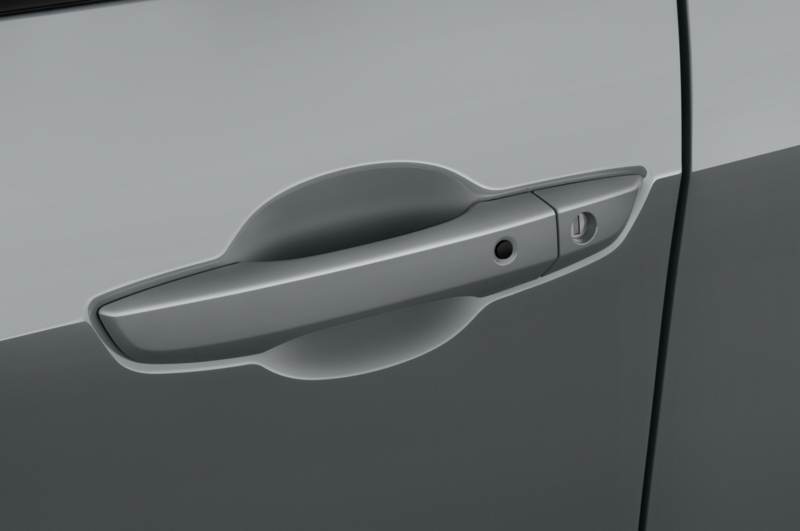 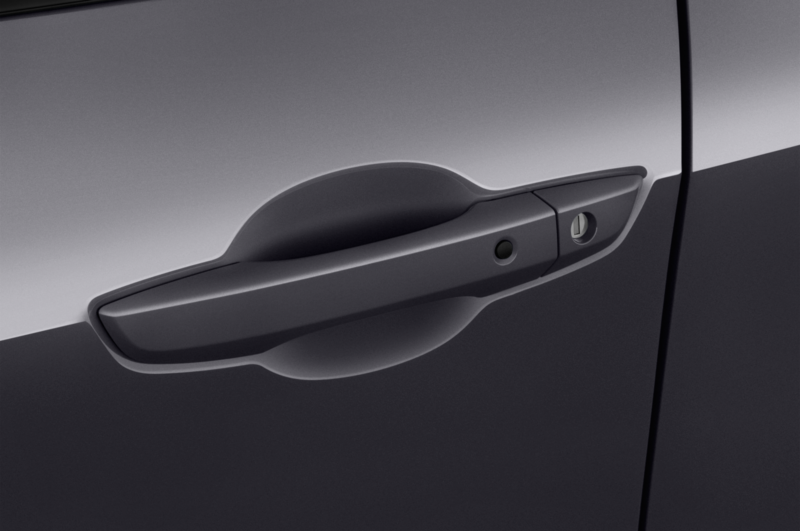 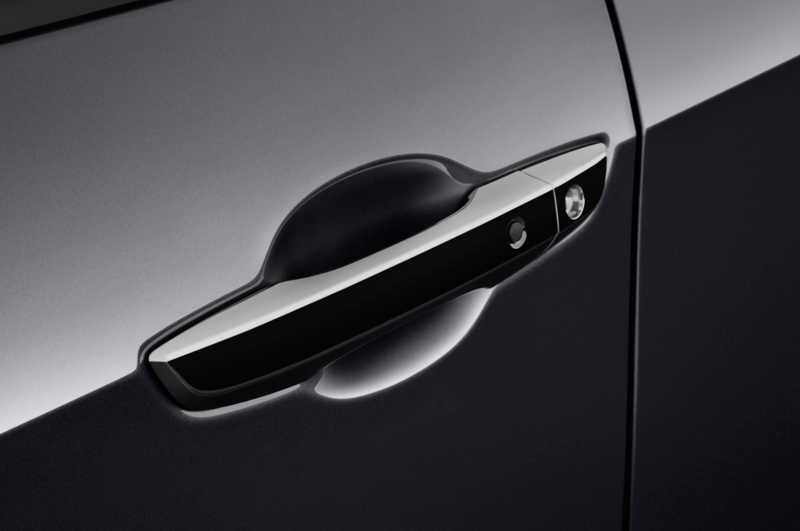 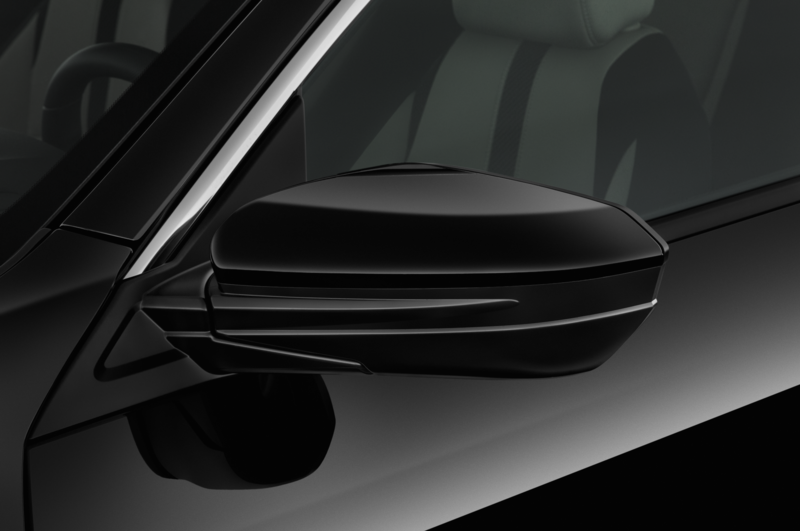 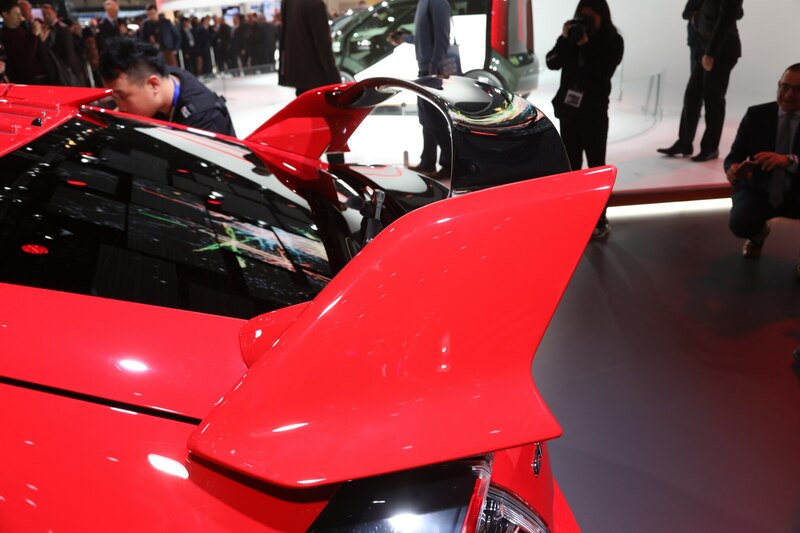 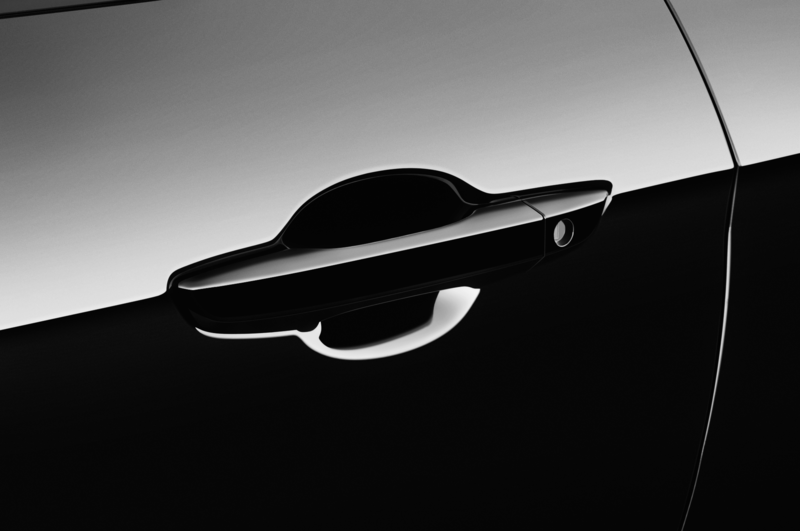 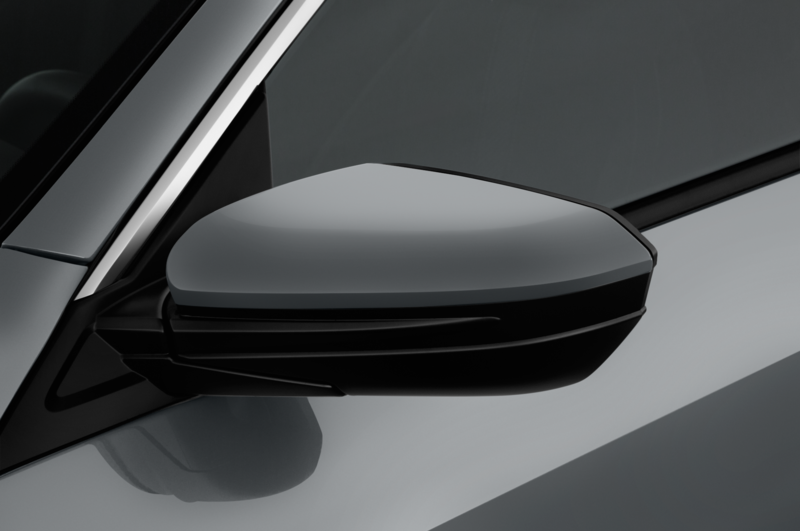 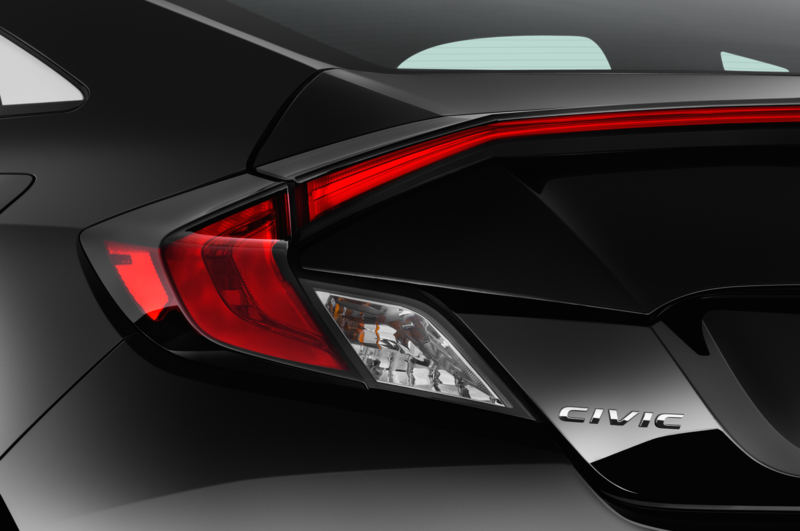 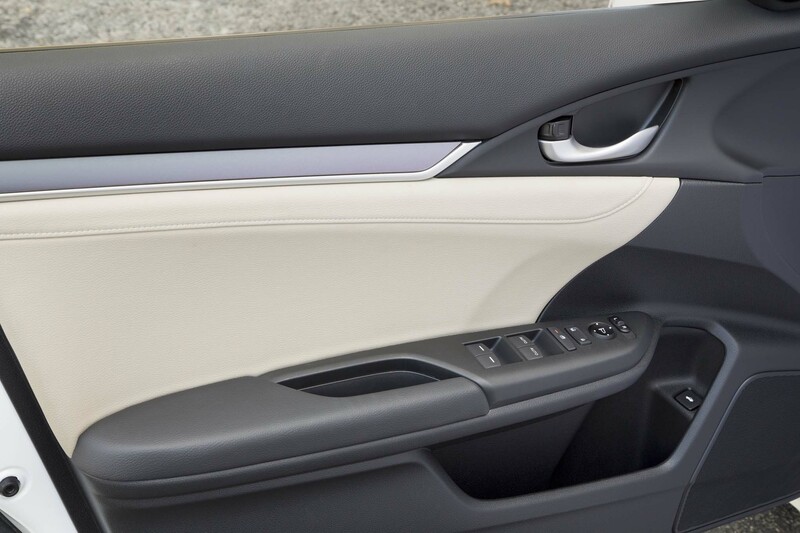 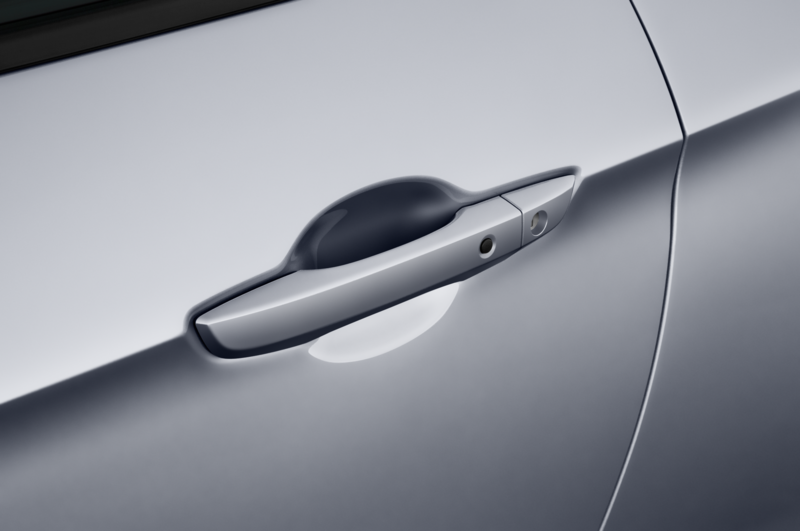 Working in concert with the rear wing is the series of racy-looking pieces at the top of the rear glass. 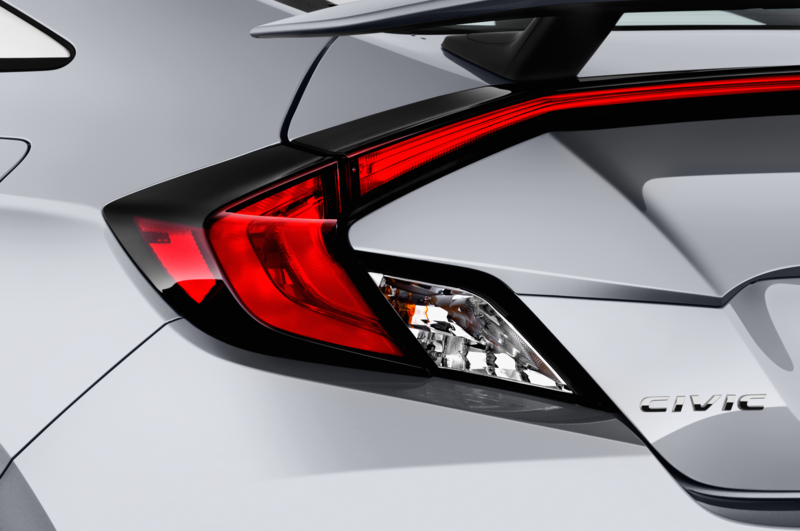 These are vortex generators that direct air strategically at the wing for additional downforce. 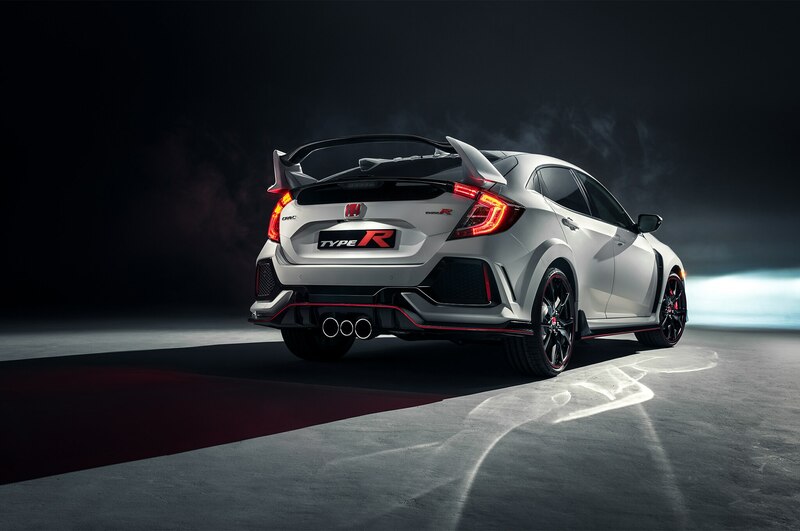 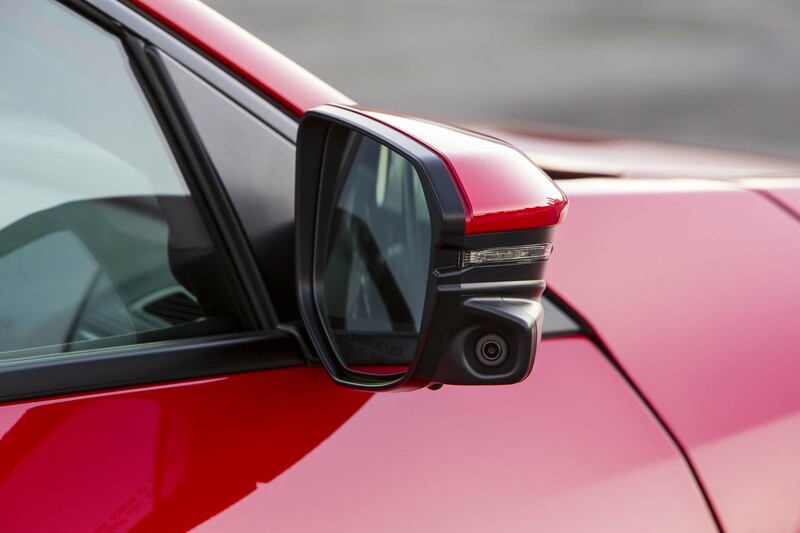 The entire suspension system has been revised, combining an updated version of the Dual-Axis front suspension of the last Type R with a new multilink rear. 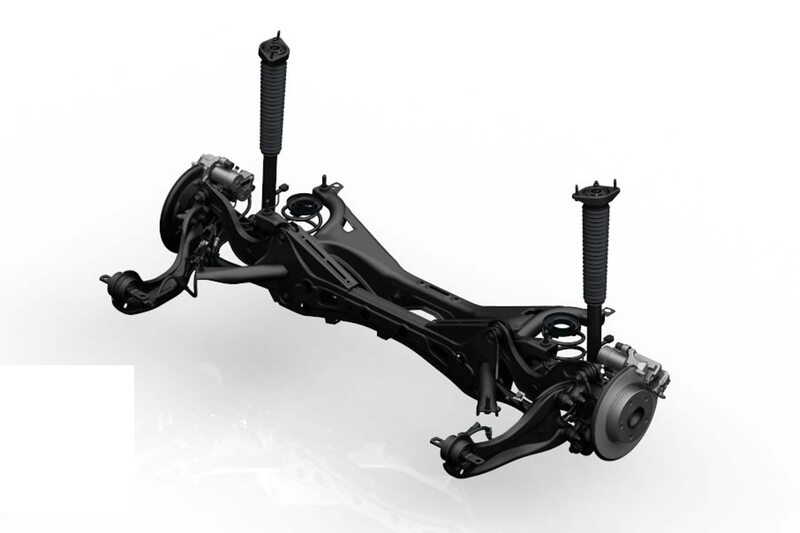 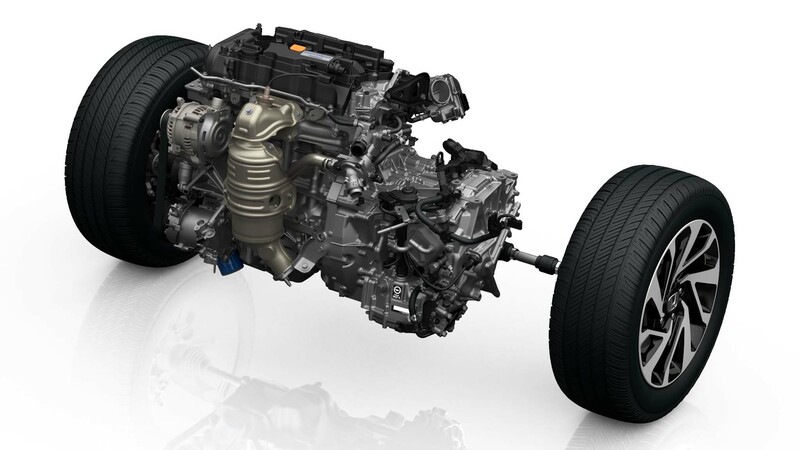 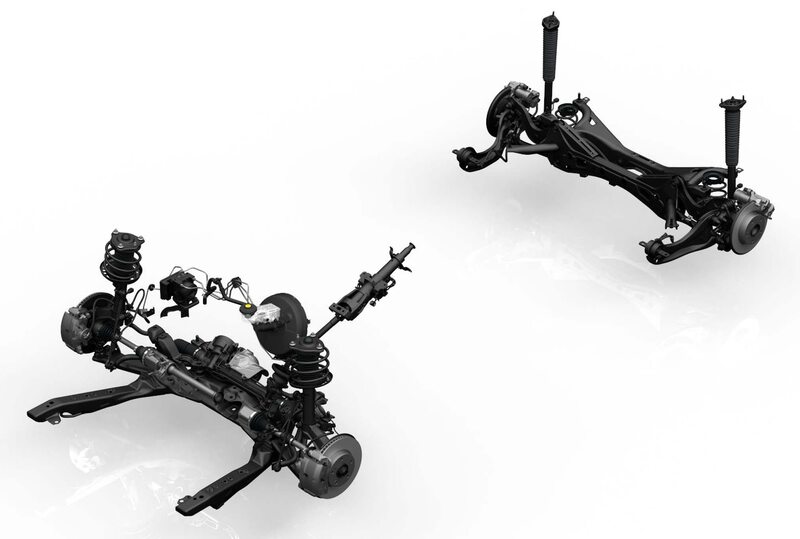 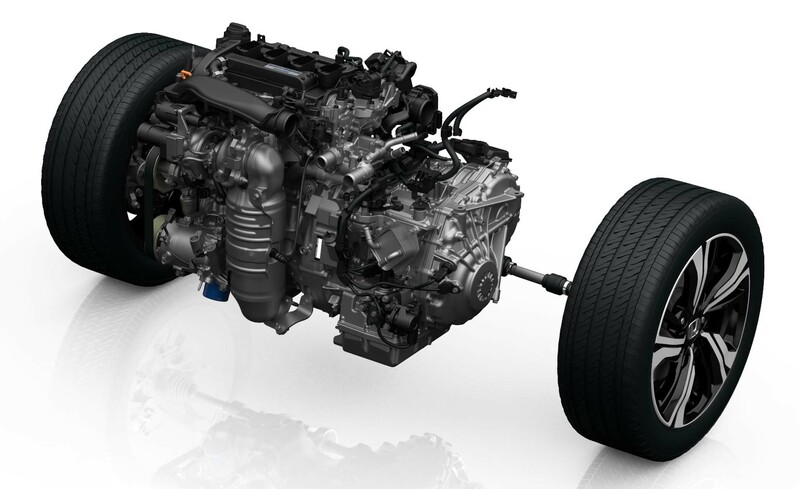 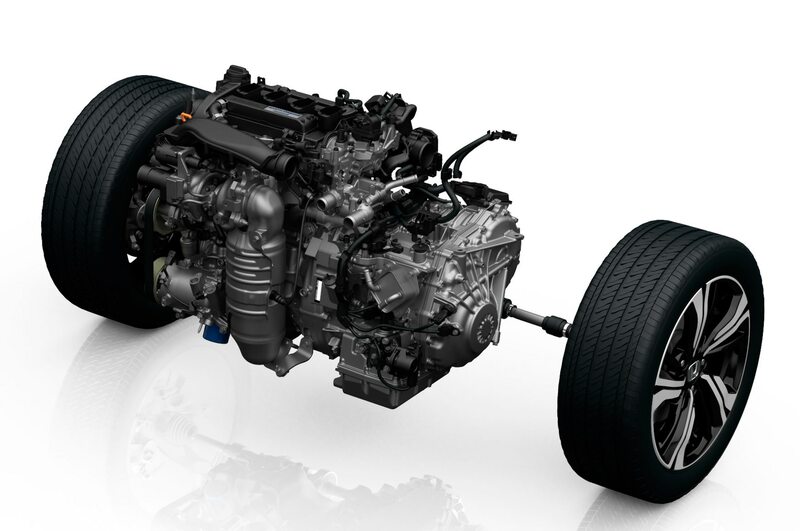 While the front suspension uses the same philosophy as before (the idea is to bring each wheel closer to its center line in order to minimize torque steer), there are new attachment points, as well as lower arms and steering knuckles now made from aluminum. 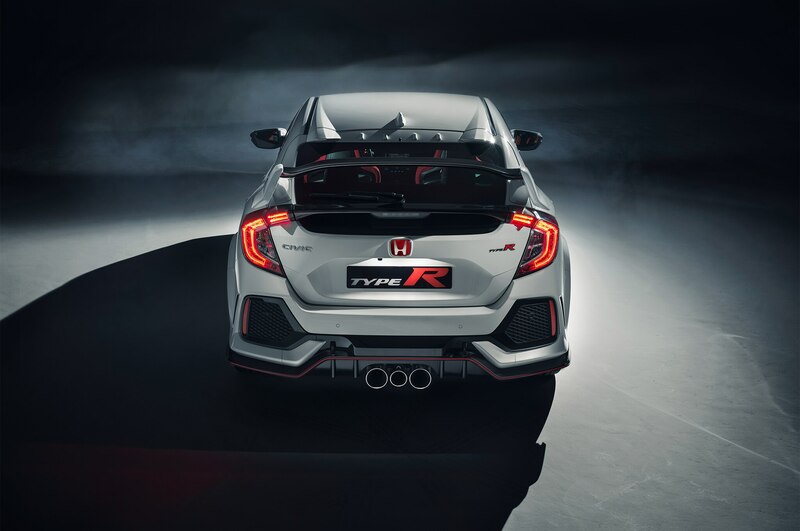 Kakinuma said that though the outgoing Type R was great, working with the 10th-gen Civic as a base gave his team more freedom than before. 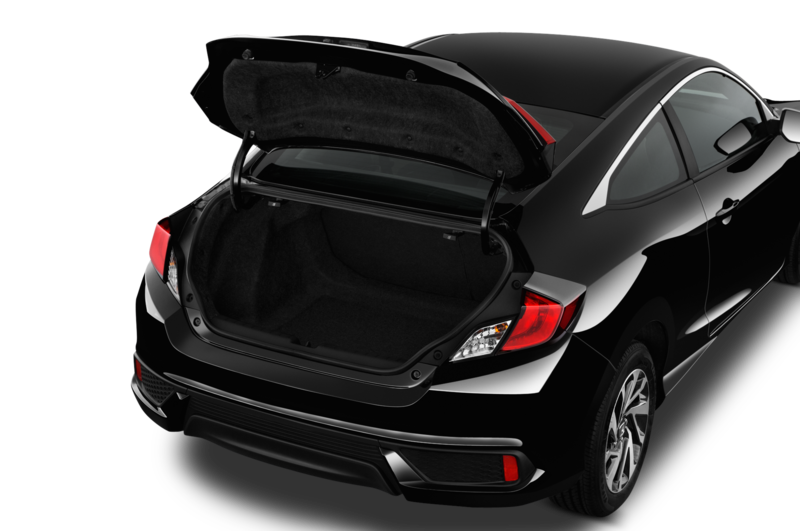 Being able to move the engine a little further back also helped, shifting weight distribution slightly more to the rear. 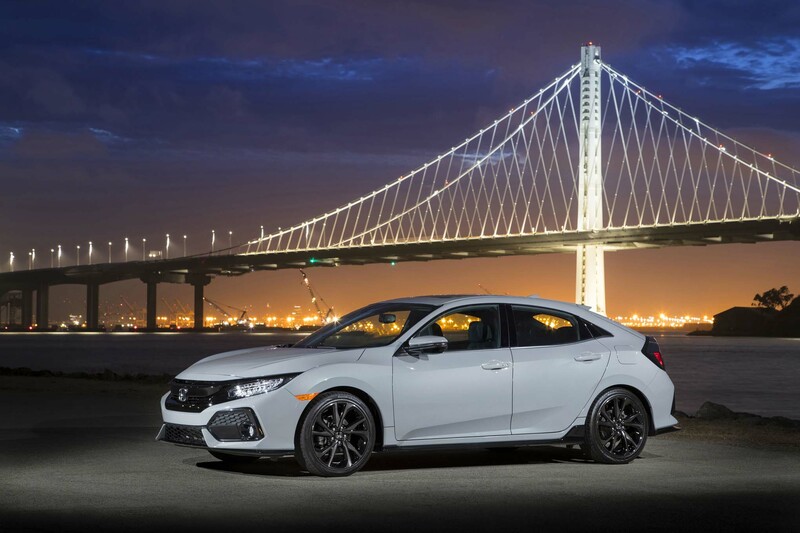 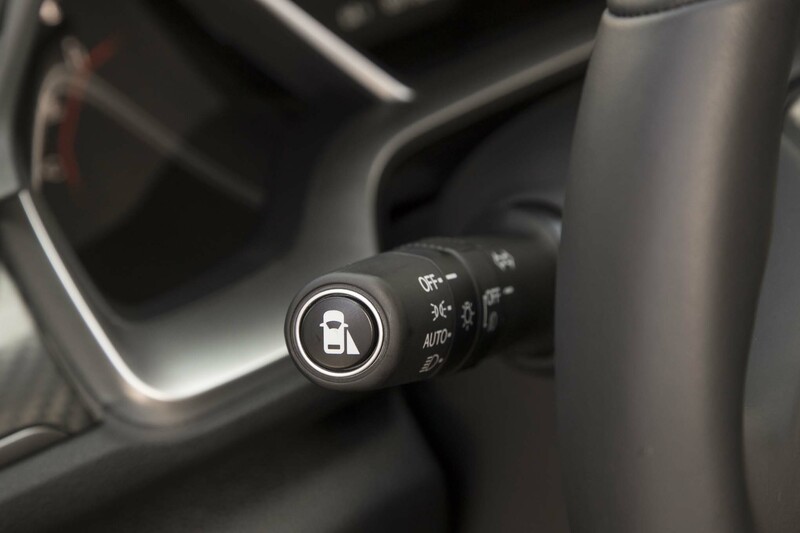 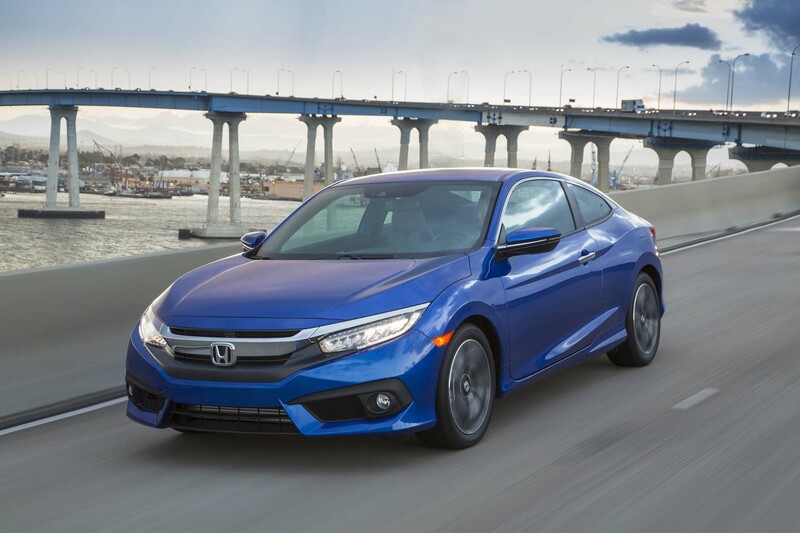 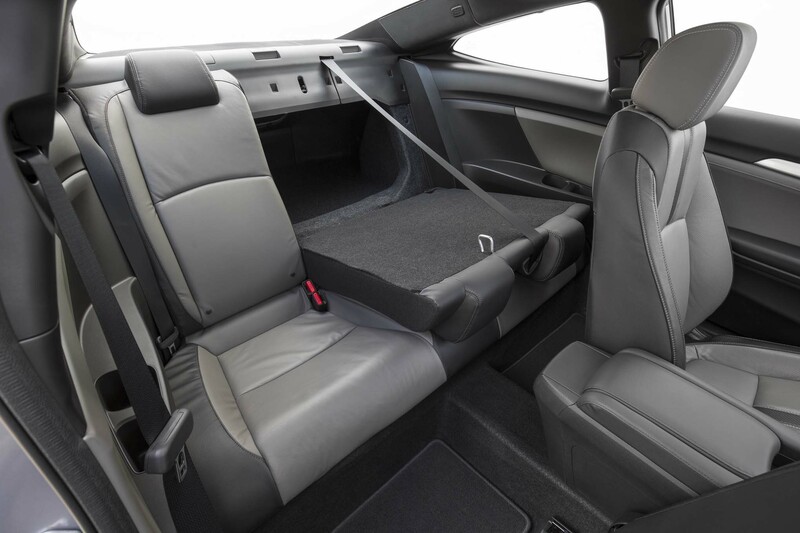 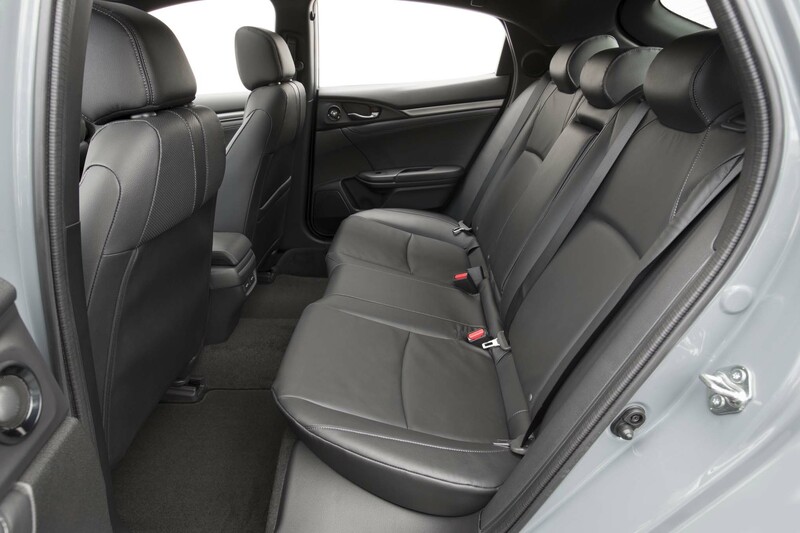 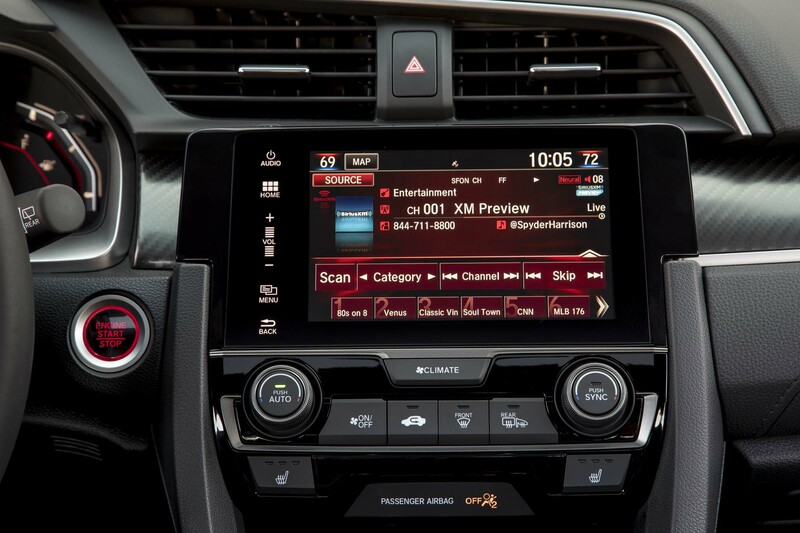 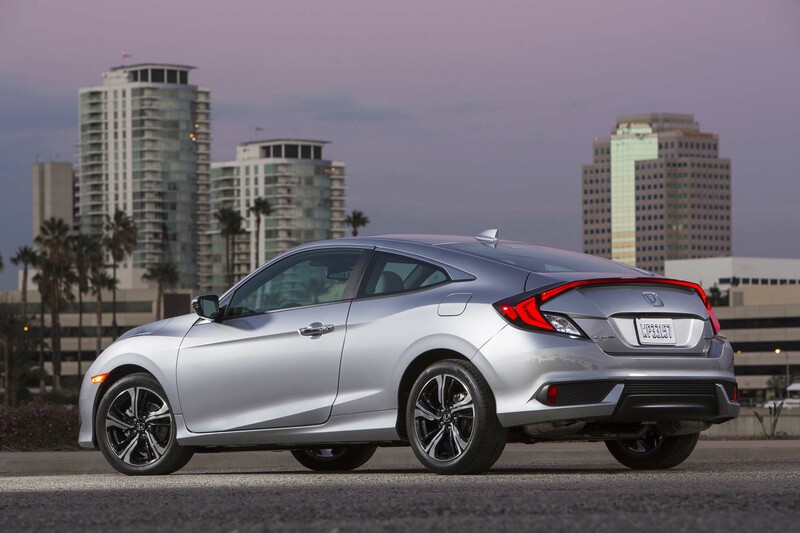 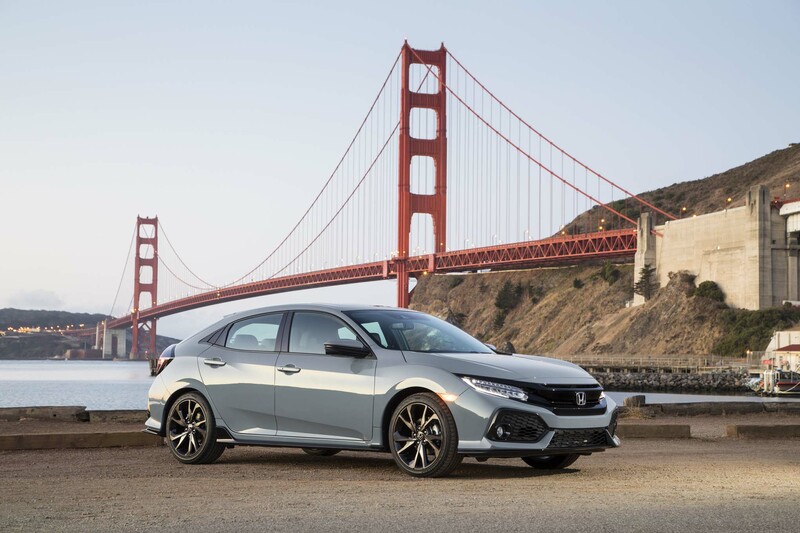 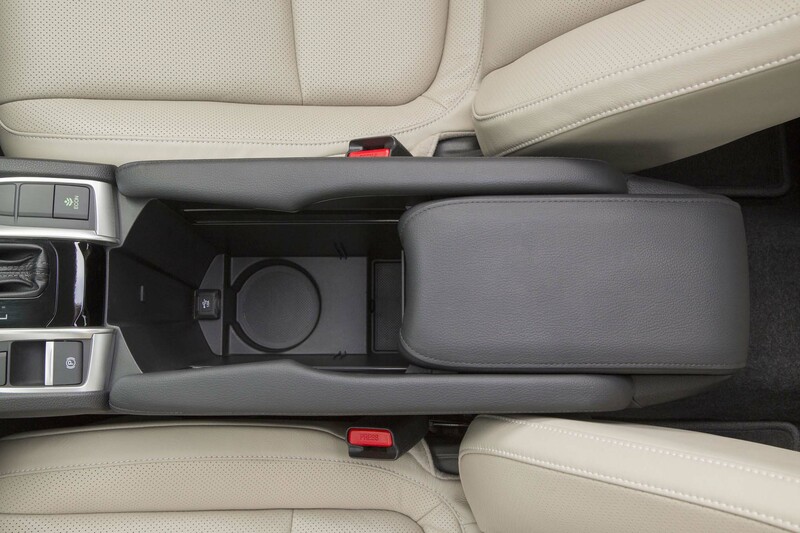 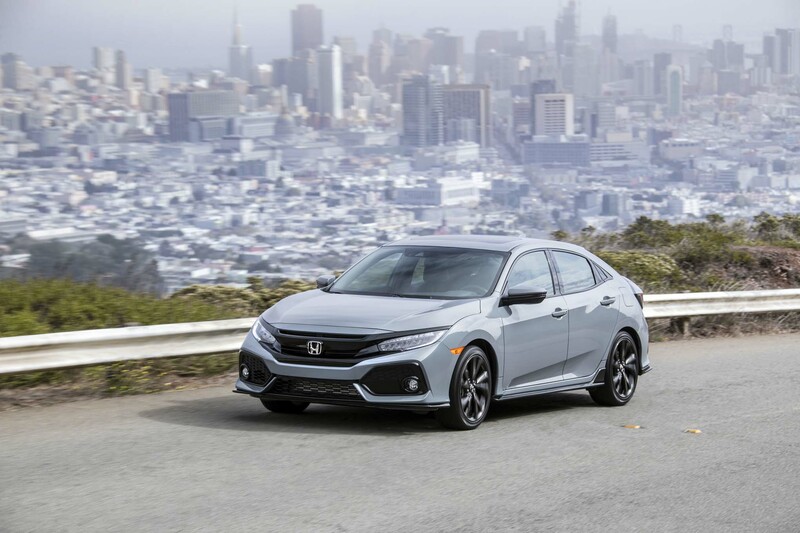 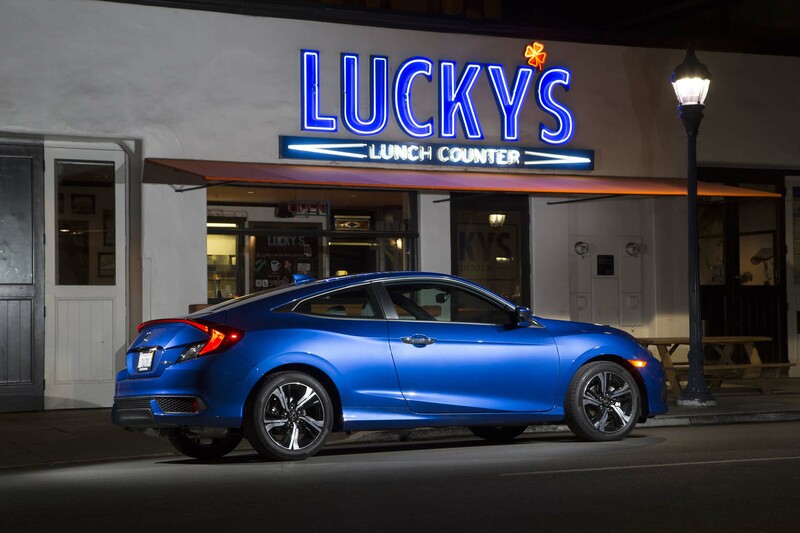 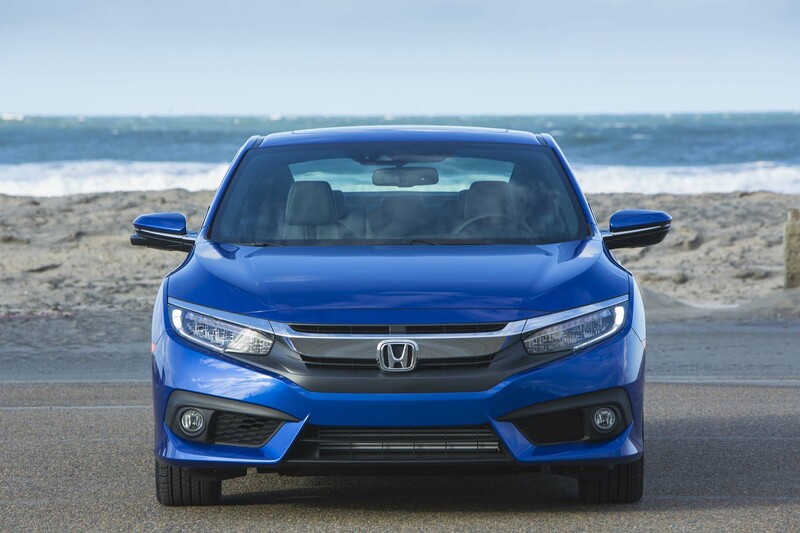 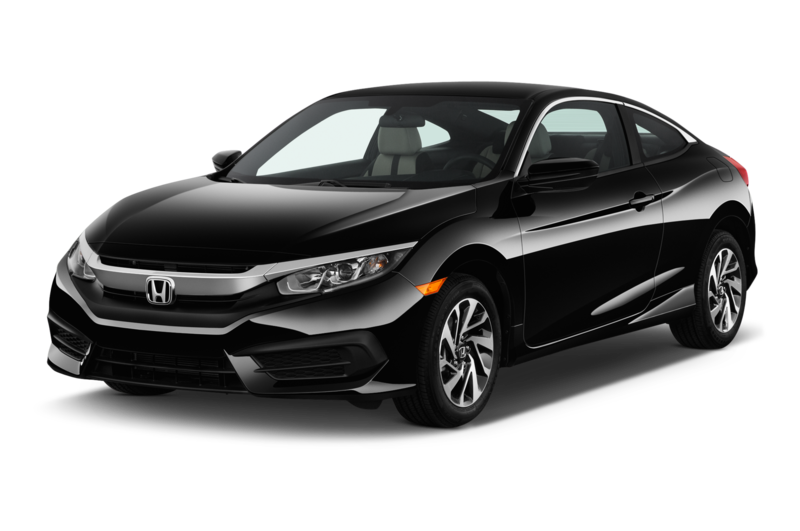 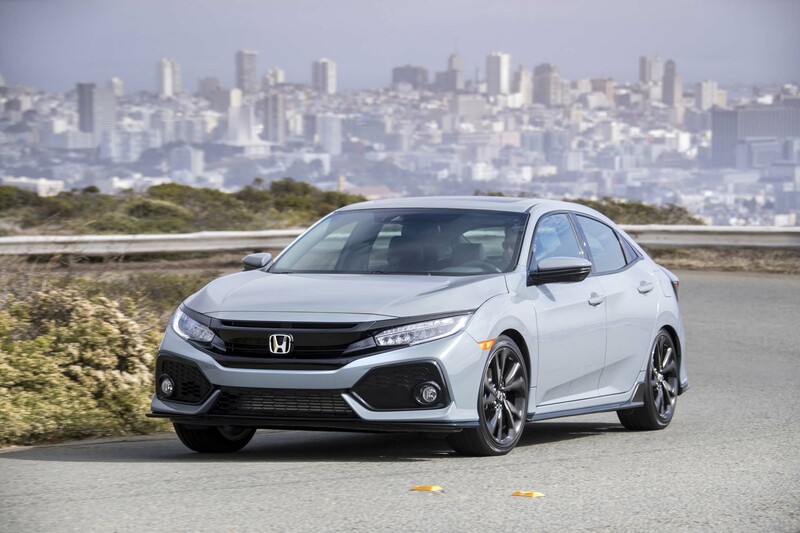 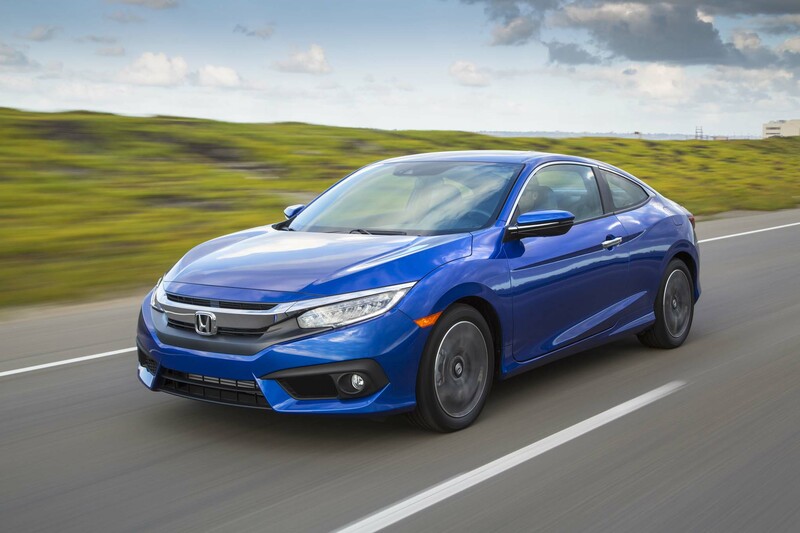 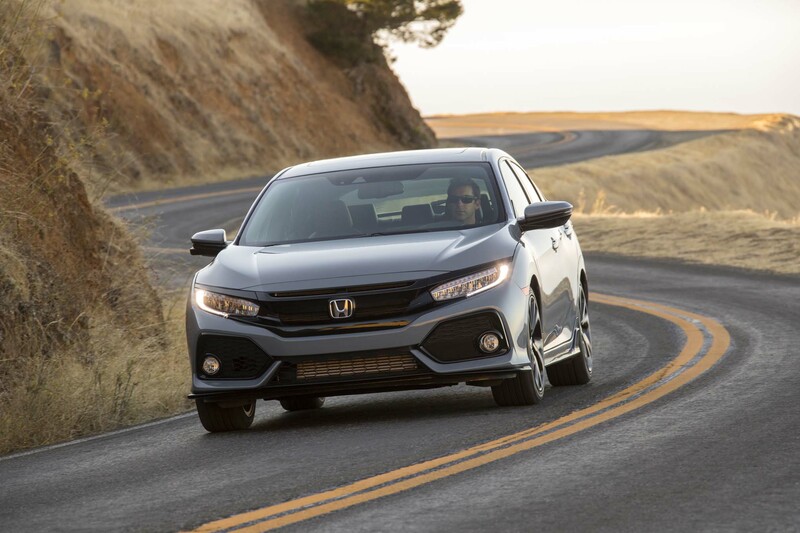 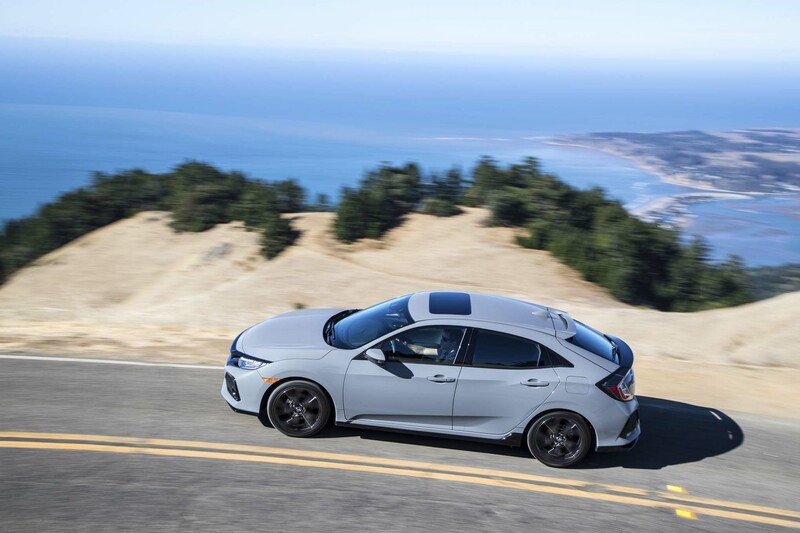 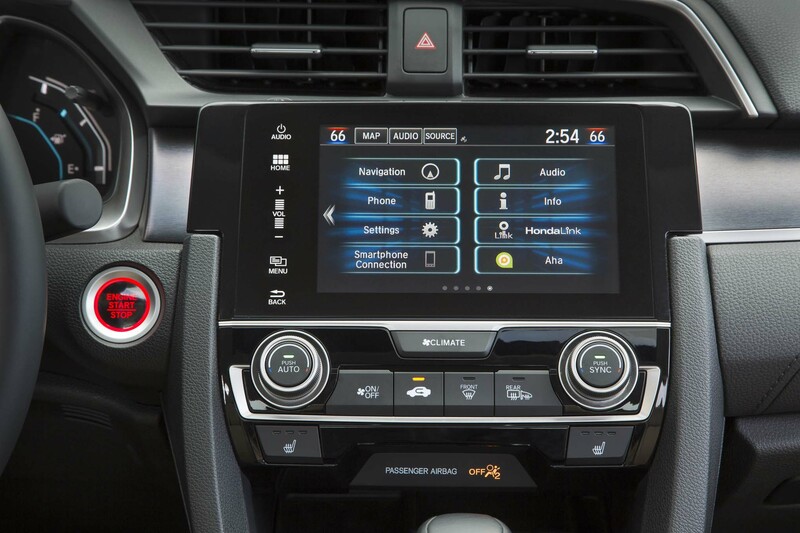 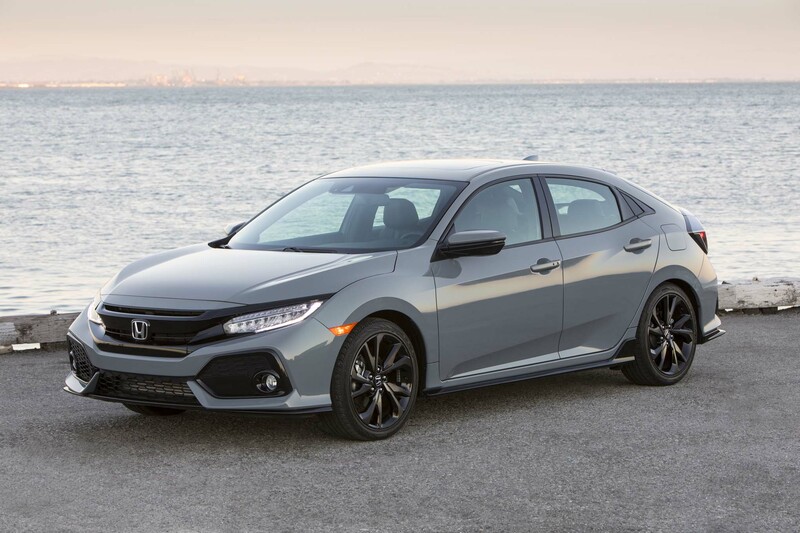 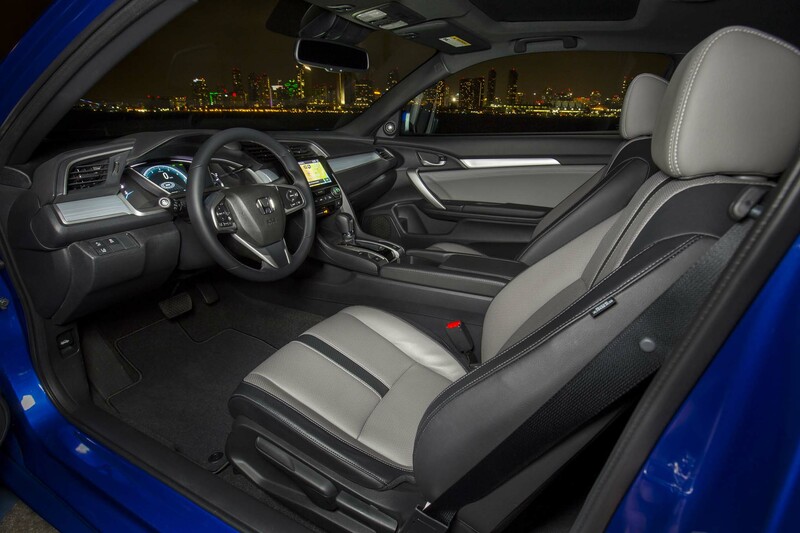 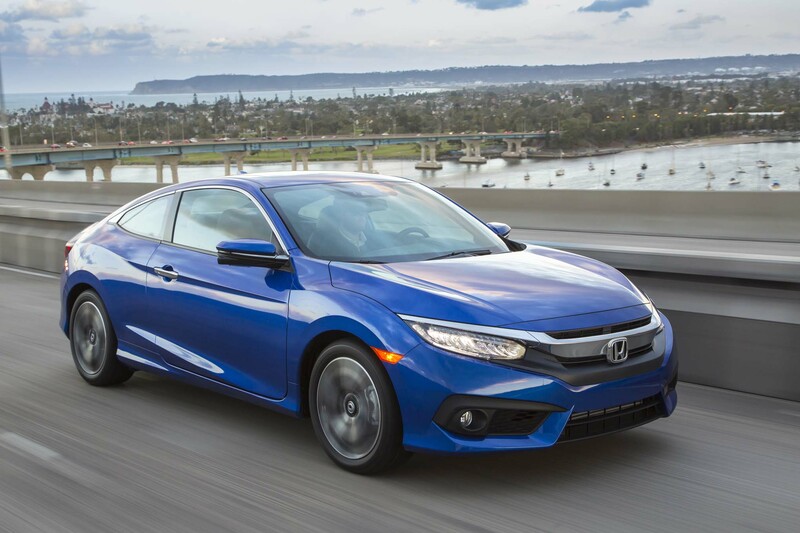 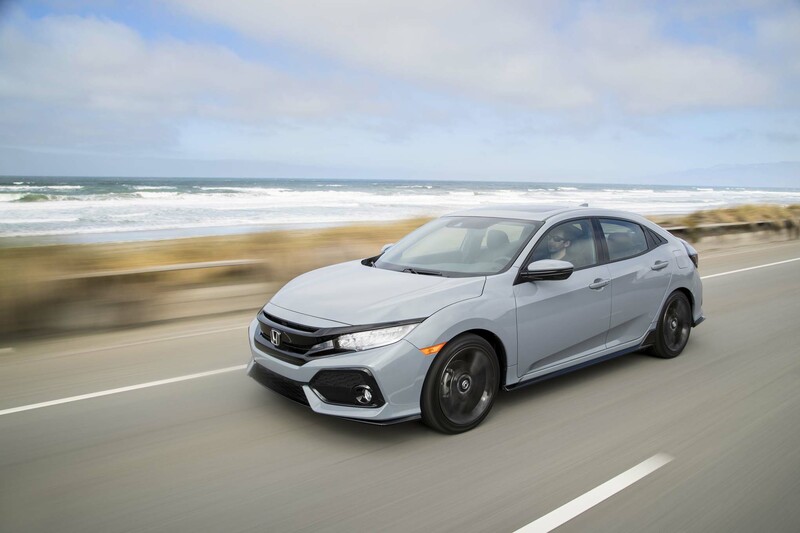 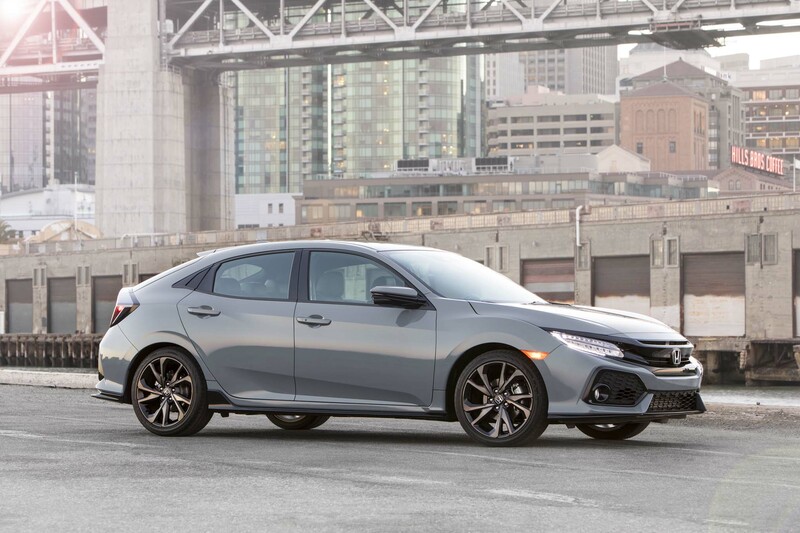 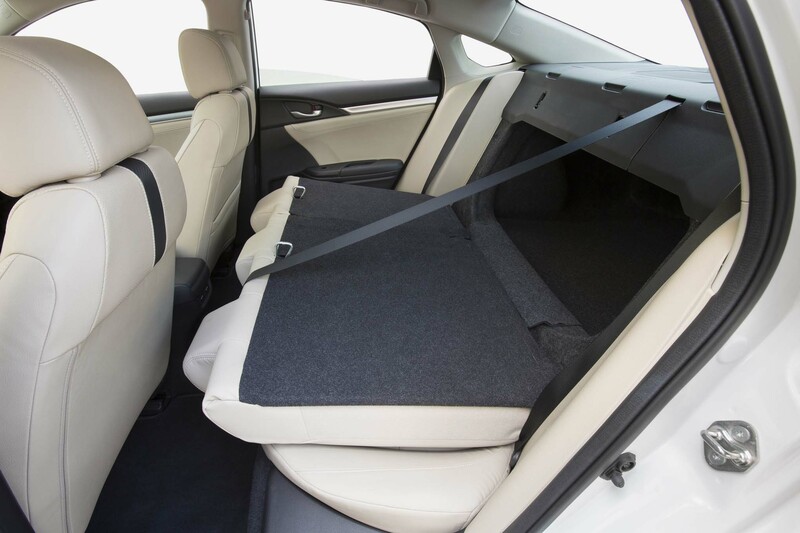 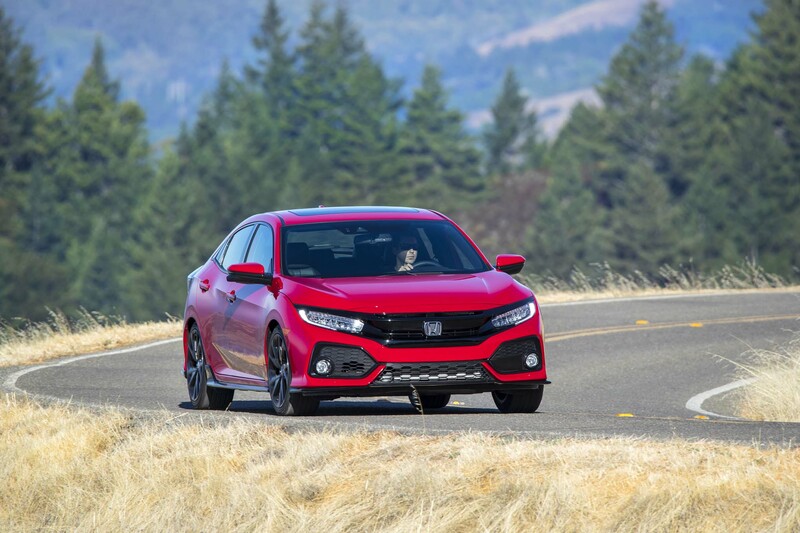 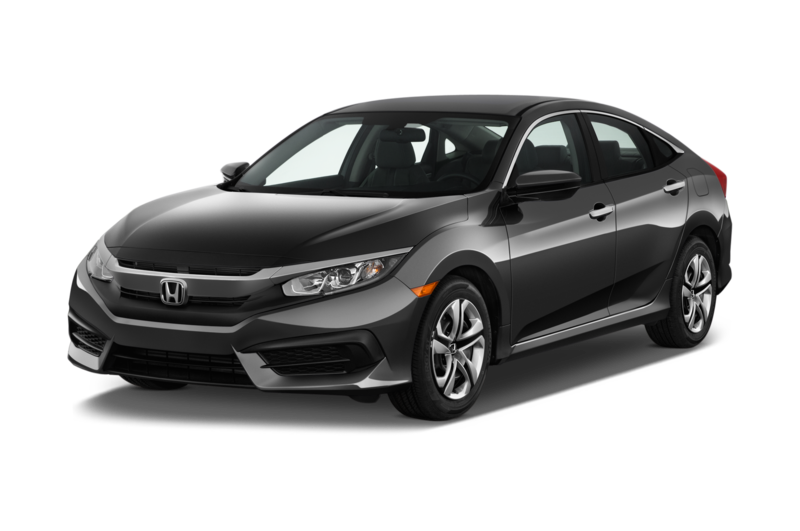 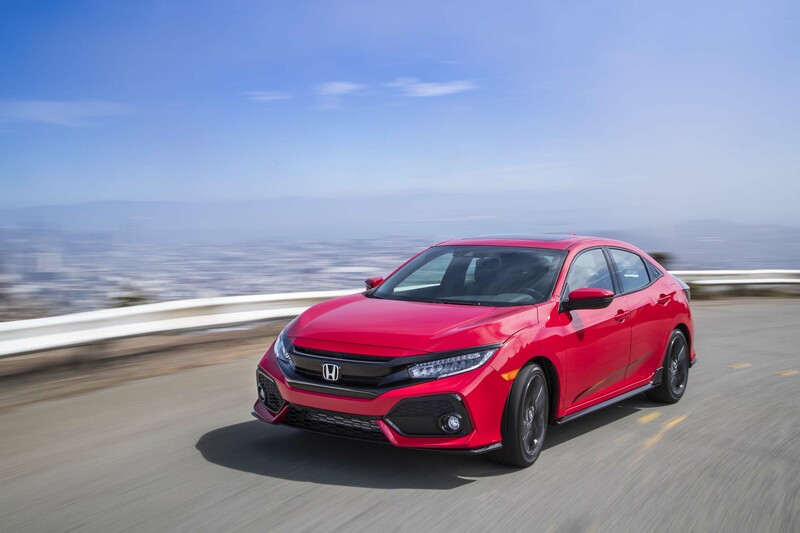 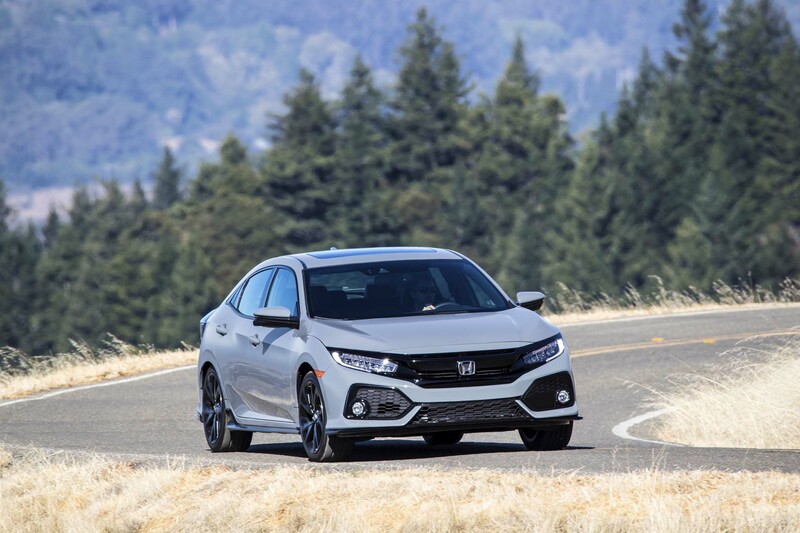 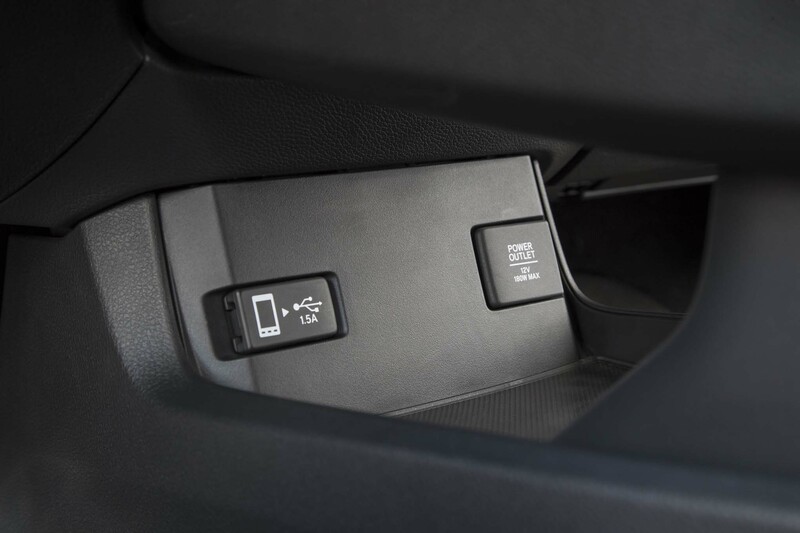 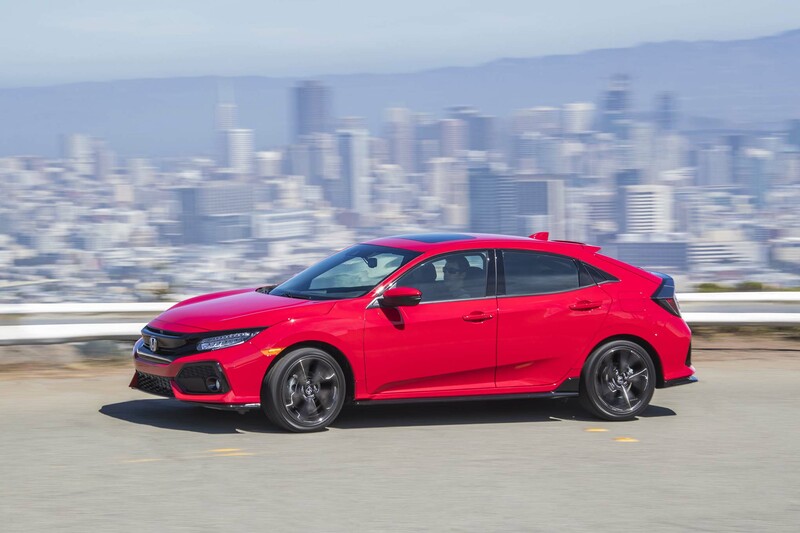 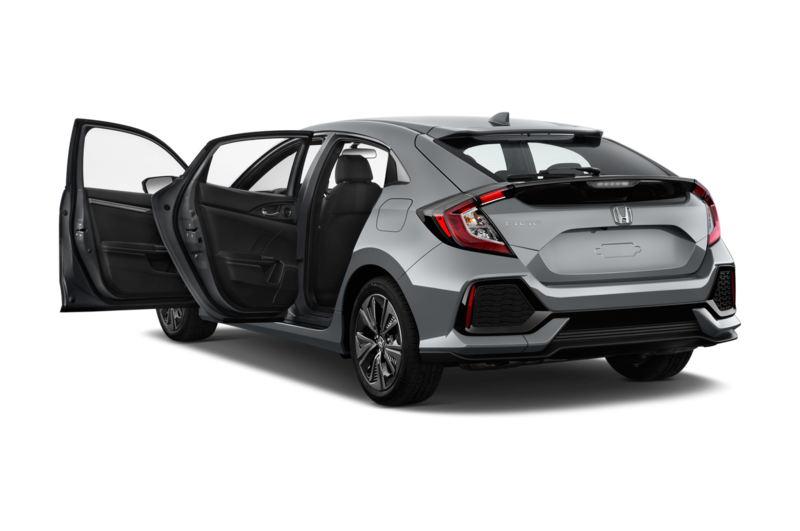 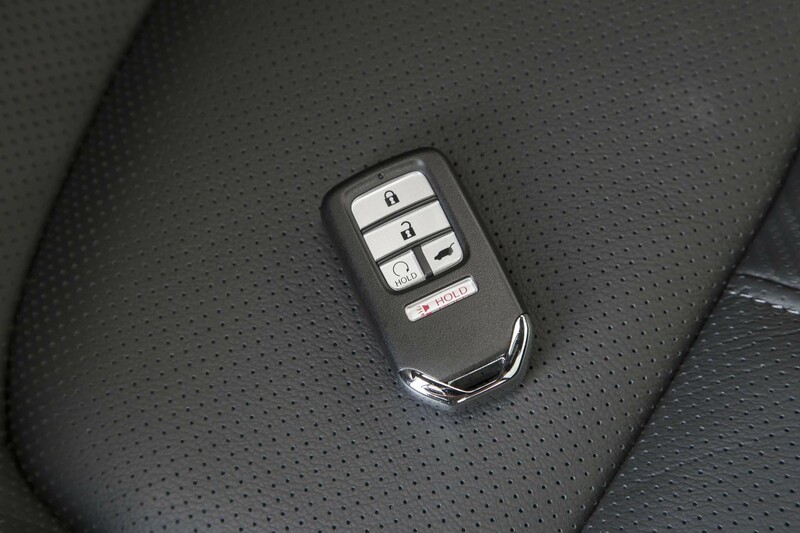 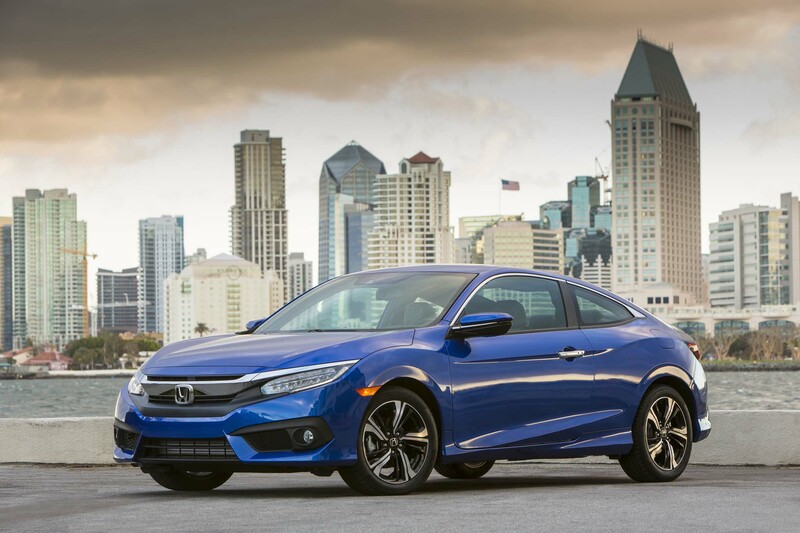 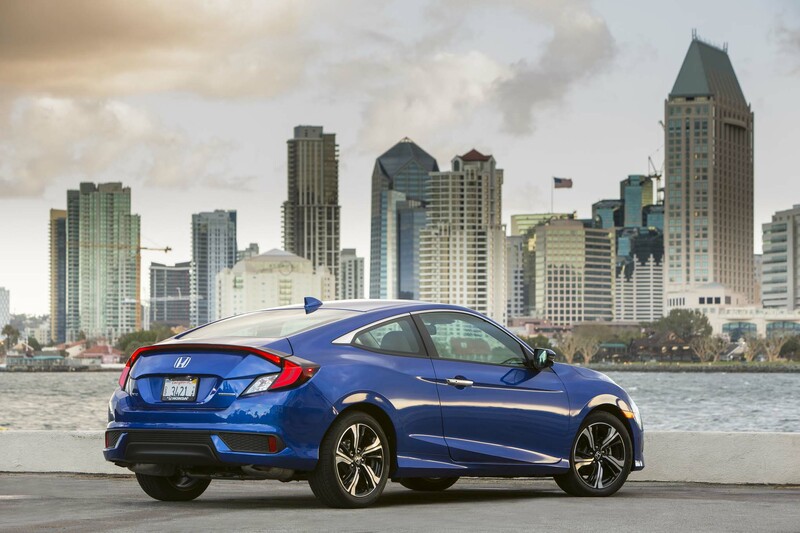 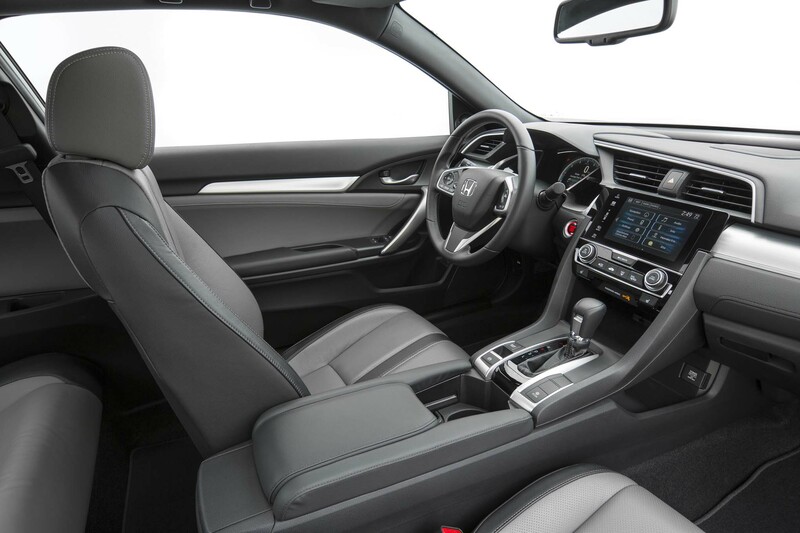 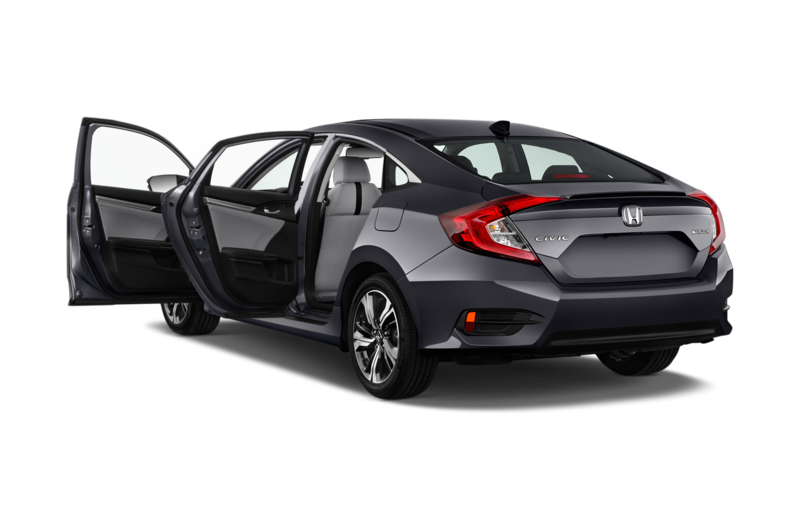 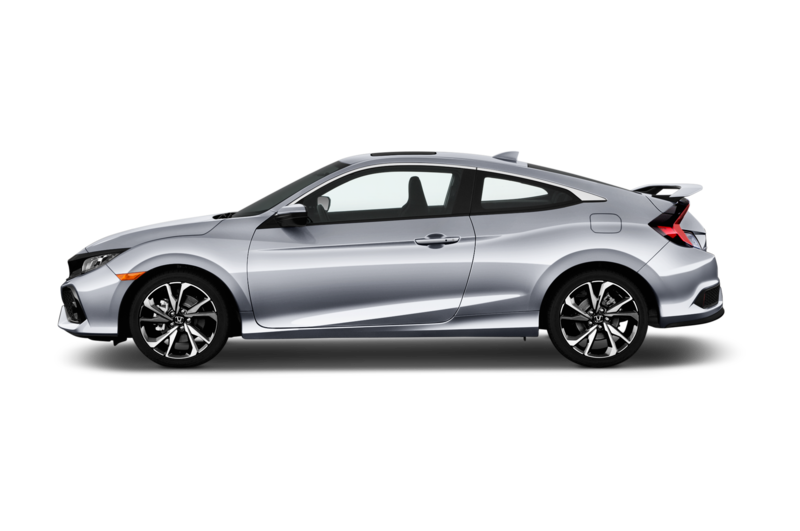 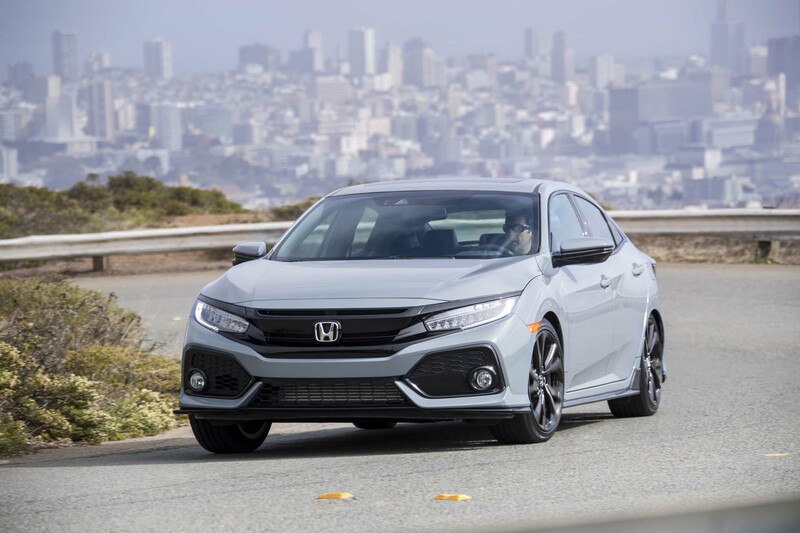 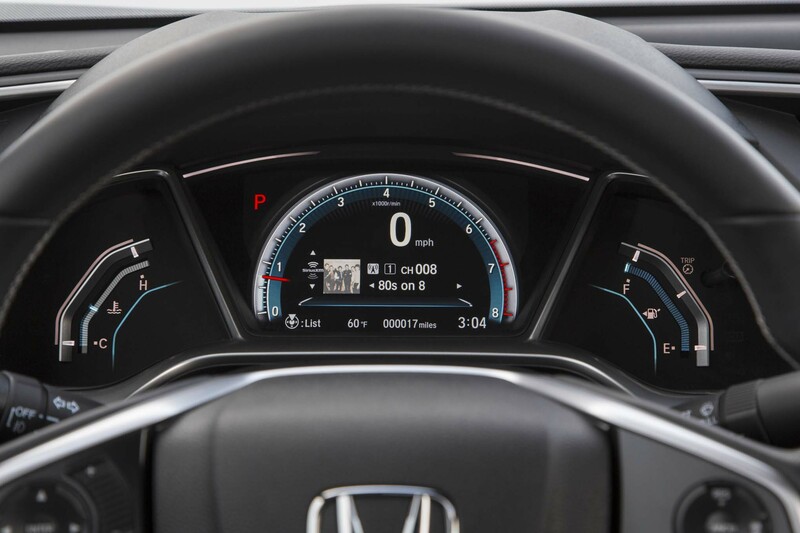 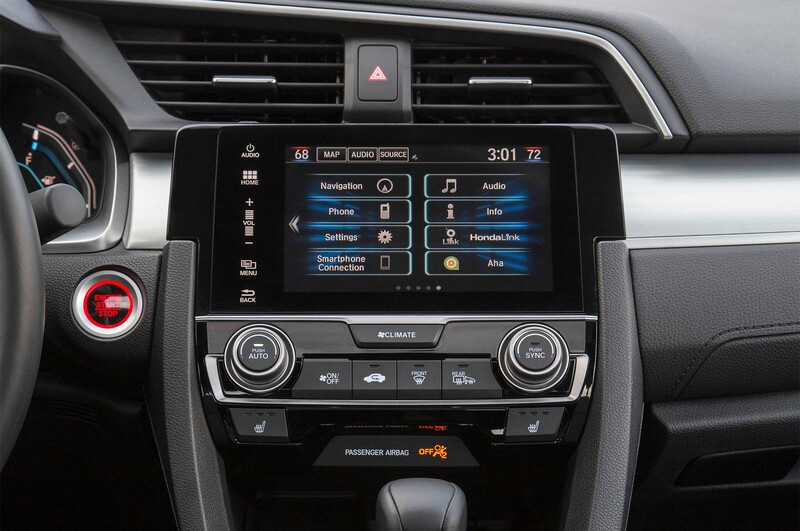 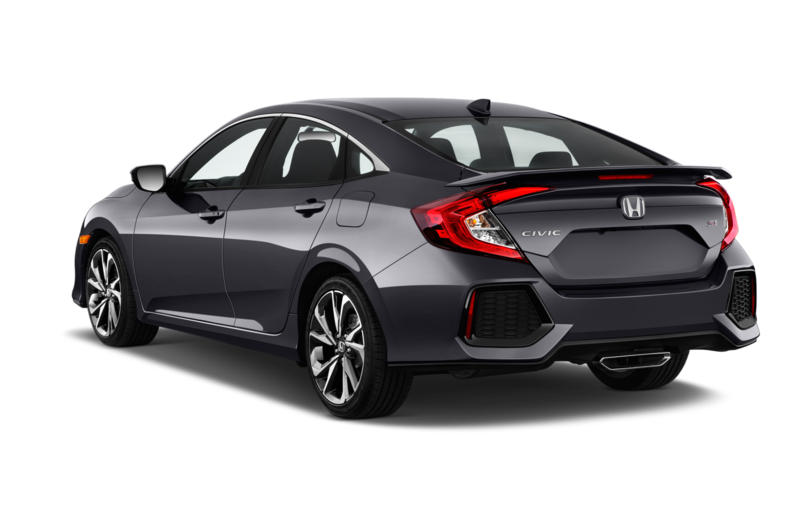 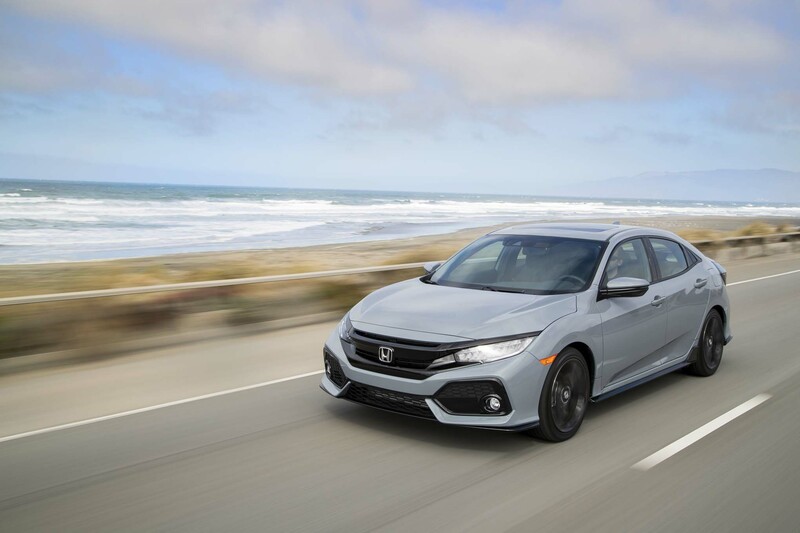 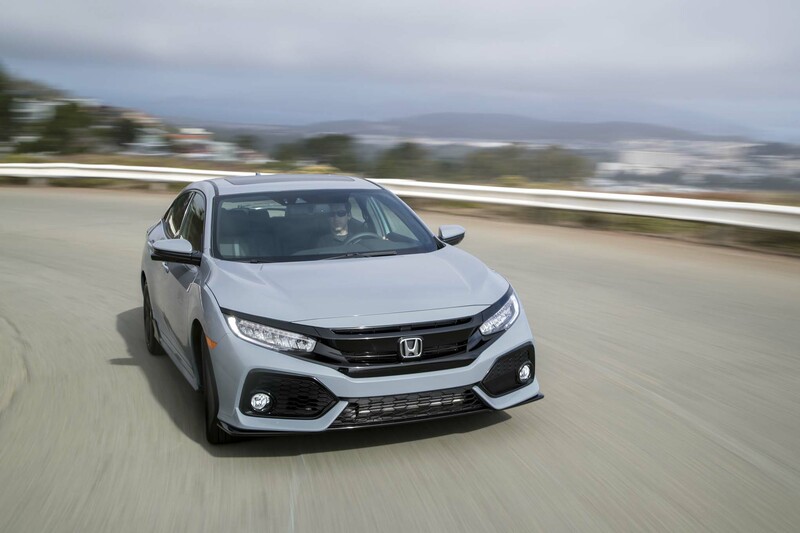 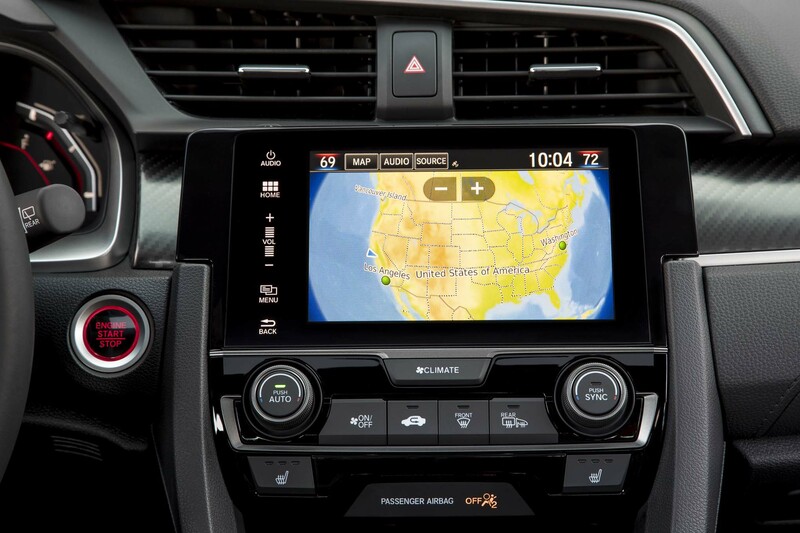 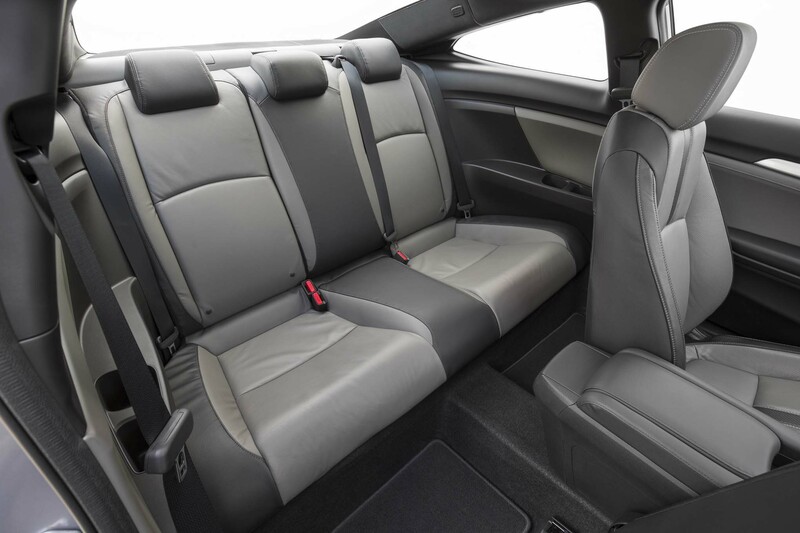 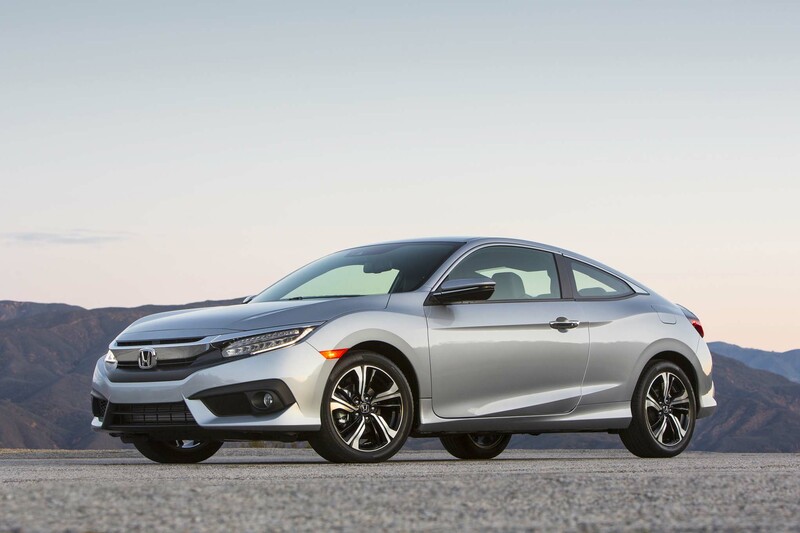 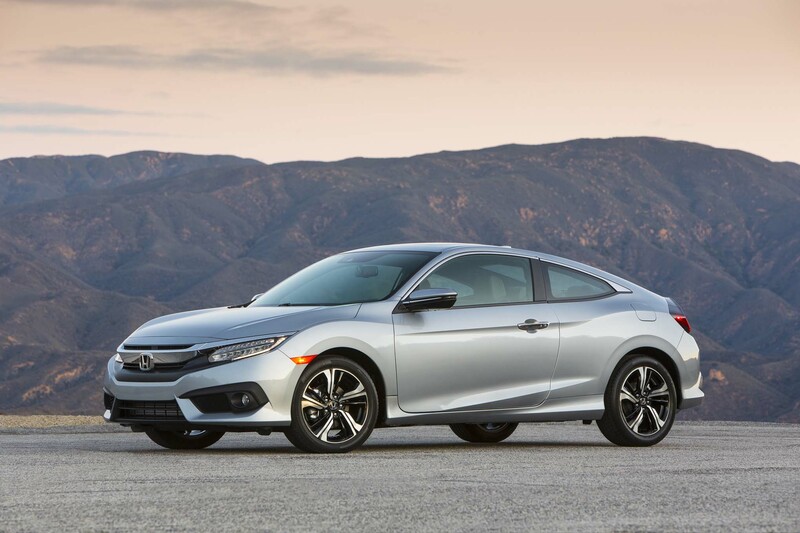 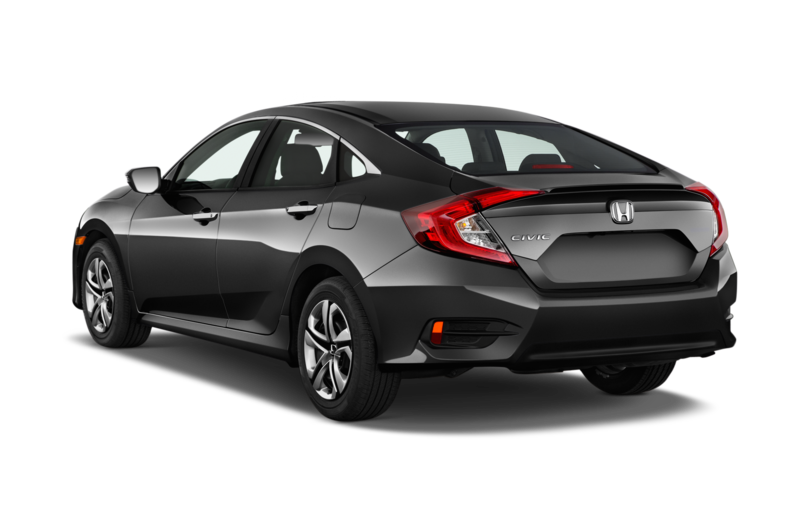 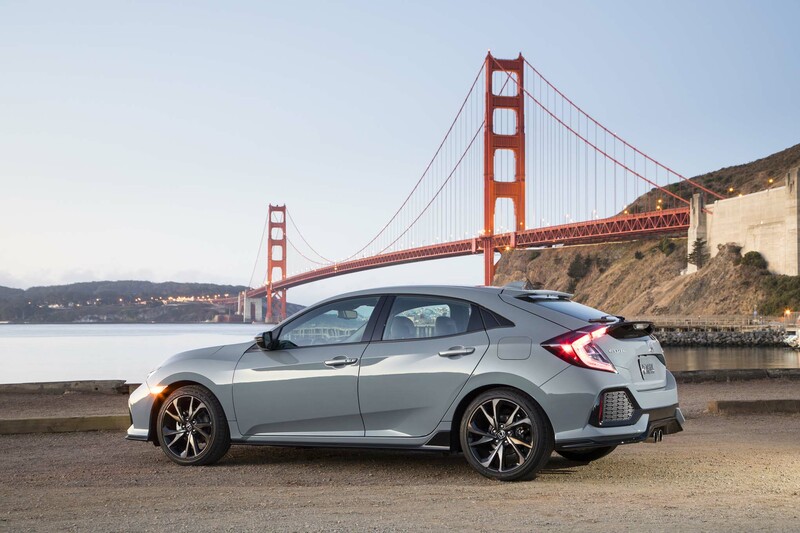 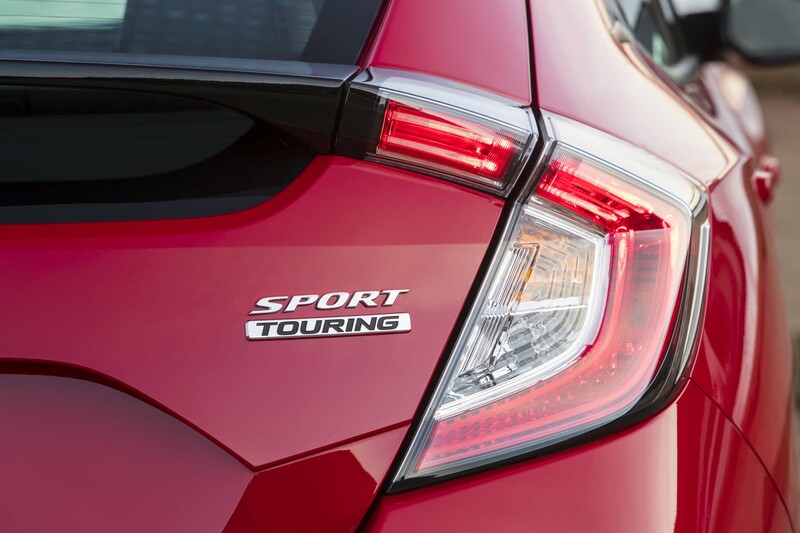 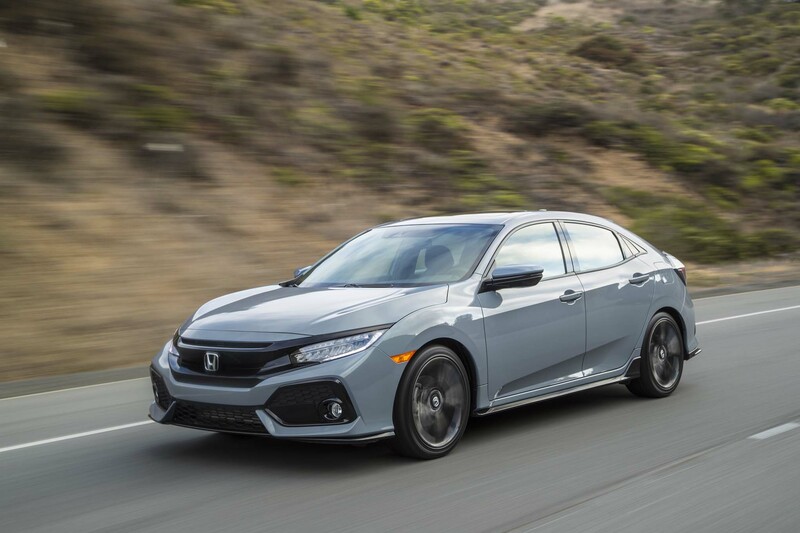 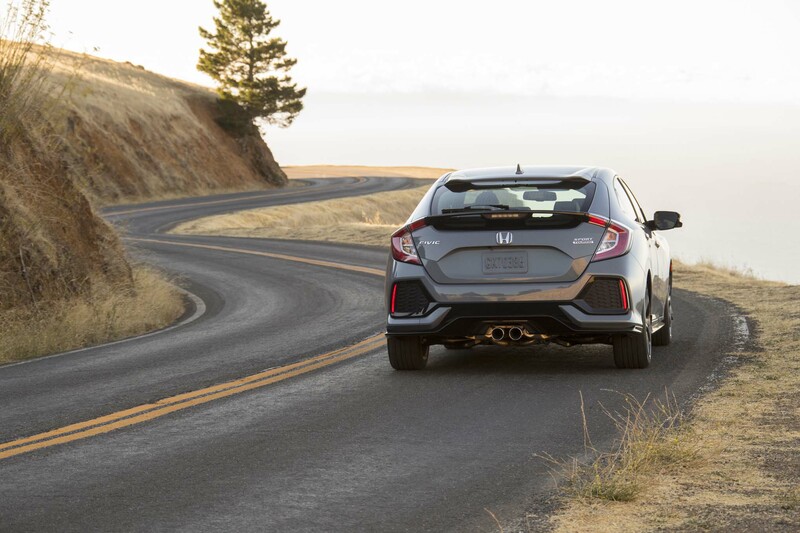 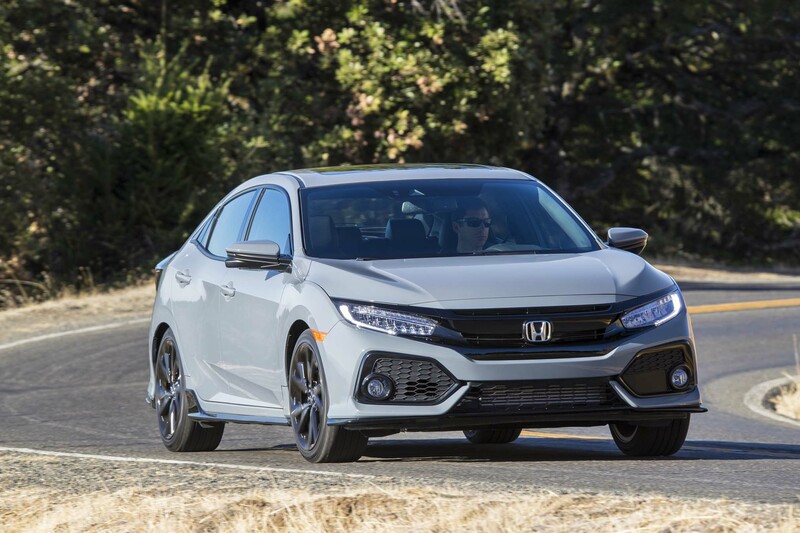 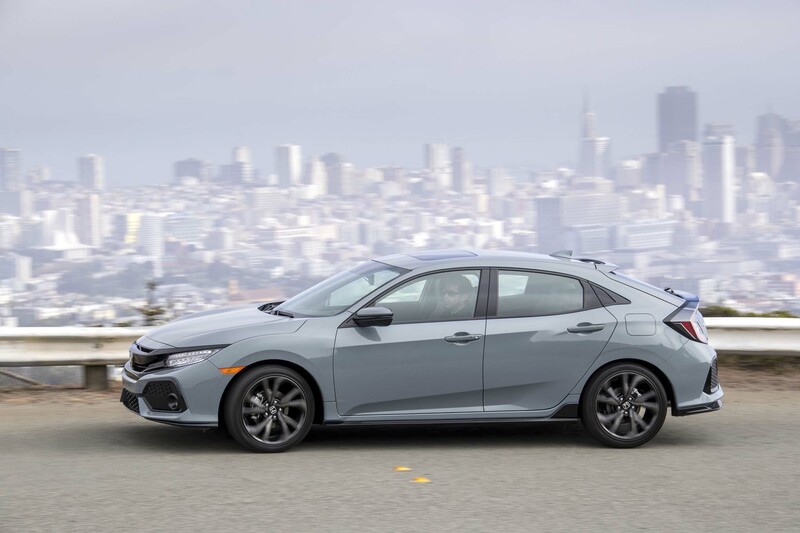 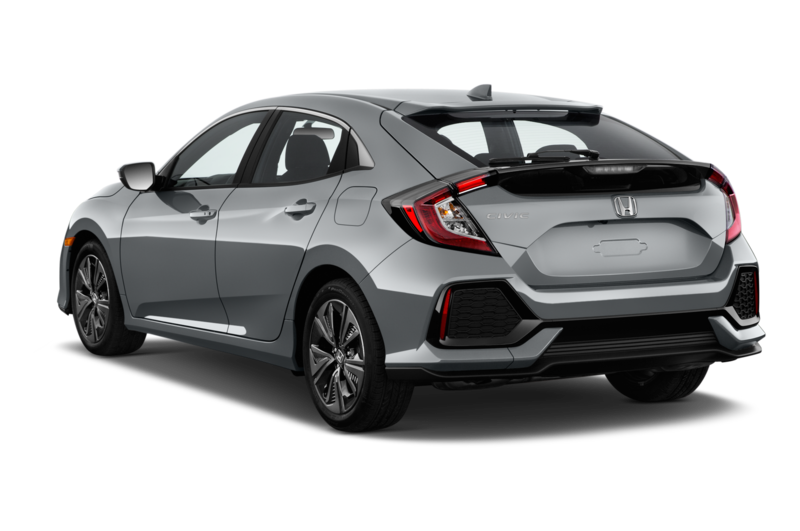 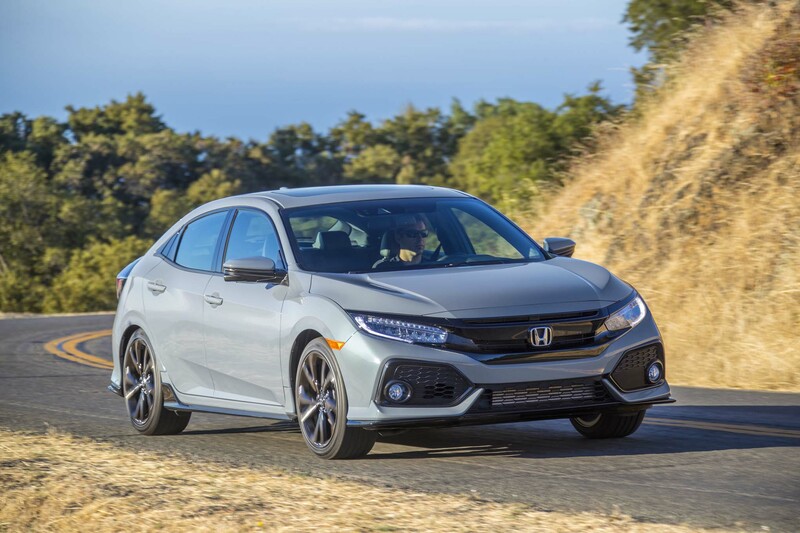 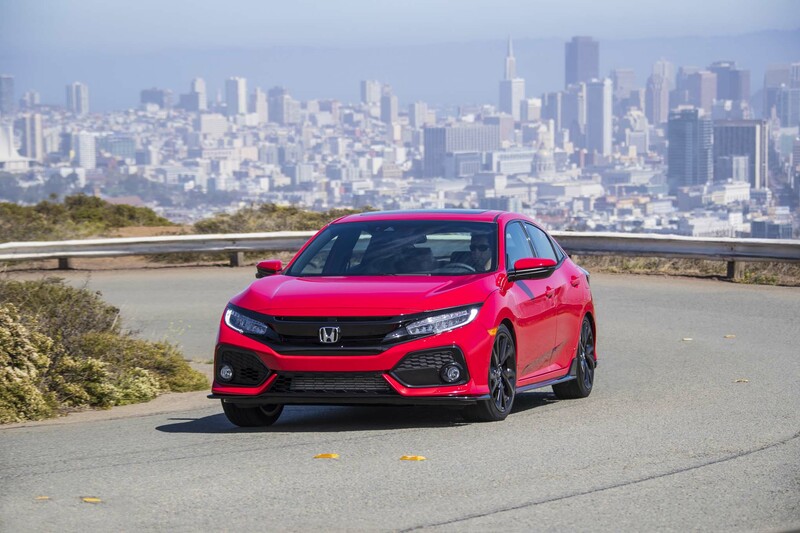 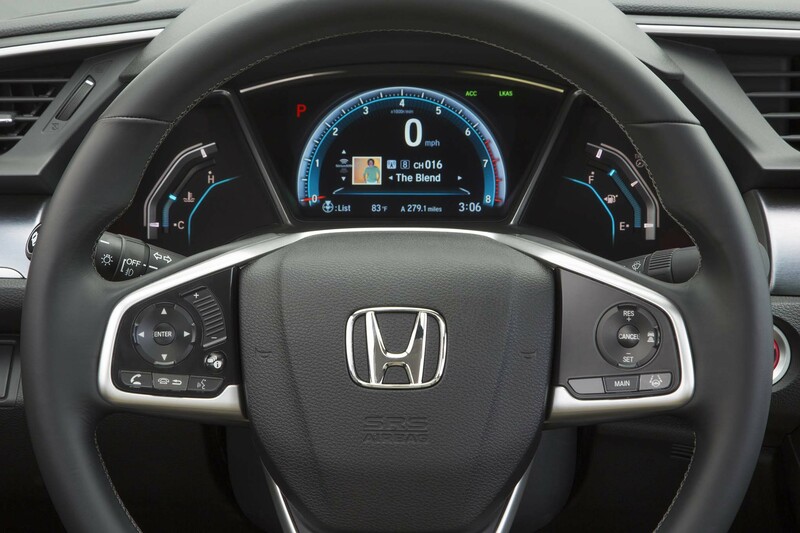 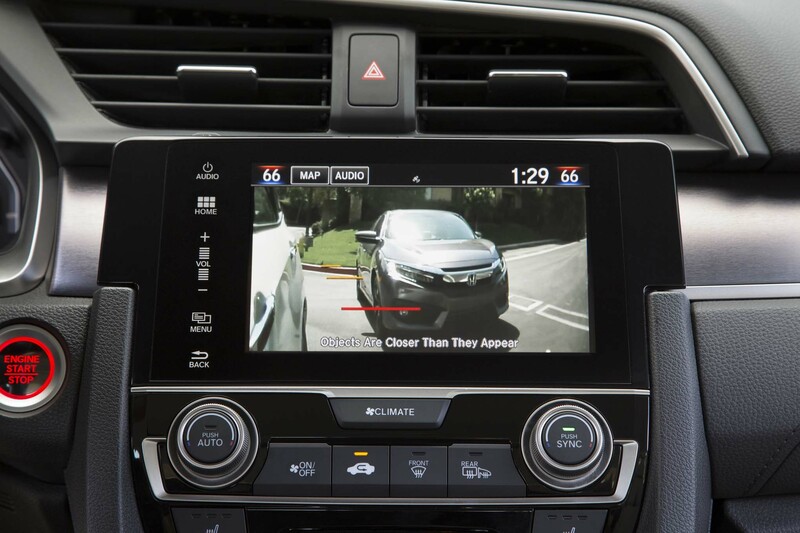 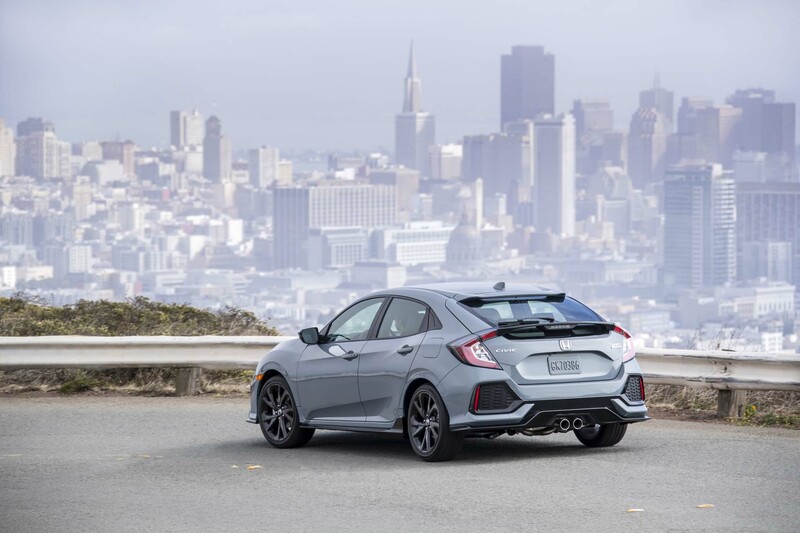 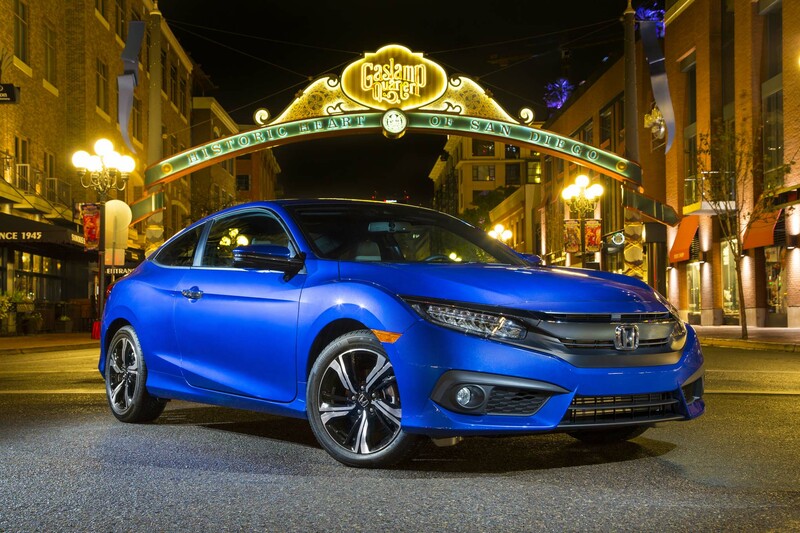 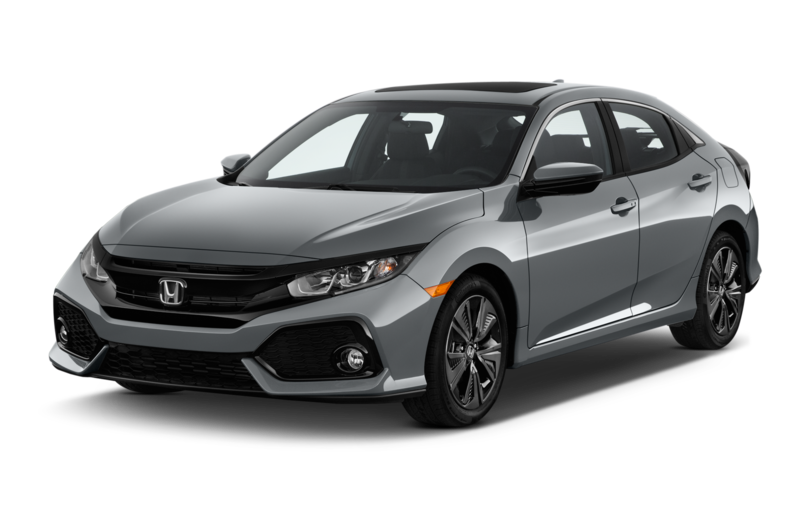 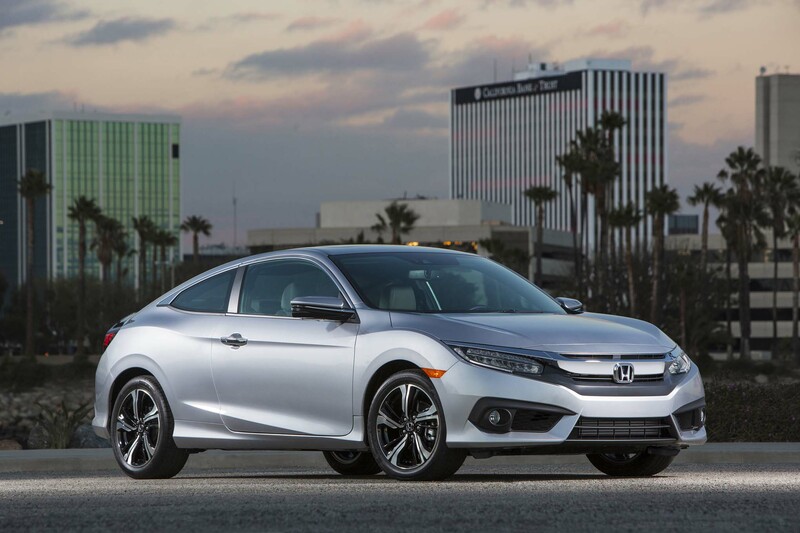 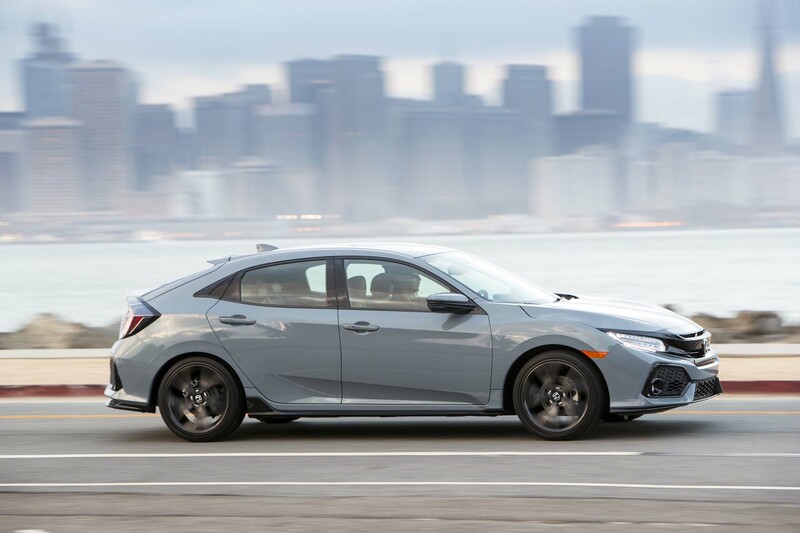 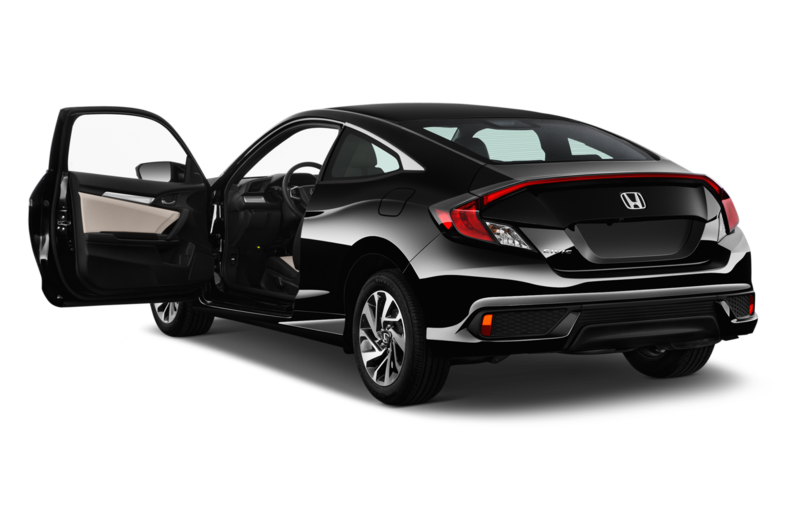 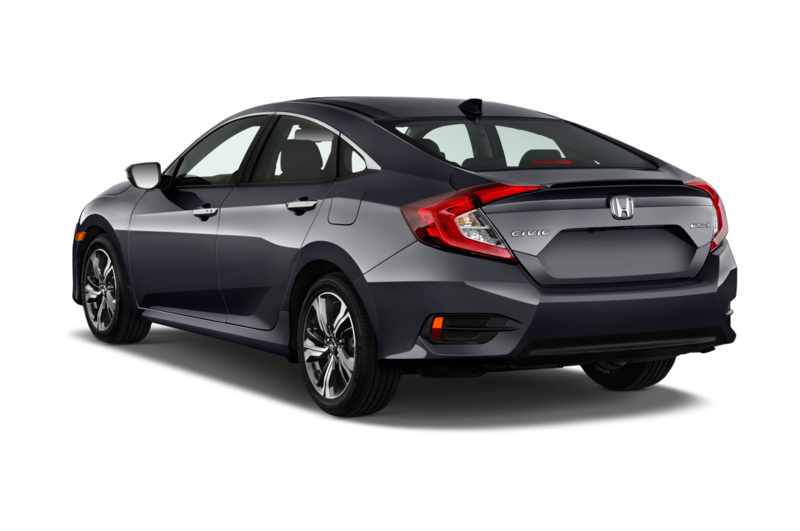 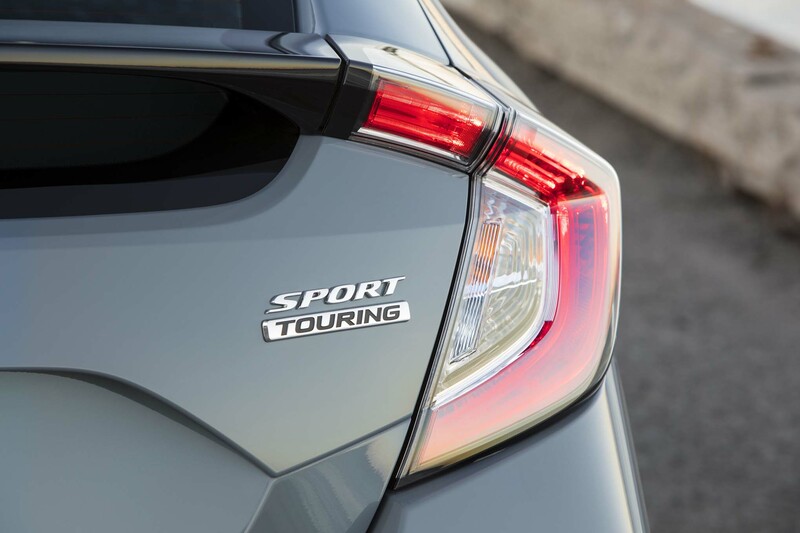 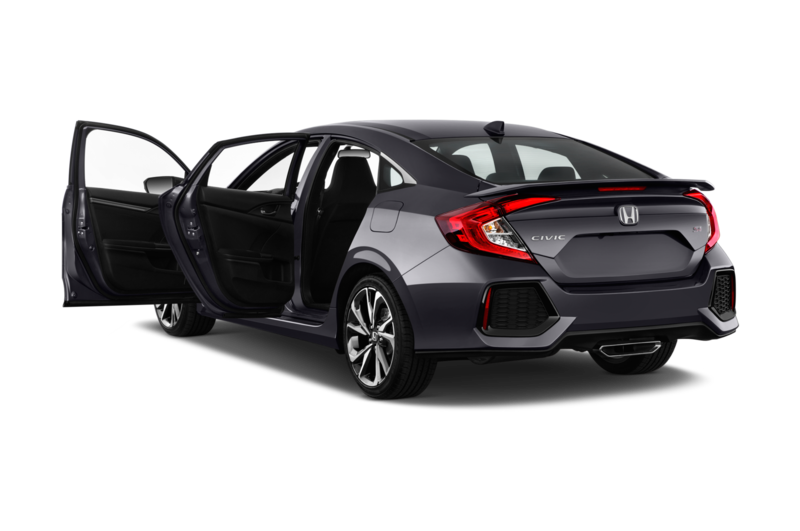 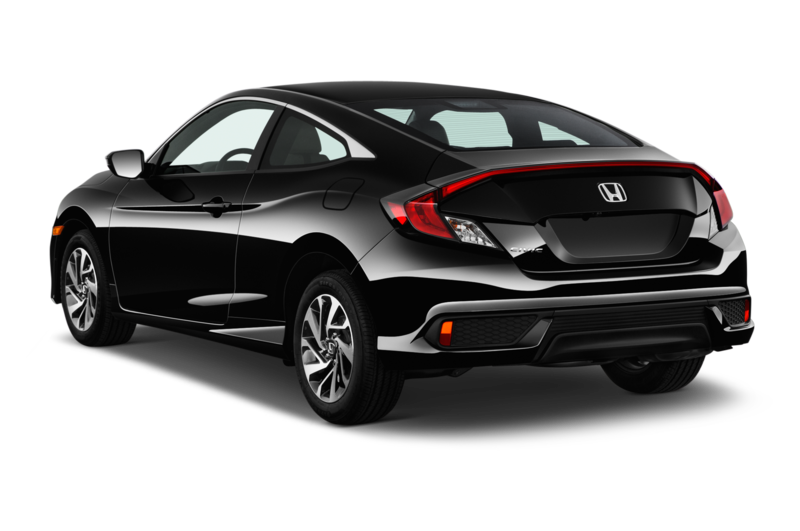 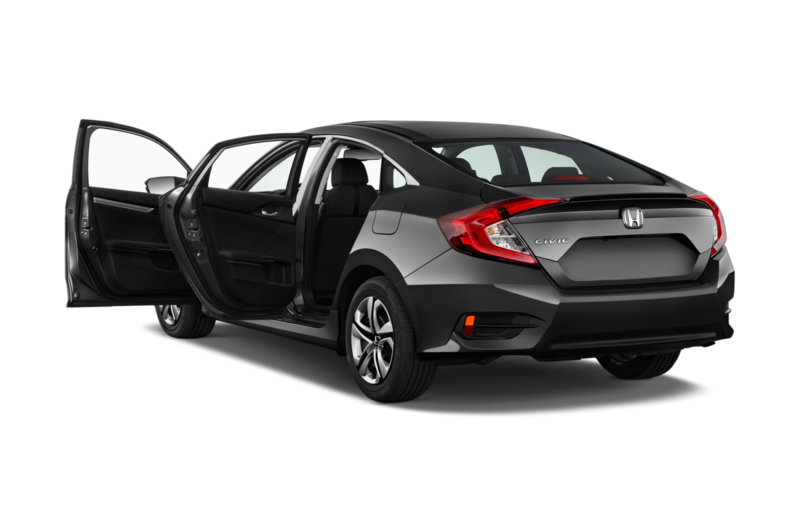 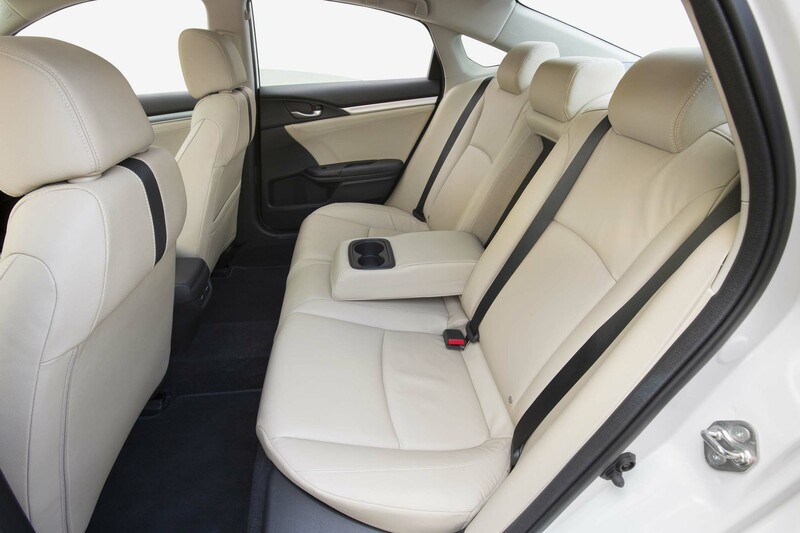 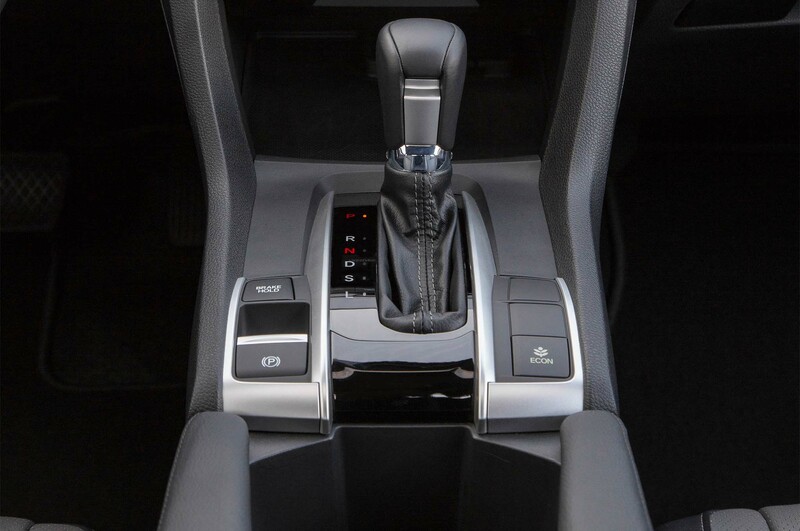 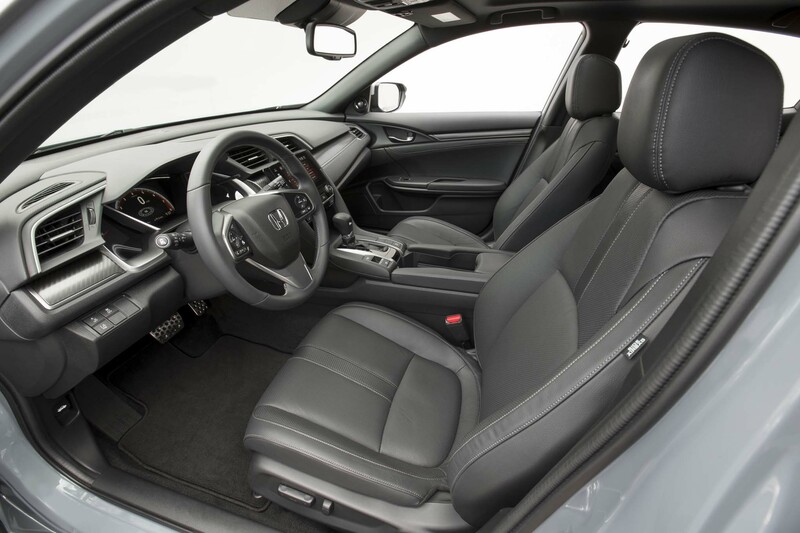 Honda is putting even more control in the hands of the driver, as Kakinuma explains the ins and outs of the three driving modes (comfort, sport, and track). 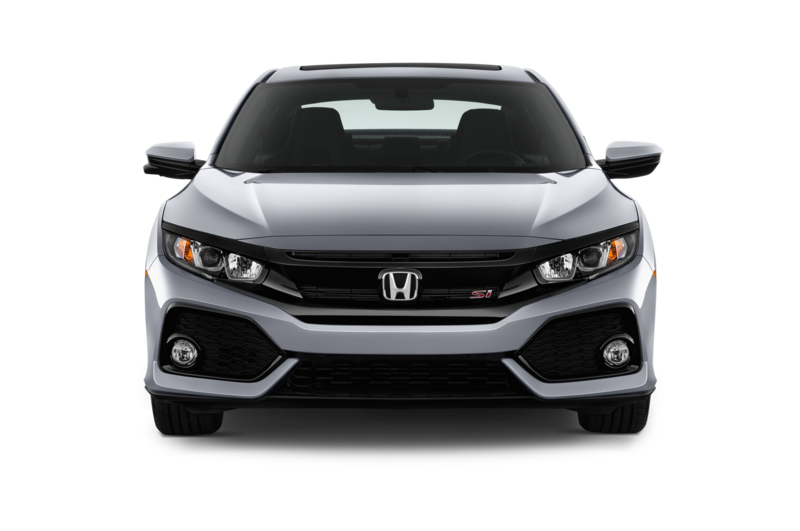 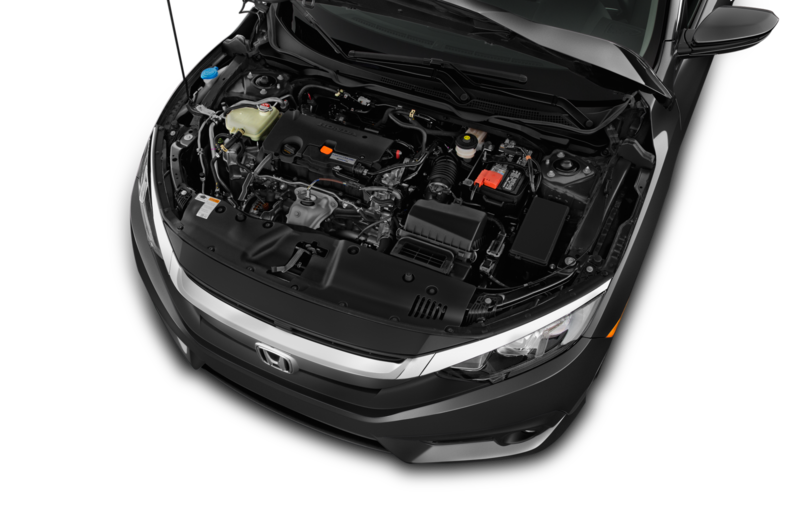 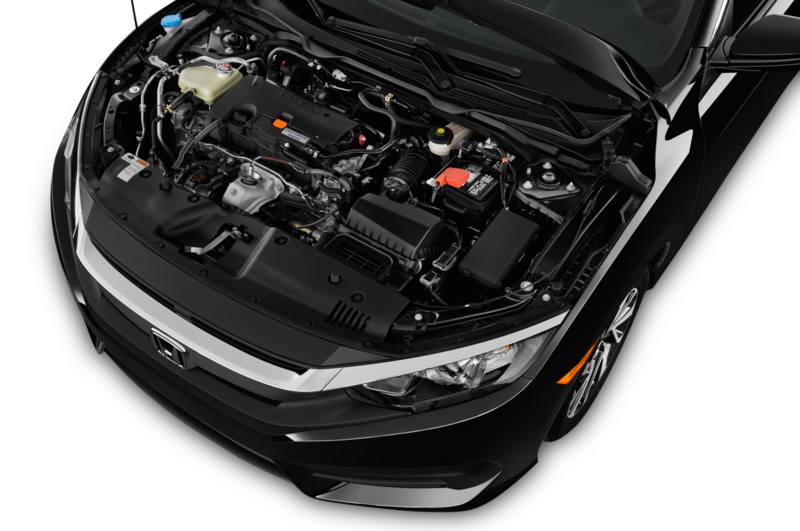 Damper settings, steering tune, stability control, traction control, and throttle response change depending on what mode you choose. 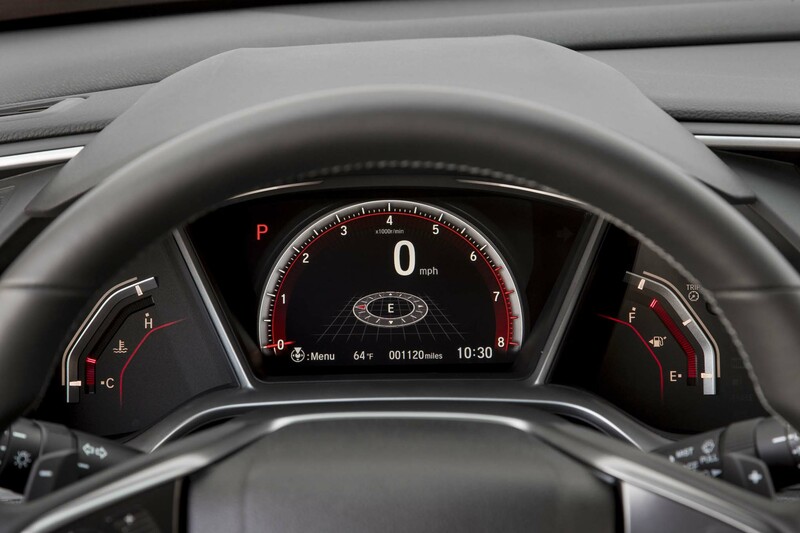 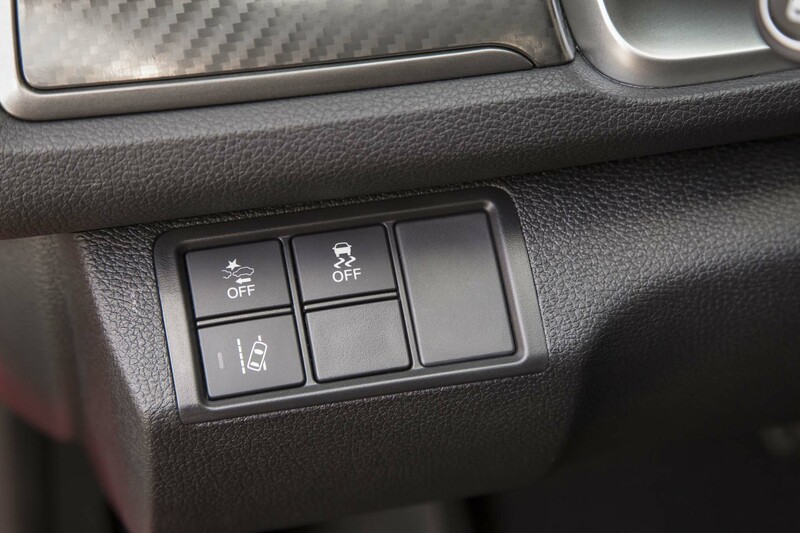 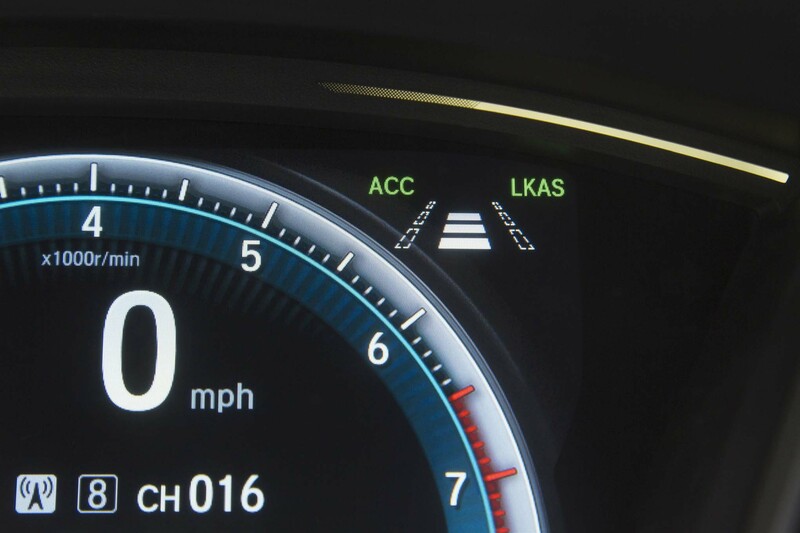 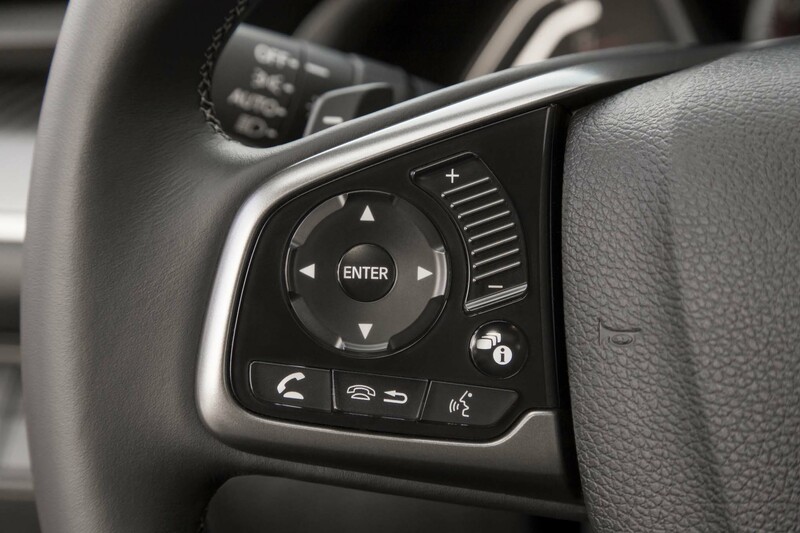 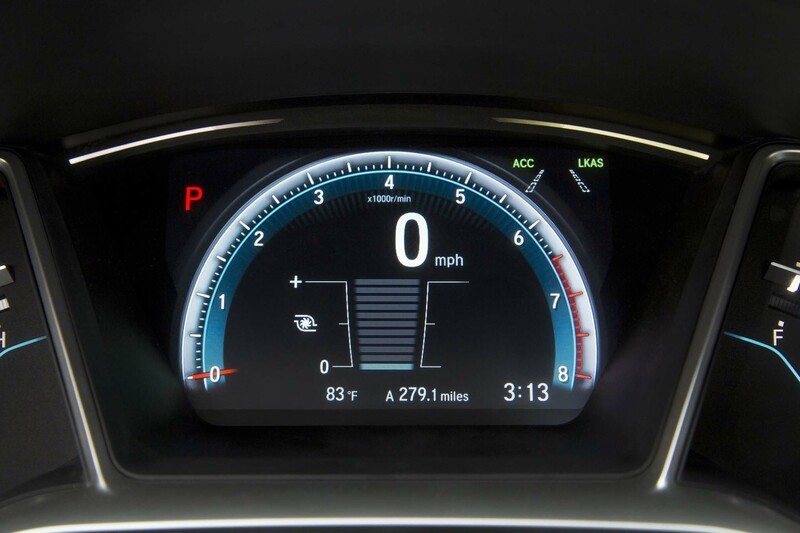 And in a stroke of great trust and generosity, track mode allows you to fully defeat stability control. 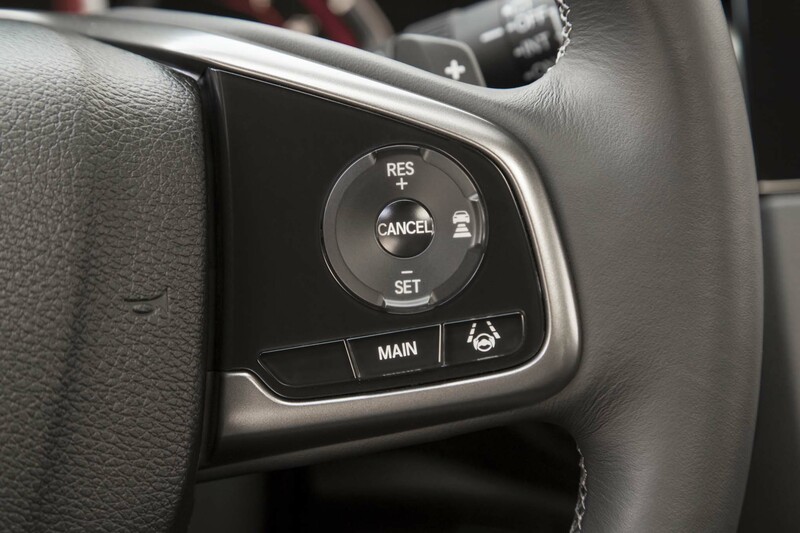 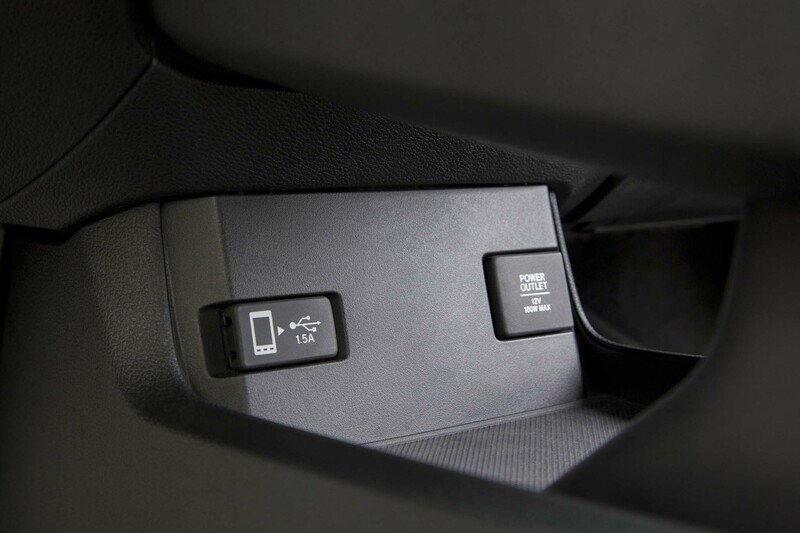 You can also opt to defeat the new rev-matching function if you dig into the infotainment settings, and it’ll even remember this preference the next time you turn the car on. 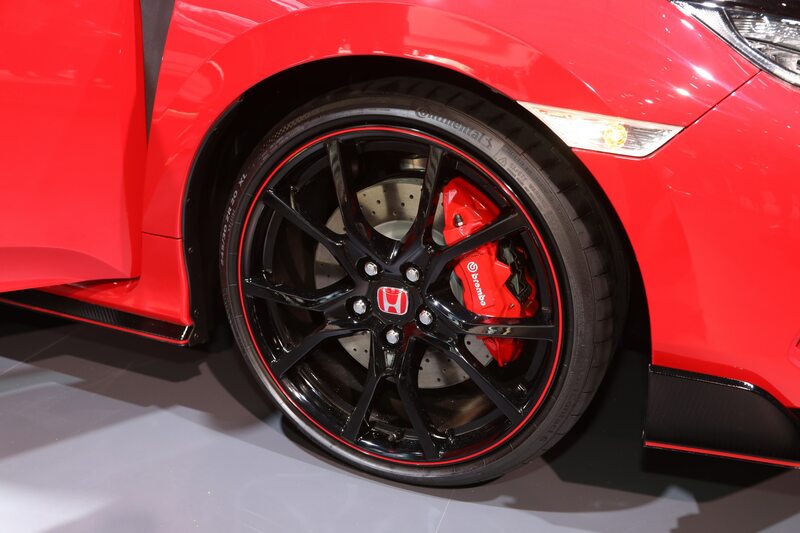 Handling promises to be outstanding, owing to a few things. 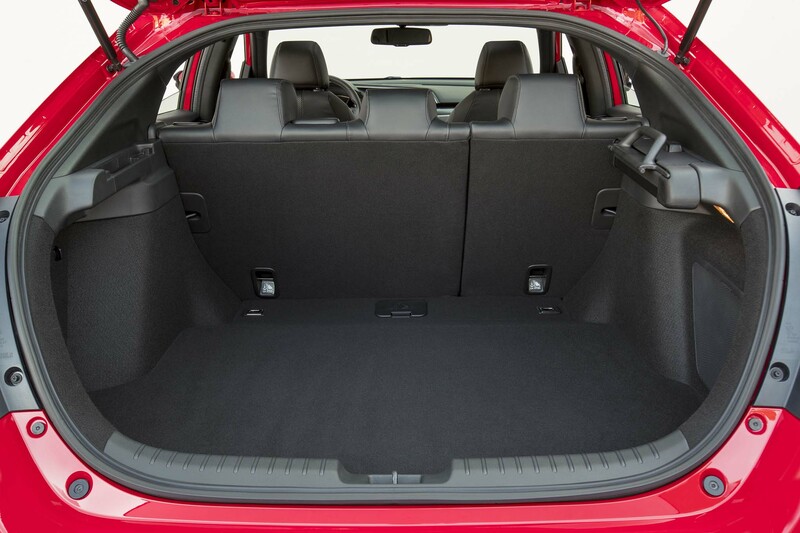 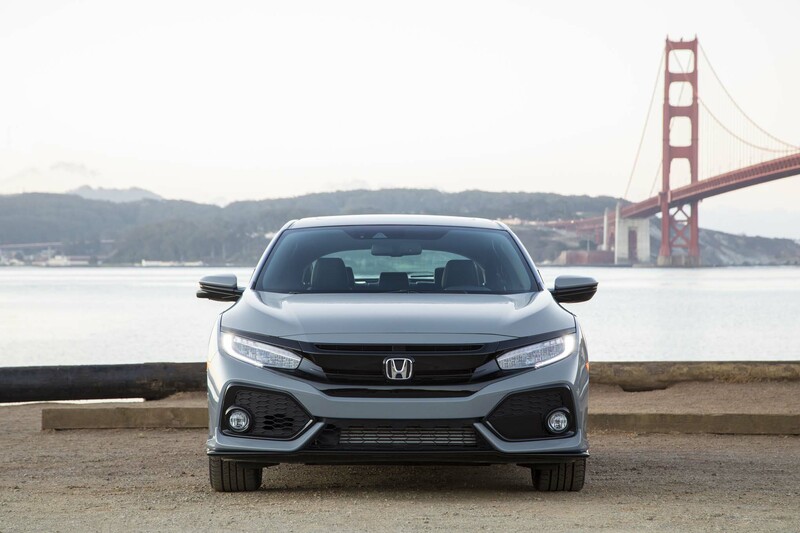 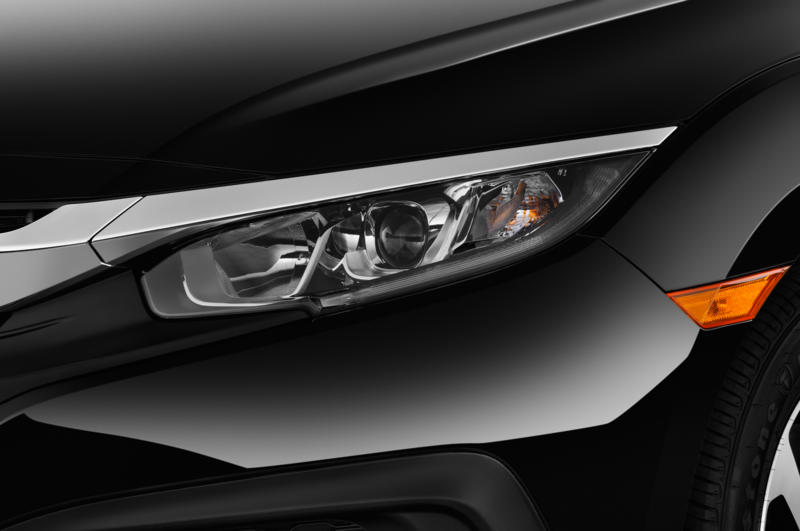 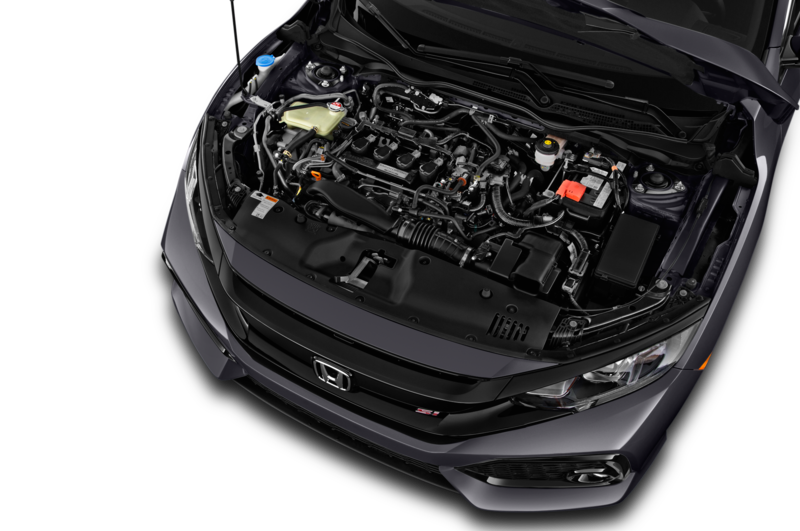 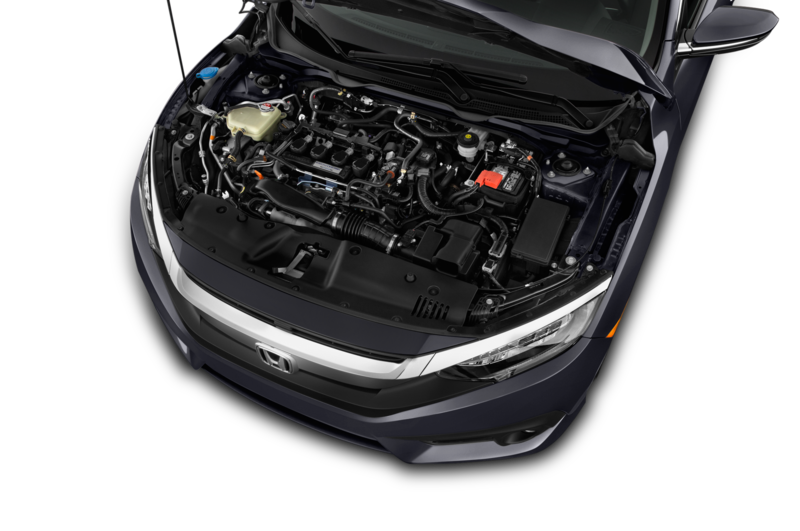 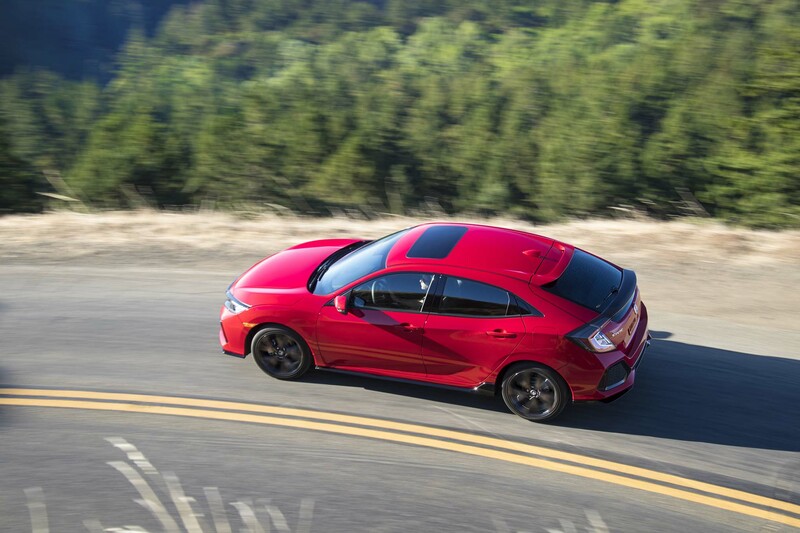 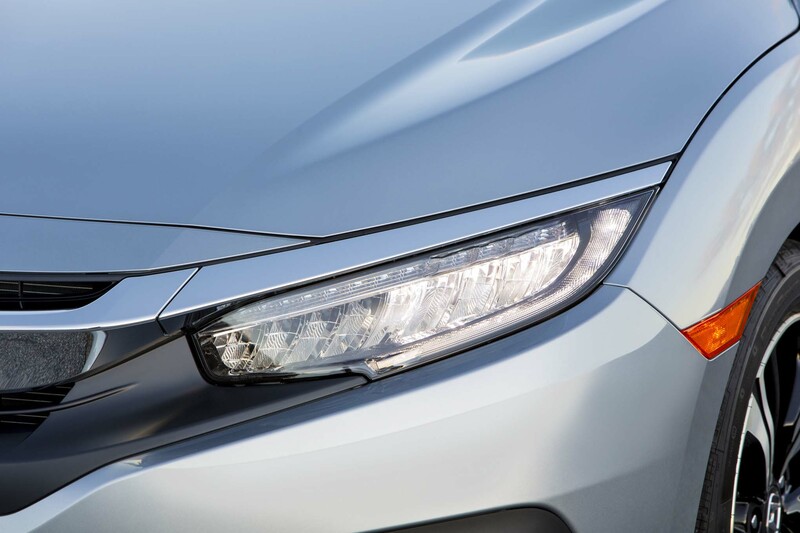 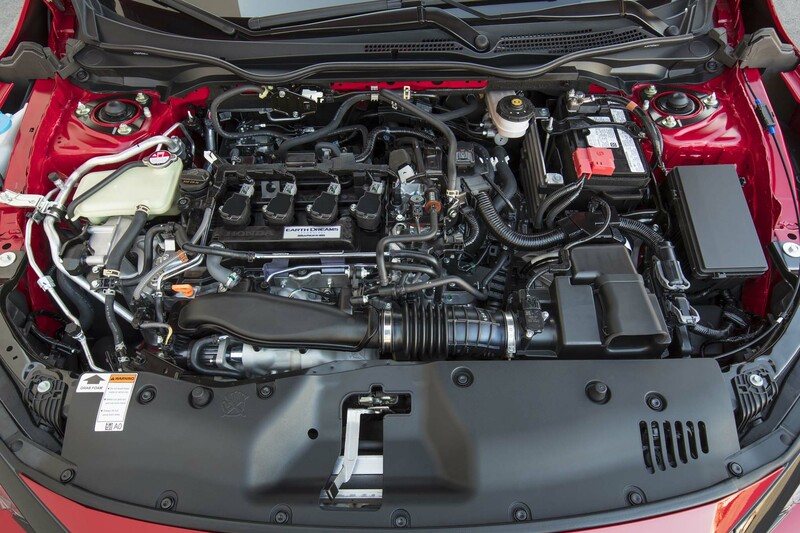 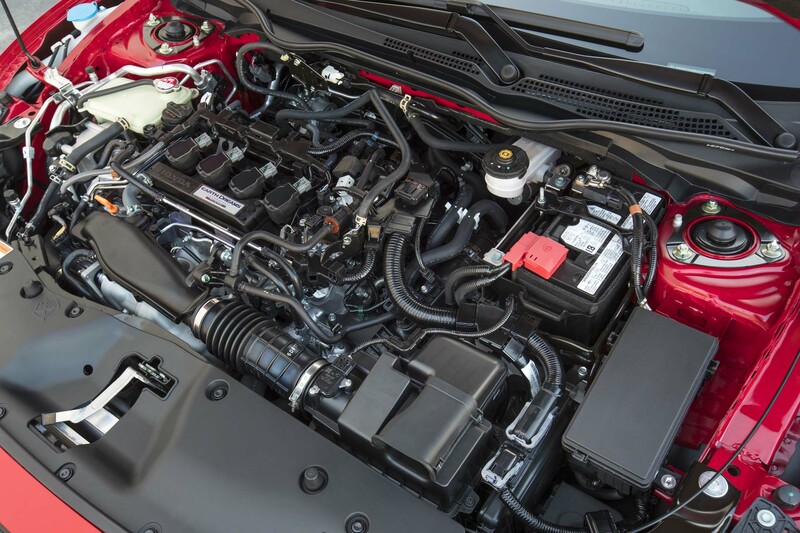 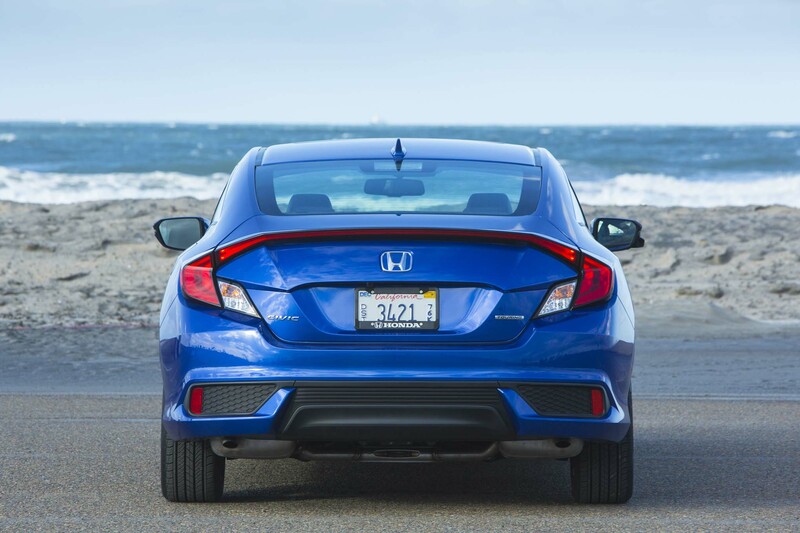 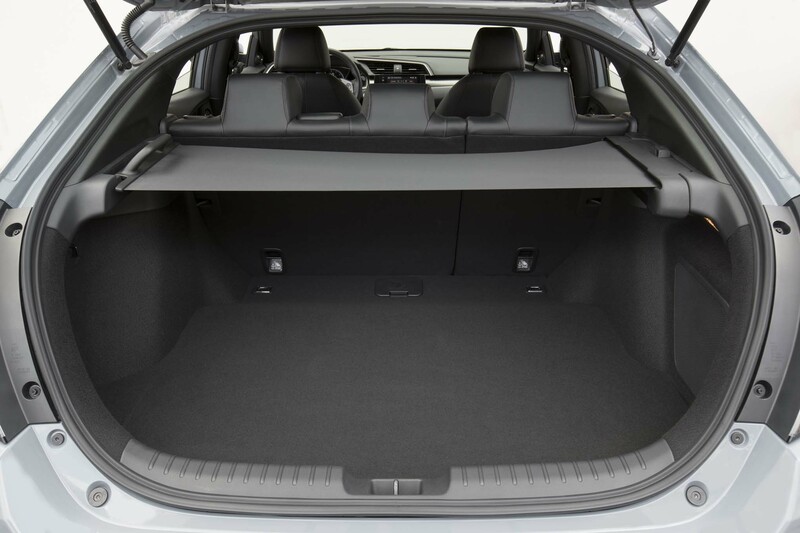 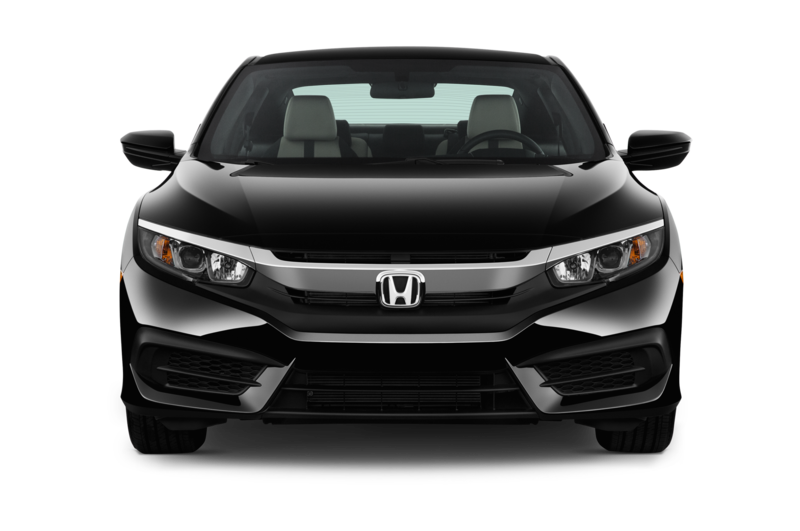 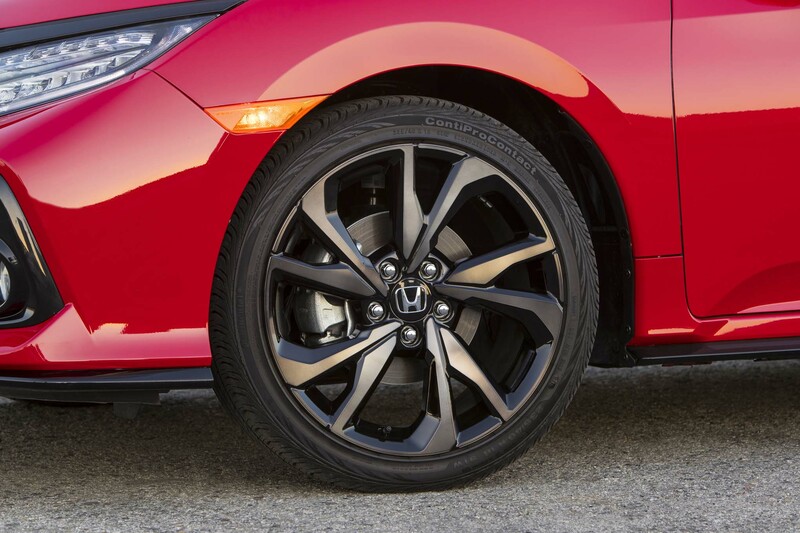 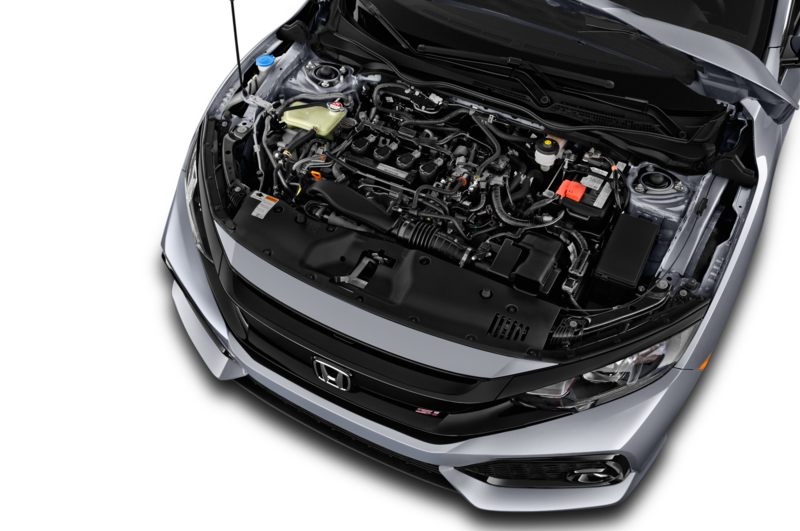 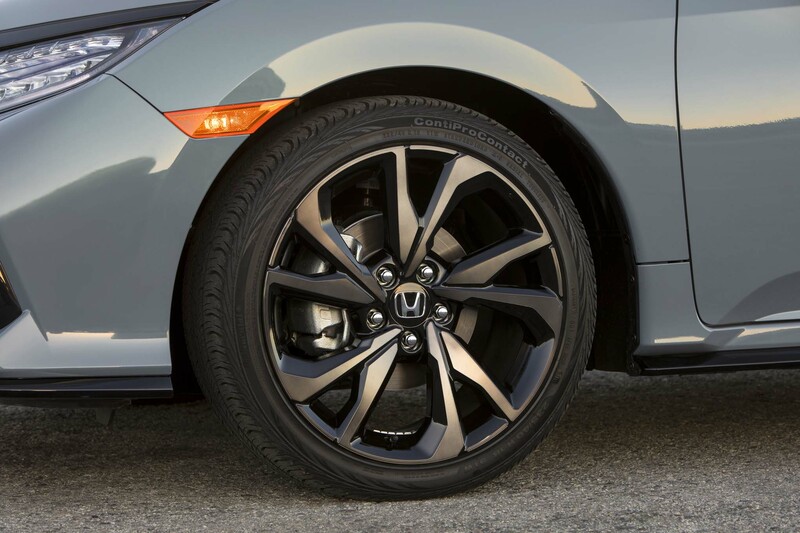 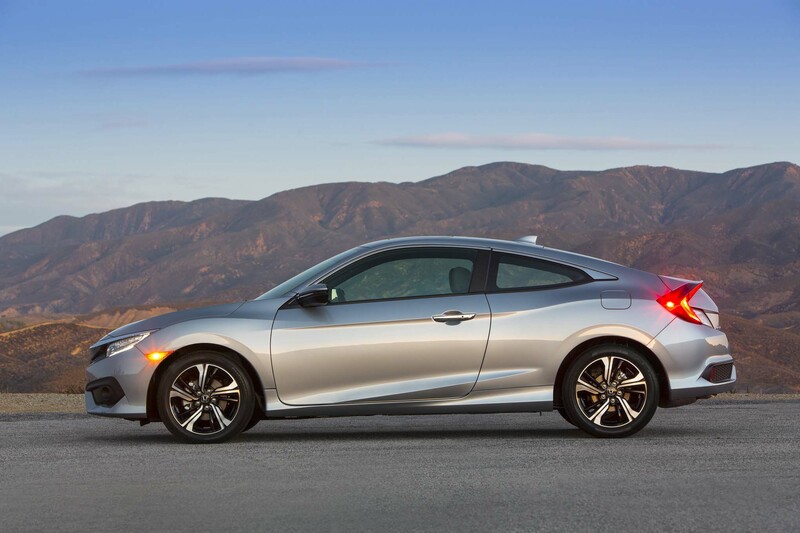 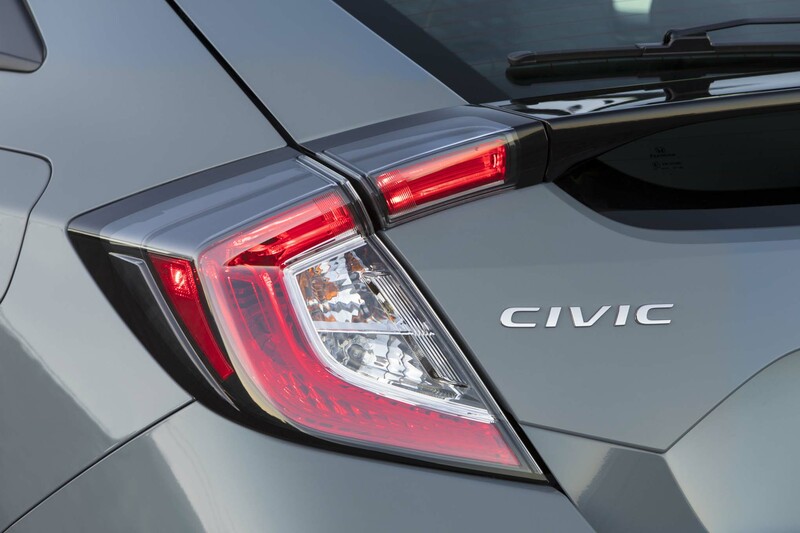 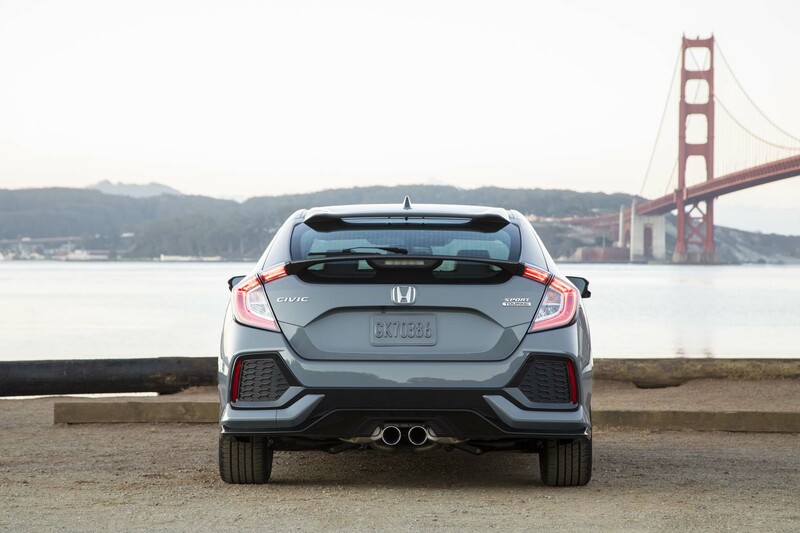 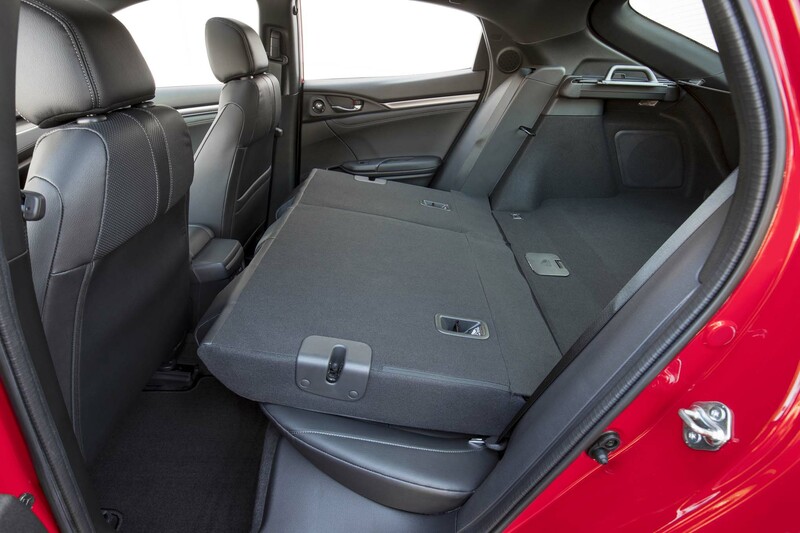 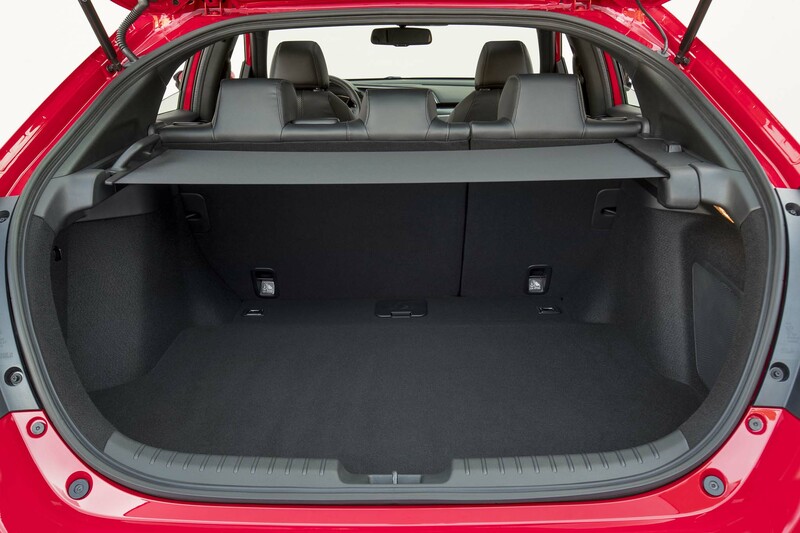 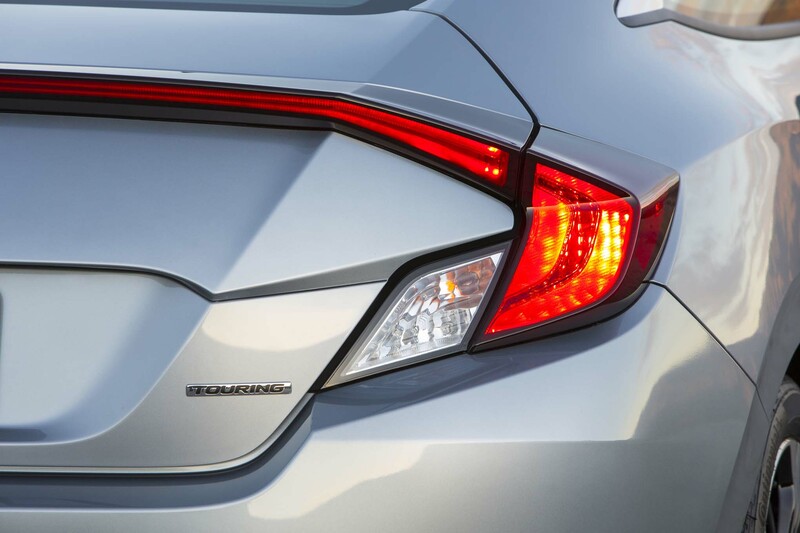 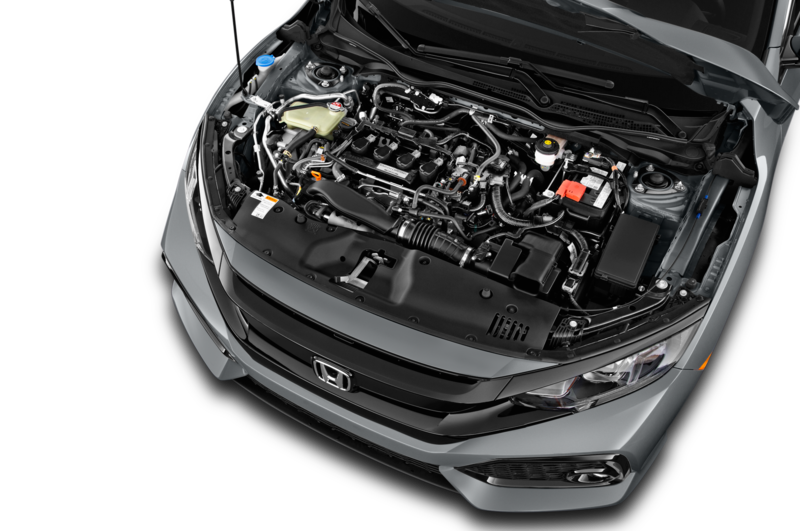 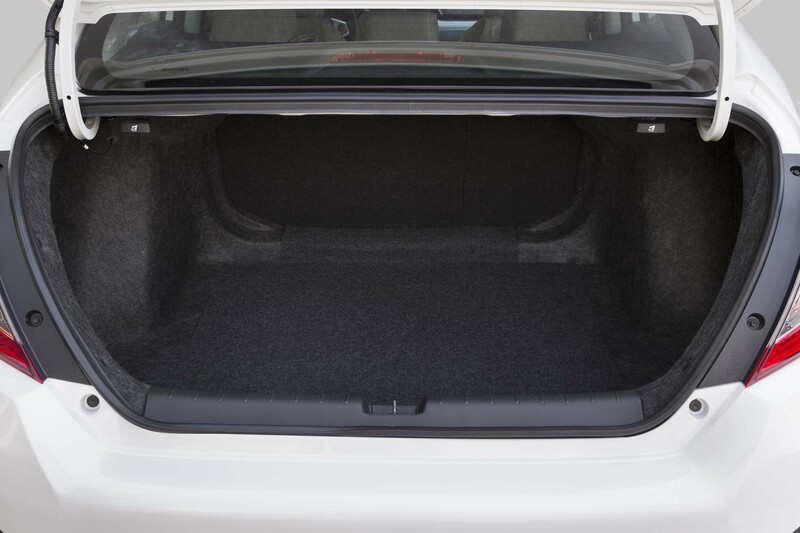 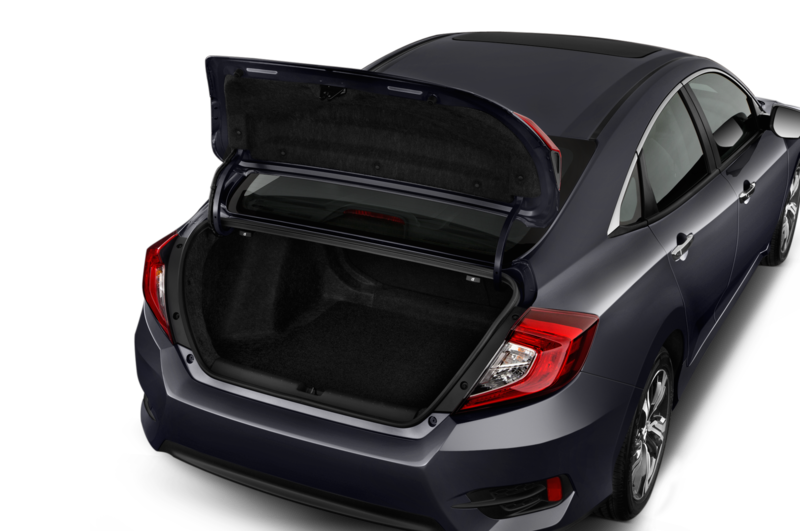 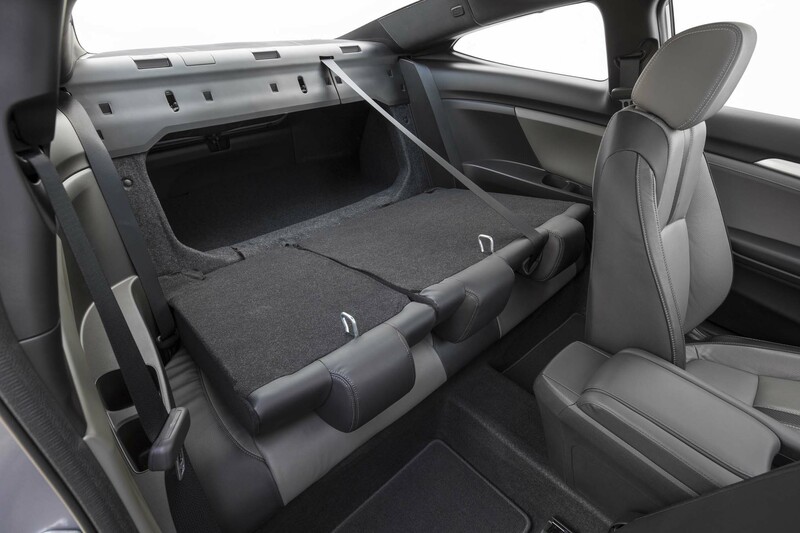 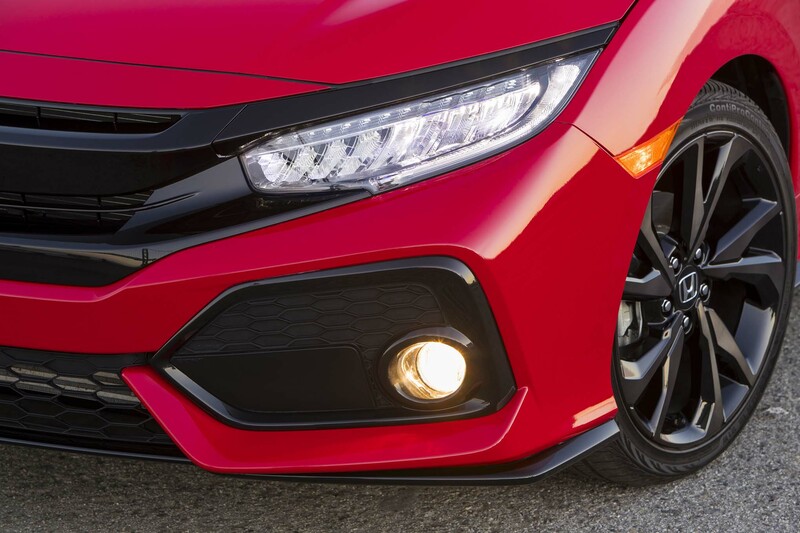 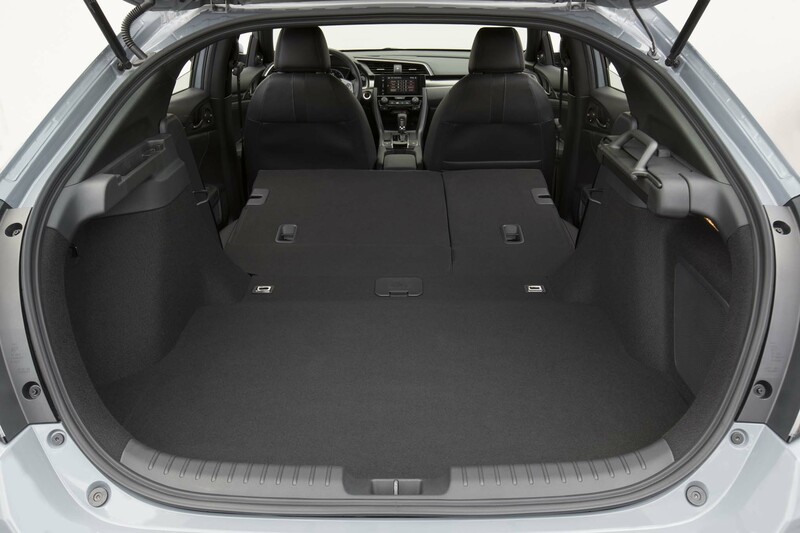 For one, Honda kept the Type R light, shaving off 35 pounds for a total just north of 3,000 pounds. 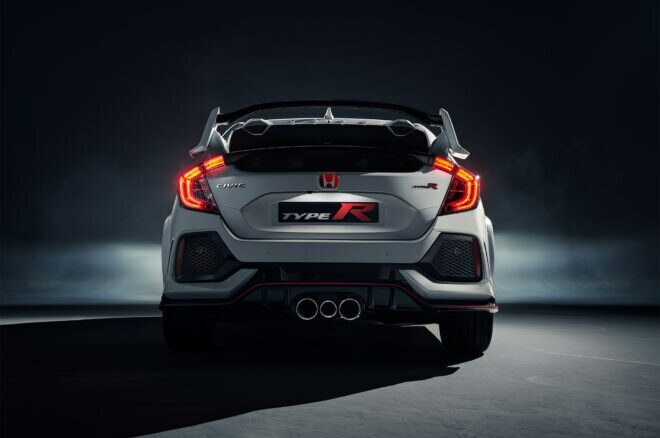 Next is the helical limited-slip differential, which carries over from the last Type R. But Kakinuma was extra excited about the car’s new three-chamber adaptive dampers at all four wheels, which can be adjusted according to the selected driving mode. 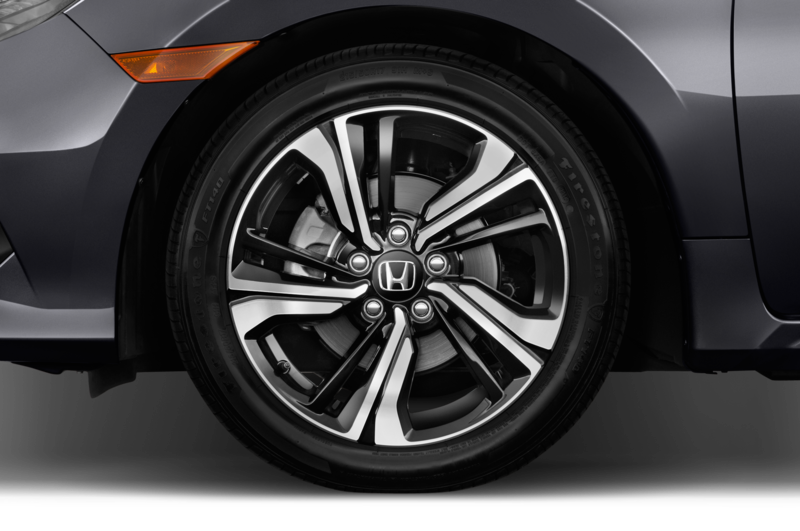 Turn in will be even sharper given the switch to 20-inch wheels instead of 19s, each wearing model-specific Continental rubber. 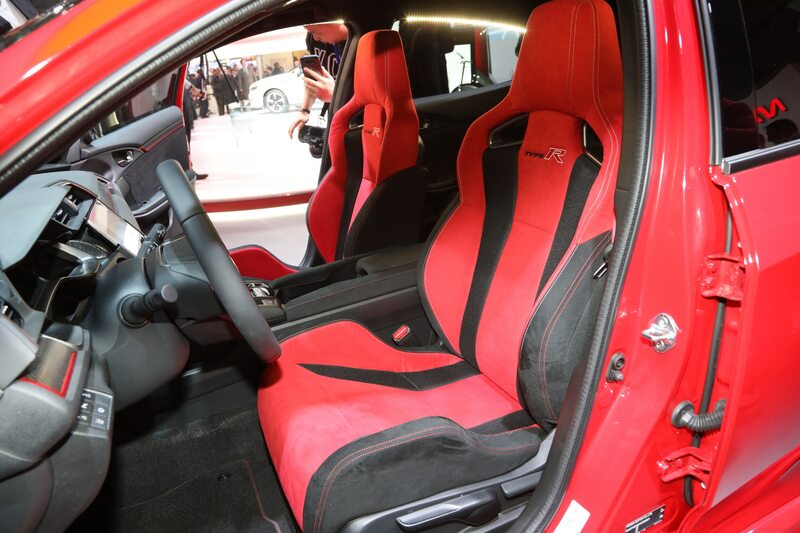 Driver feedback is something Kakinuma and his team took seriously, and that starts with the seating position. 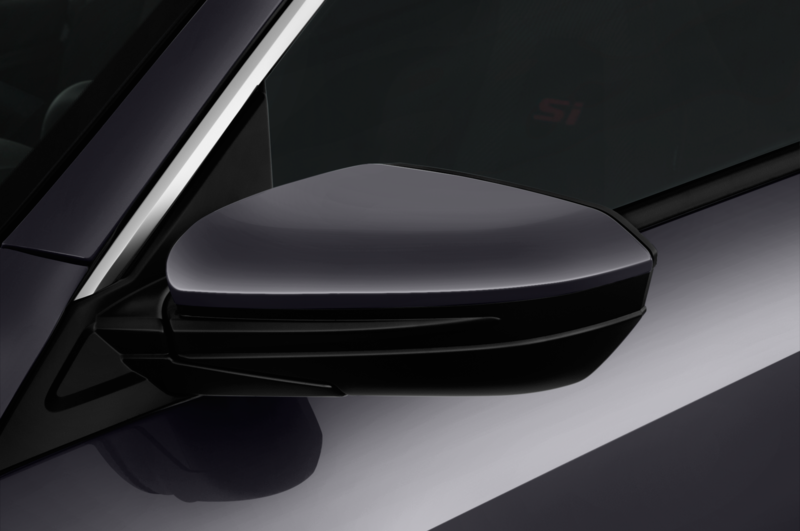 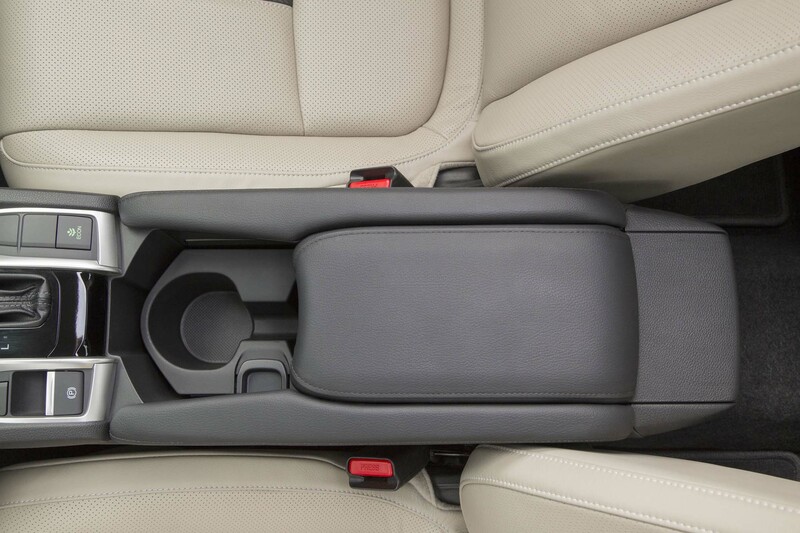 The hip point is now almost 2-inches lower for a more planted feel, and adjustments to the steering system should provide a better connection to the road. 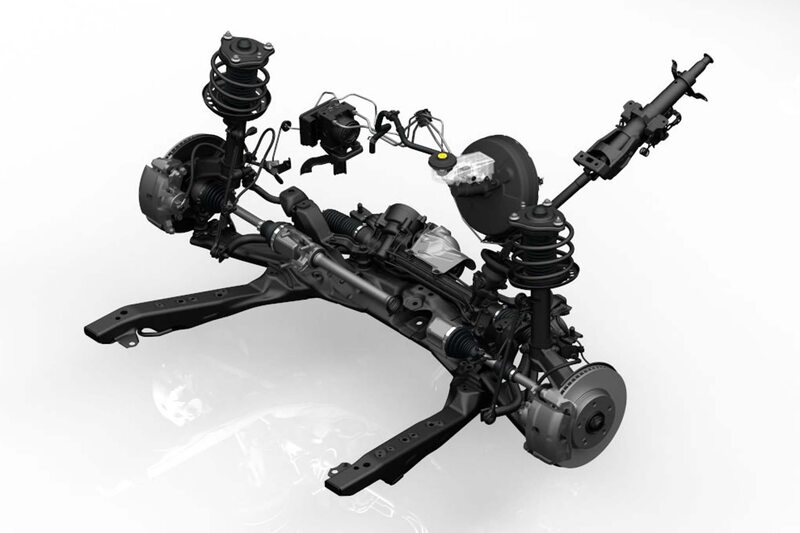 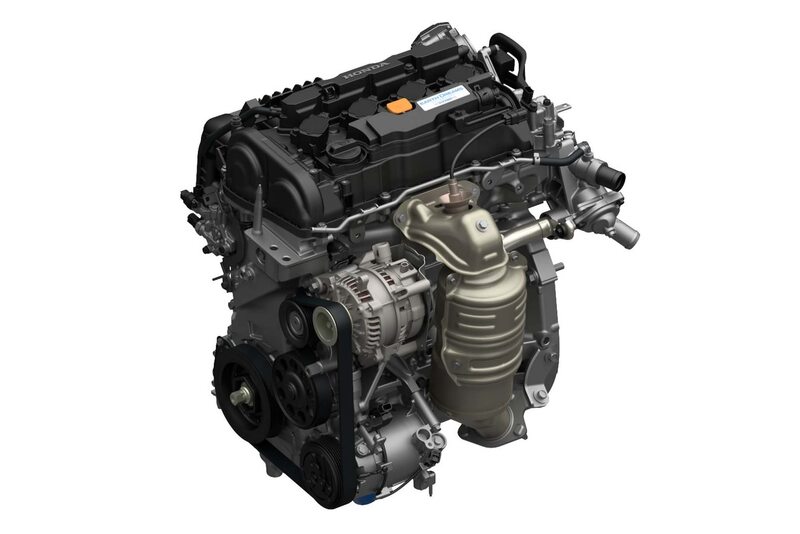 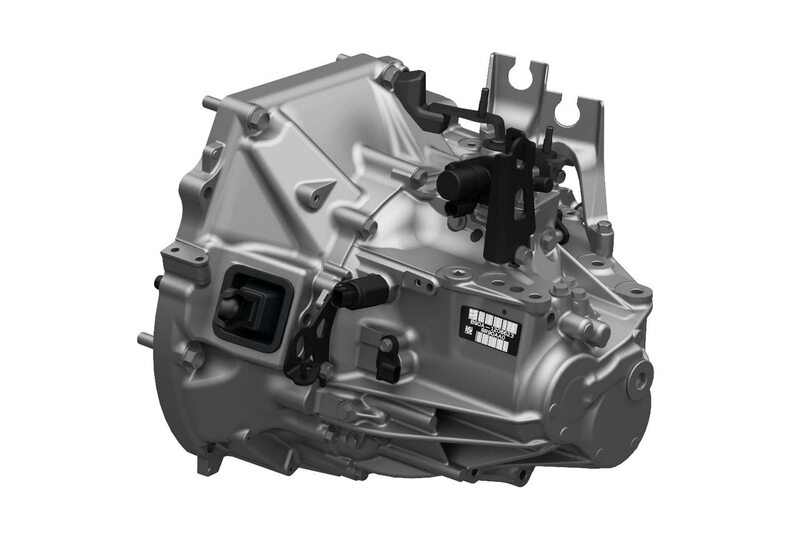 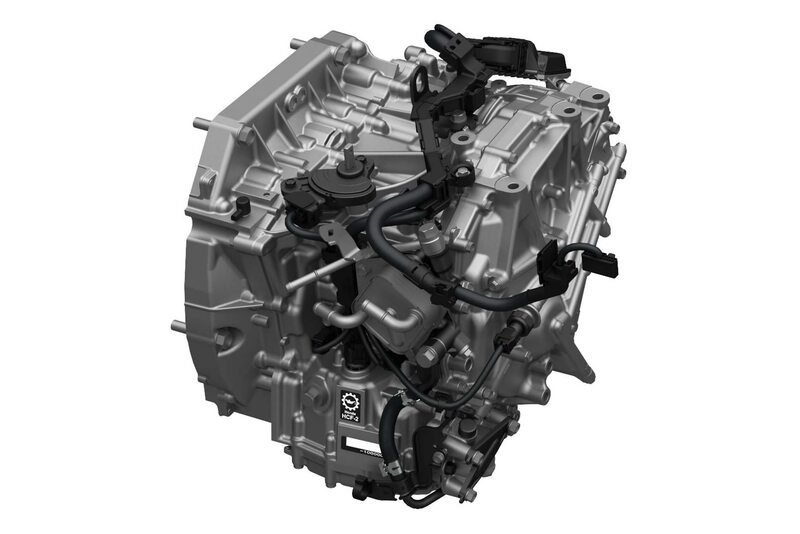 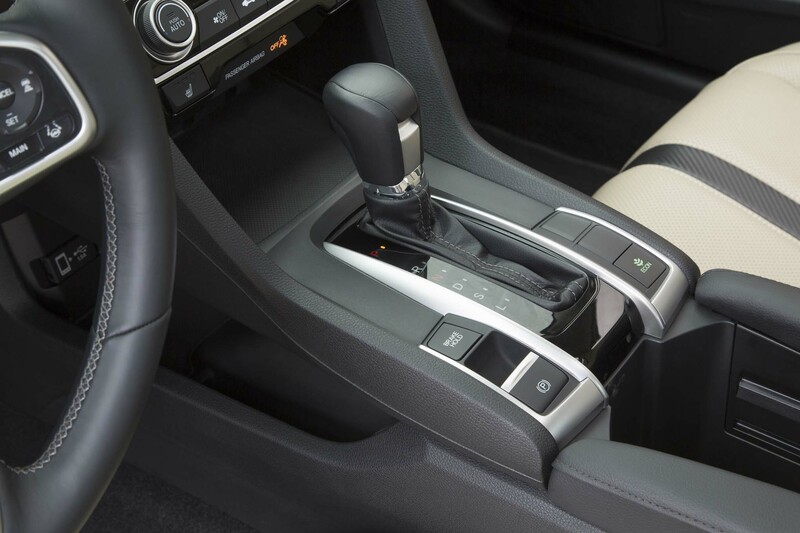 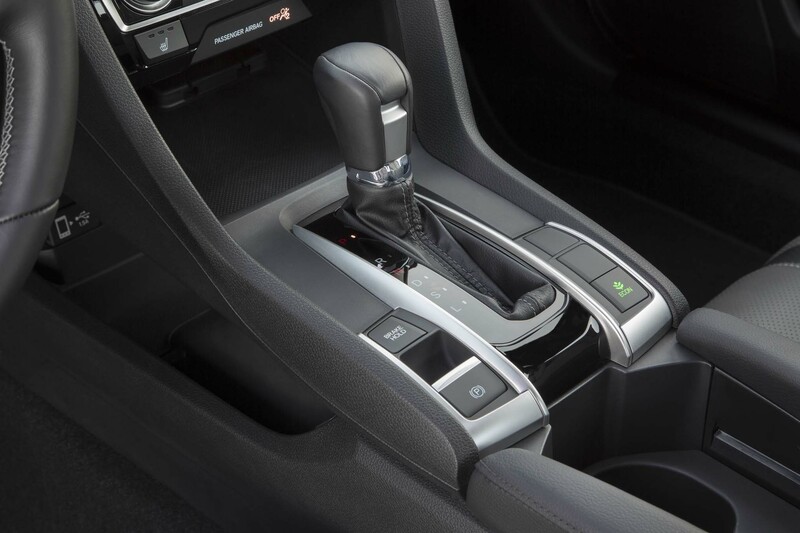 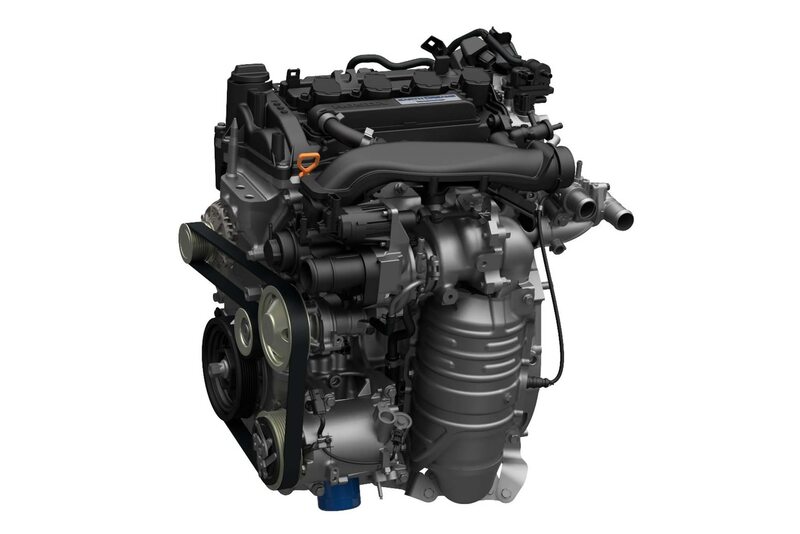 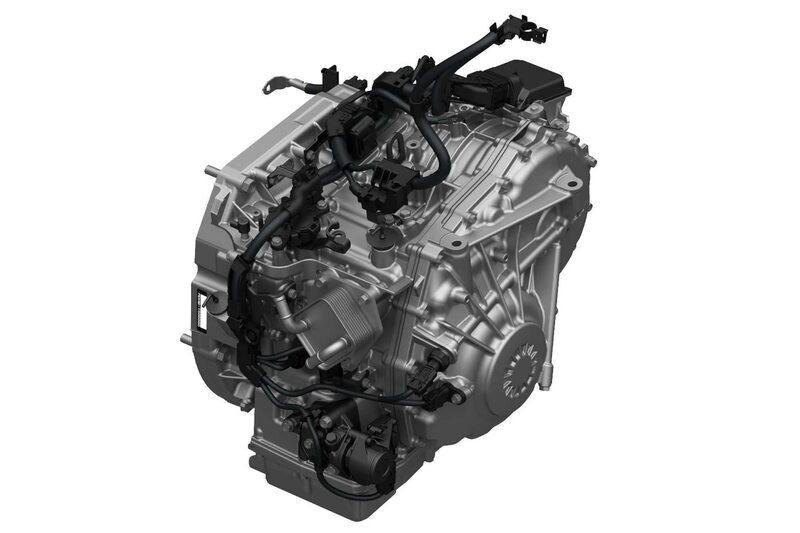 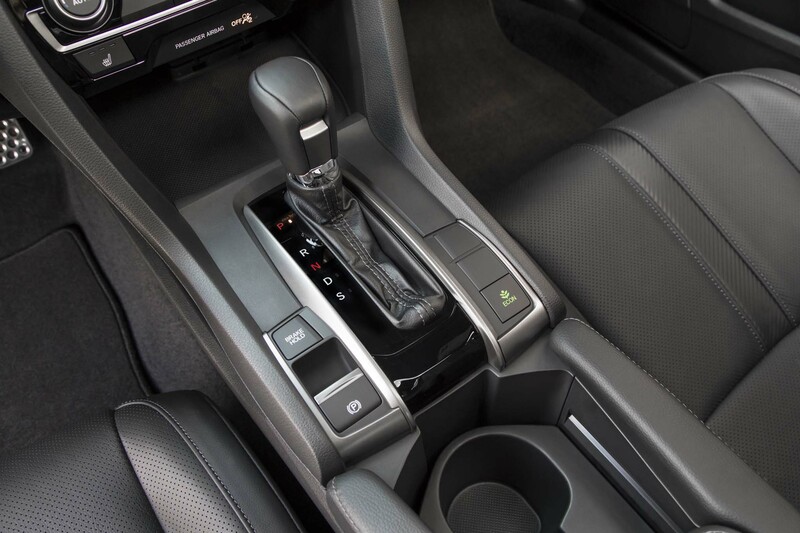 The new dual-pinion steering system also gets a new software tune, which progressively turns the wheels more depending on how much steering input there is. 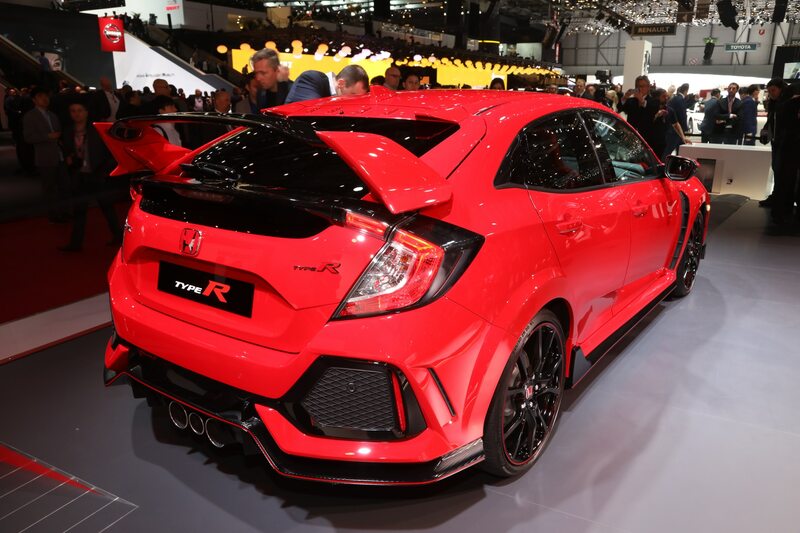 Honda has a lot of confidence with the Type R, vowing to return to the Green Hell to reclaim its front-wheel-drive record. 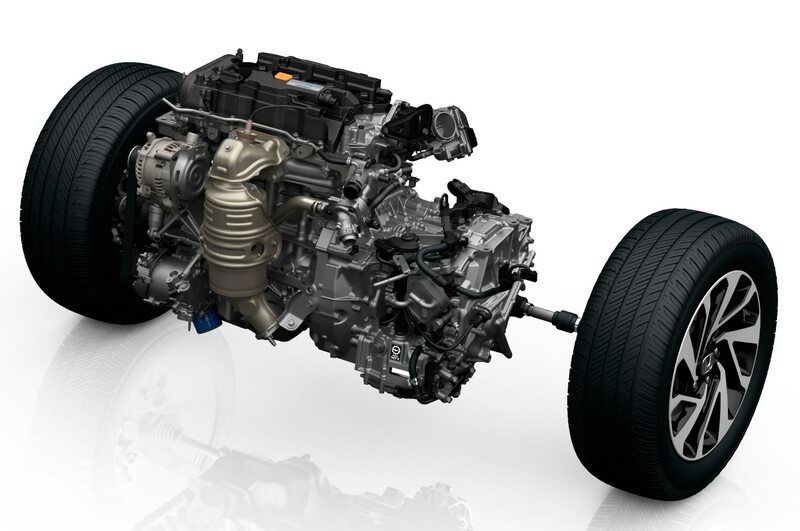 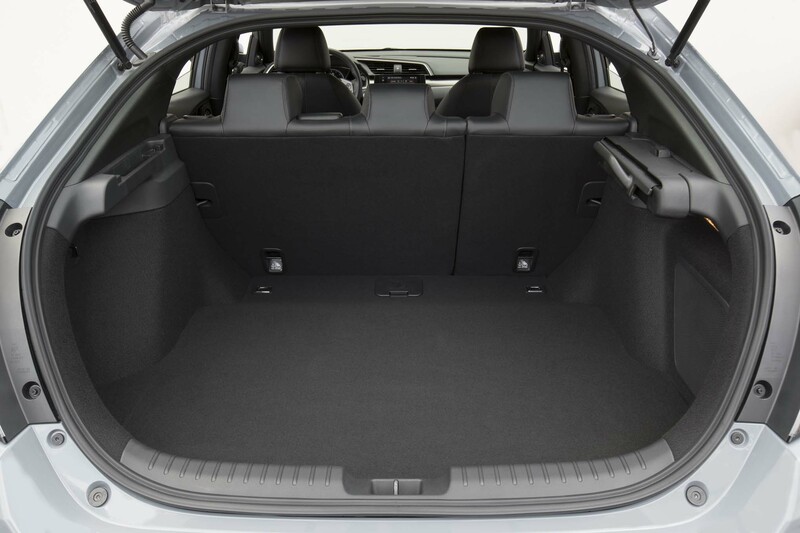 (The team never once considered all-wheel drive.) 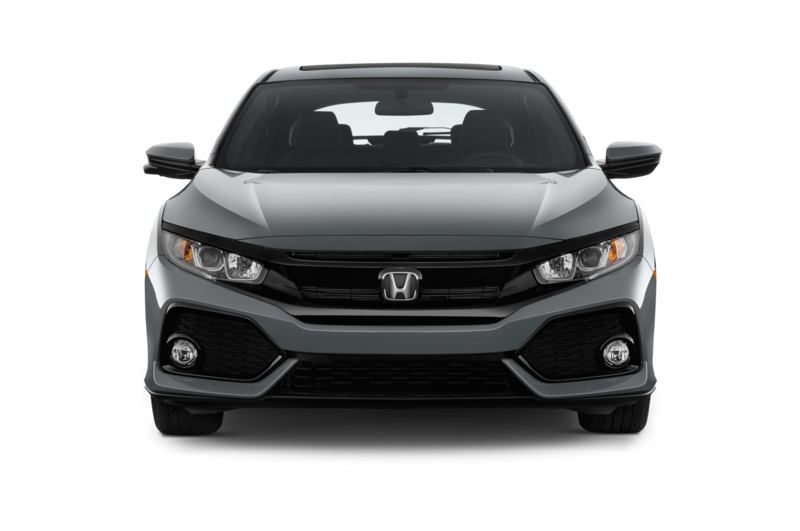 We have little reason to doubt they’ll get the job done, and for the first time, we’ll know firsthand what the fuss is all about.